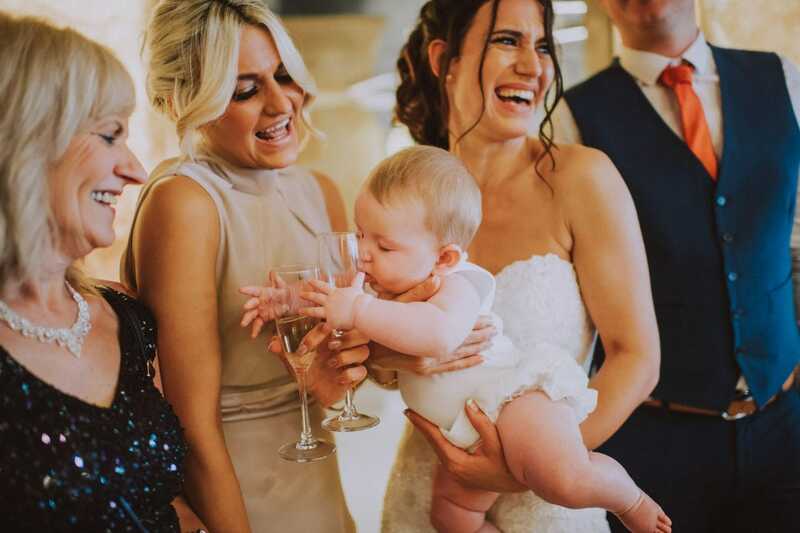 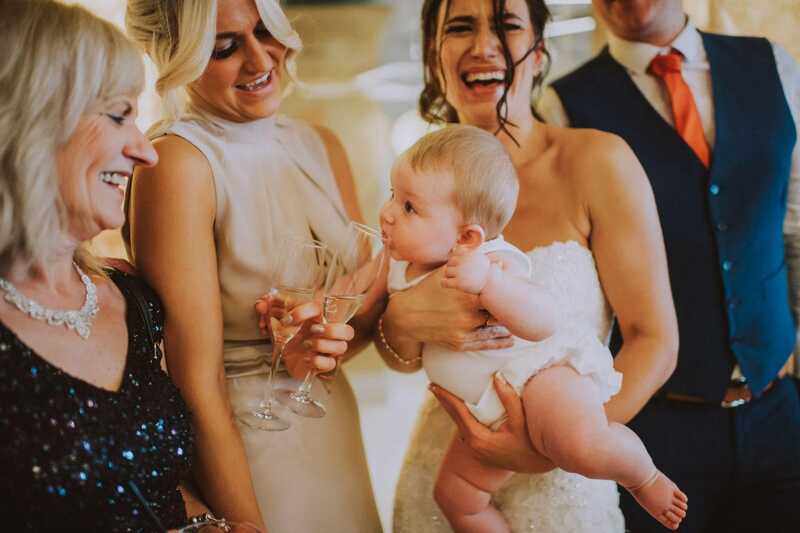 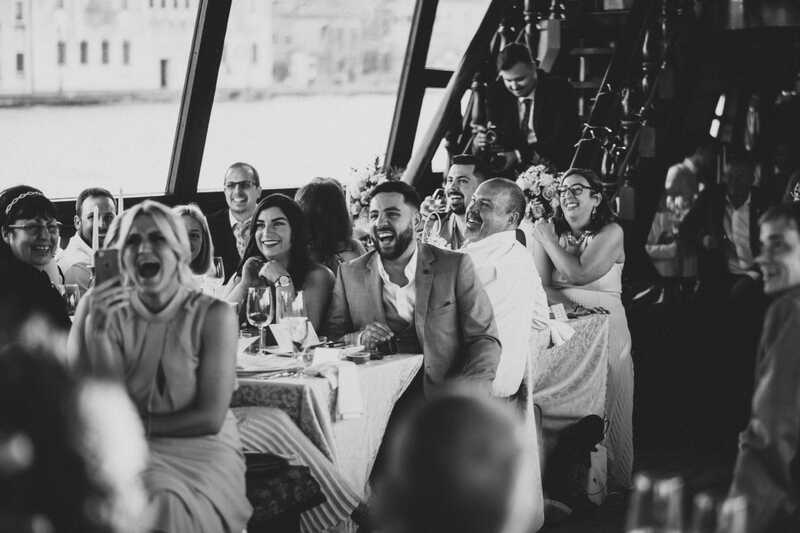 The dream of fulfilling a great love being surrounded by friends and family. 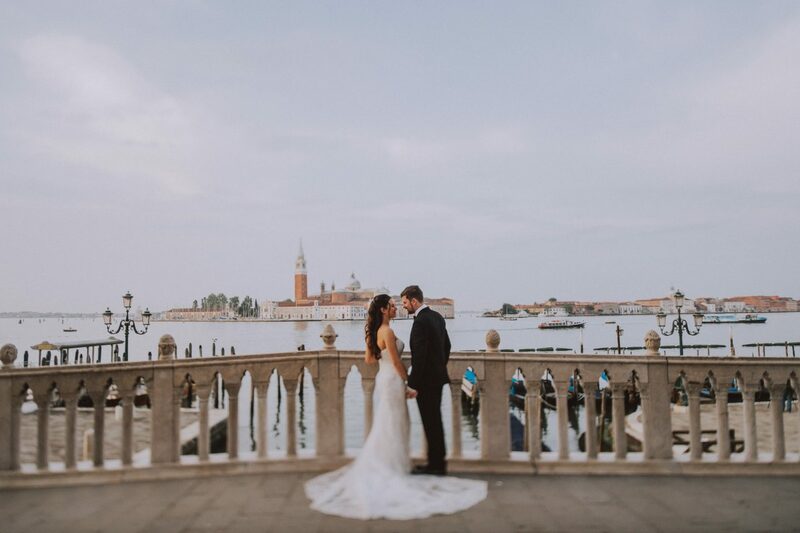 The most romantic city with the most impressive background. 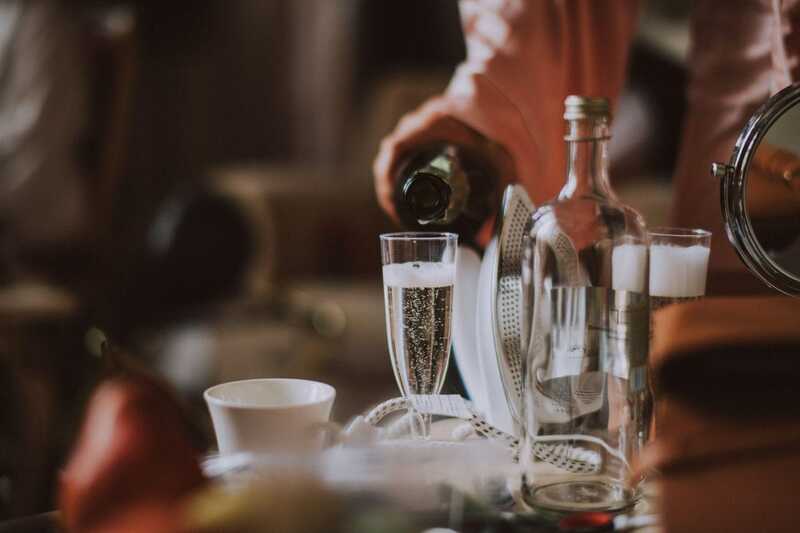 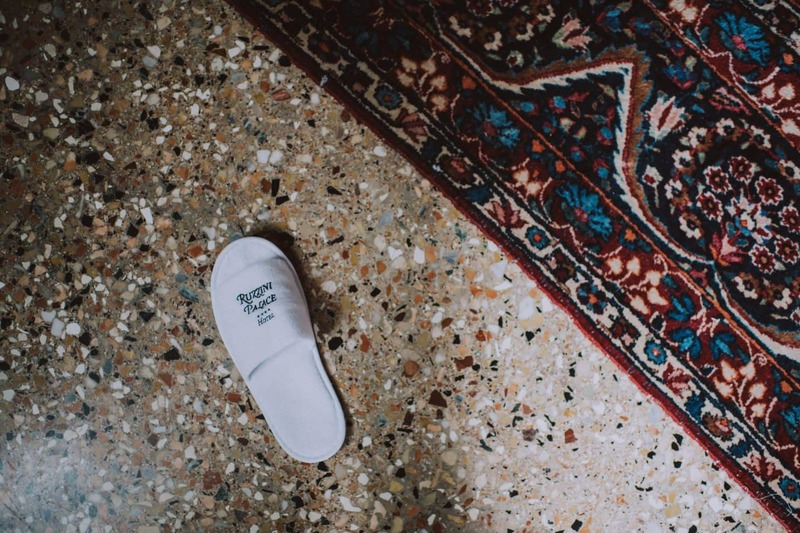 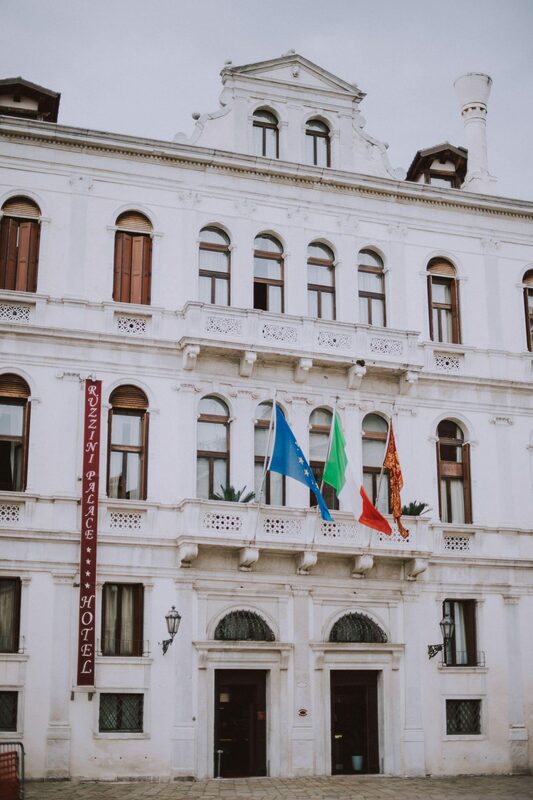 A unique place to enjoy all the old – fashioned Italian style. 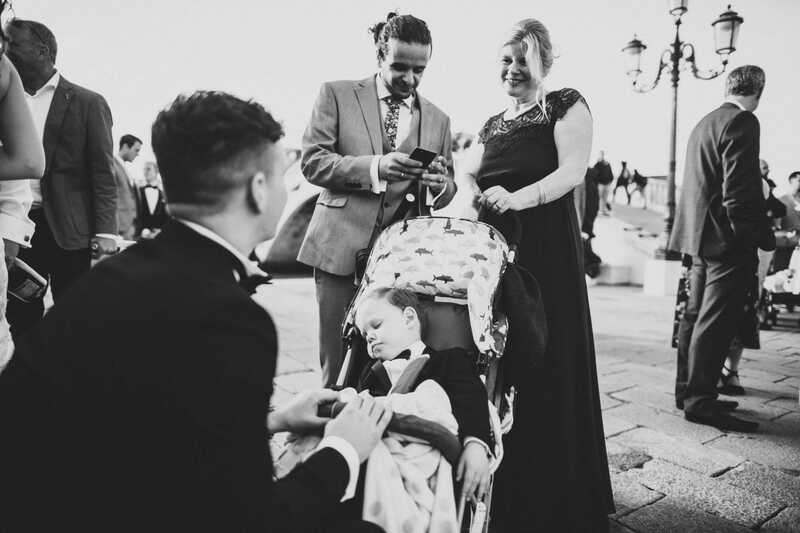 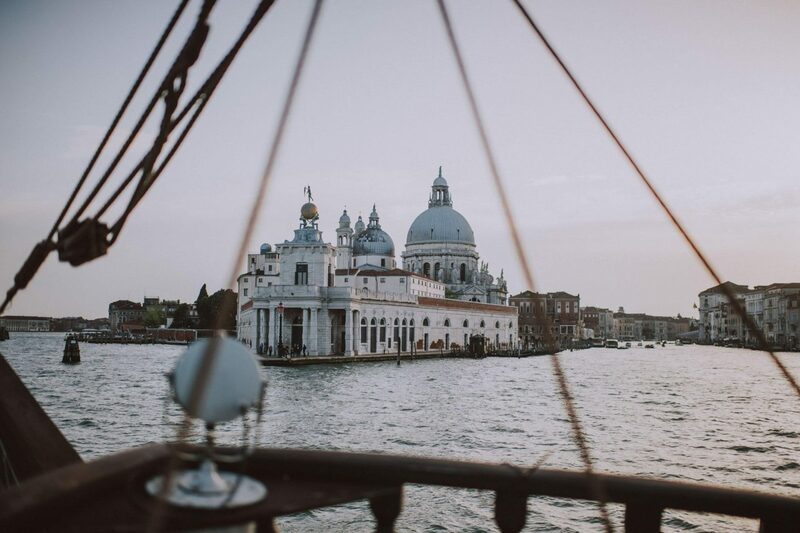 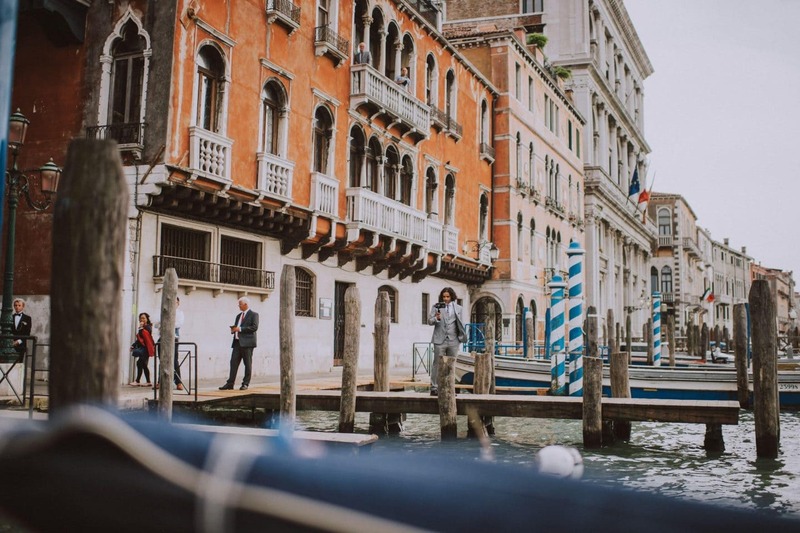 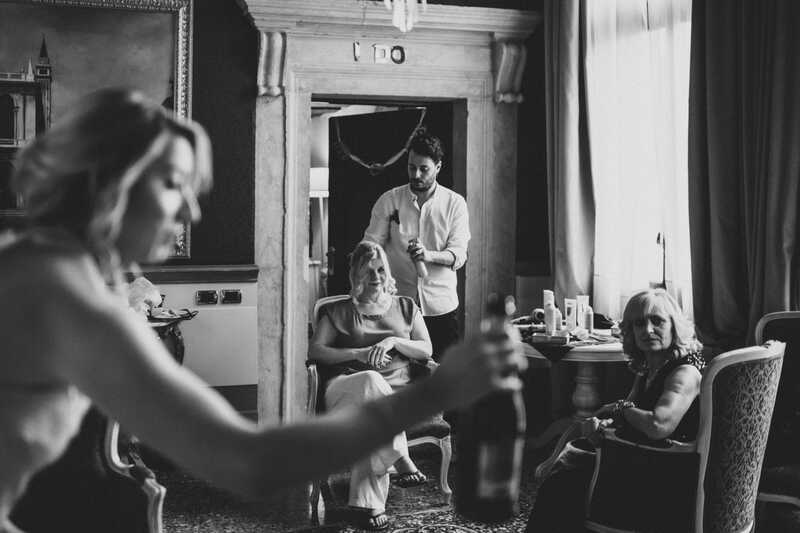 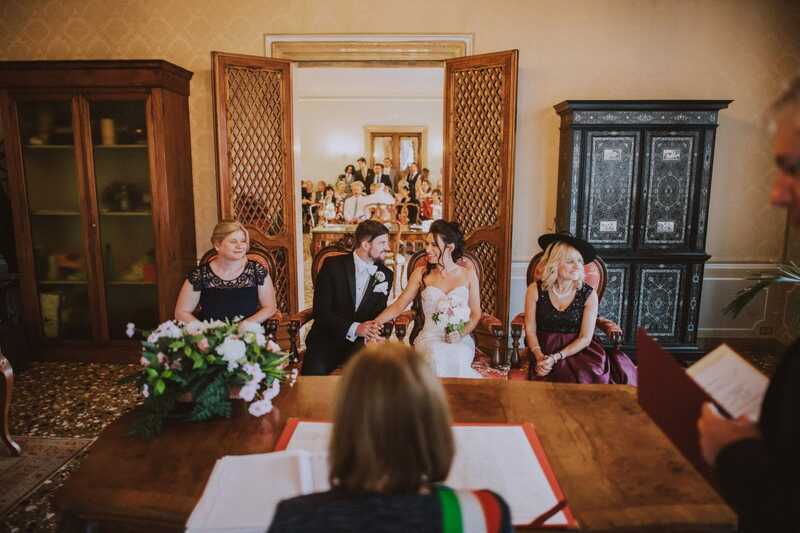 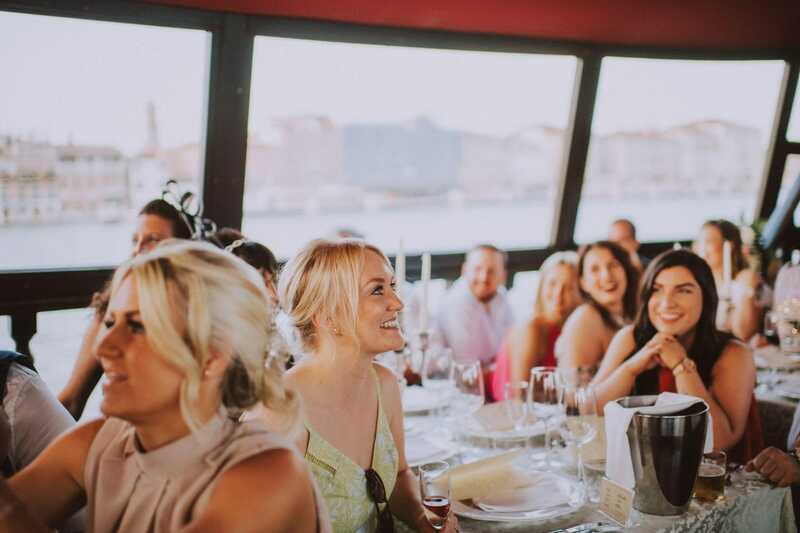 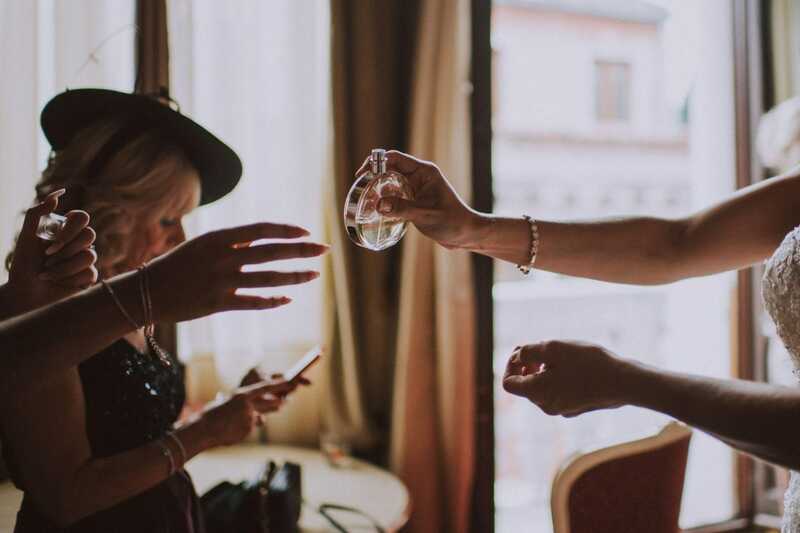 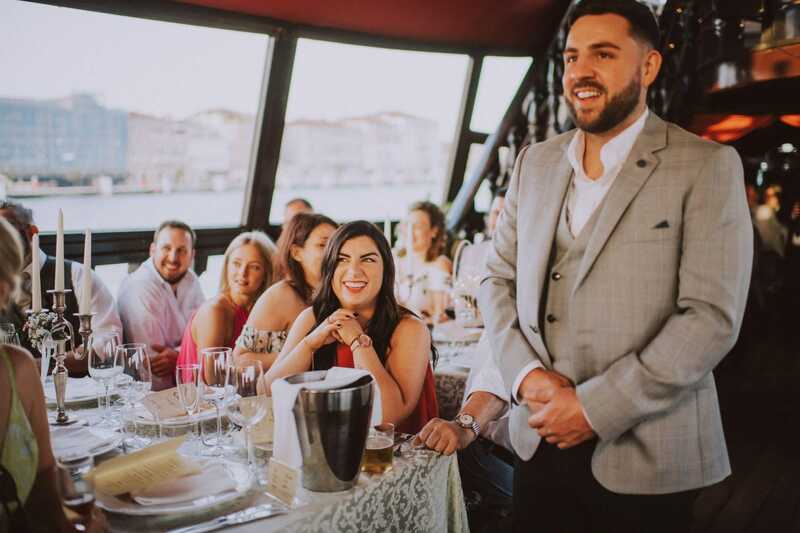 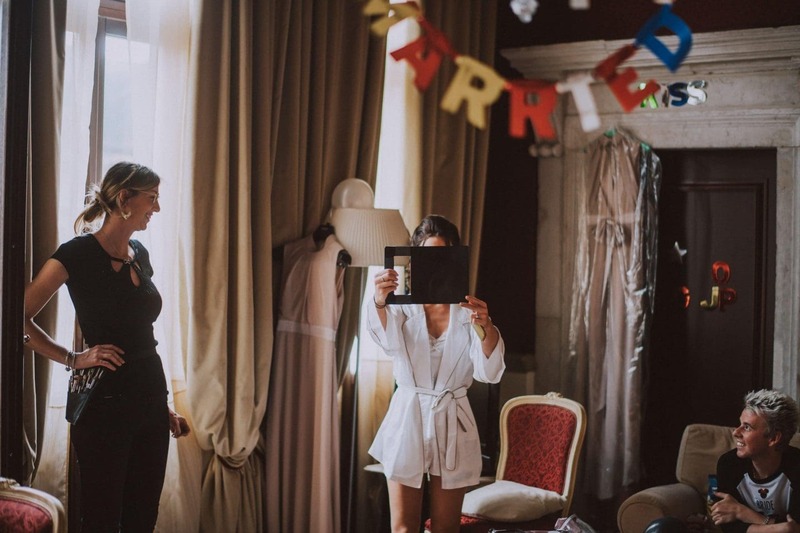 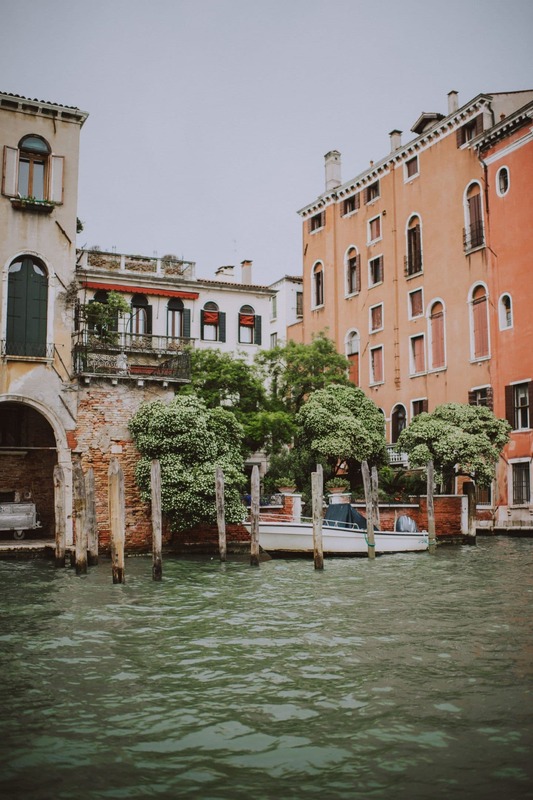 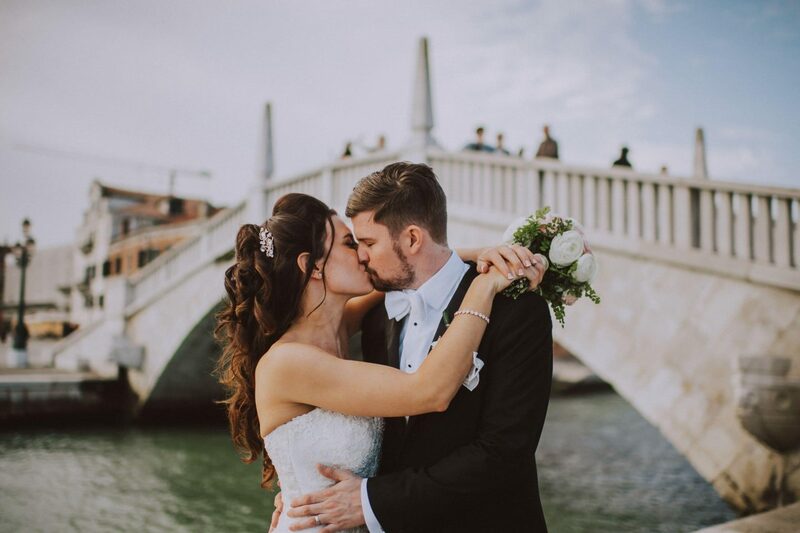 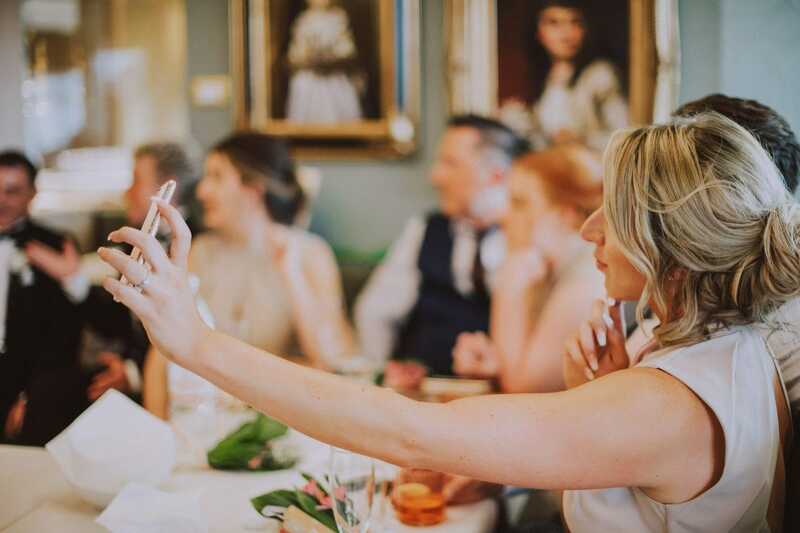 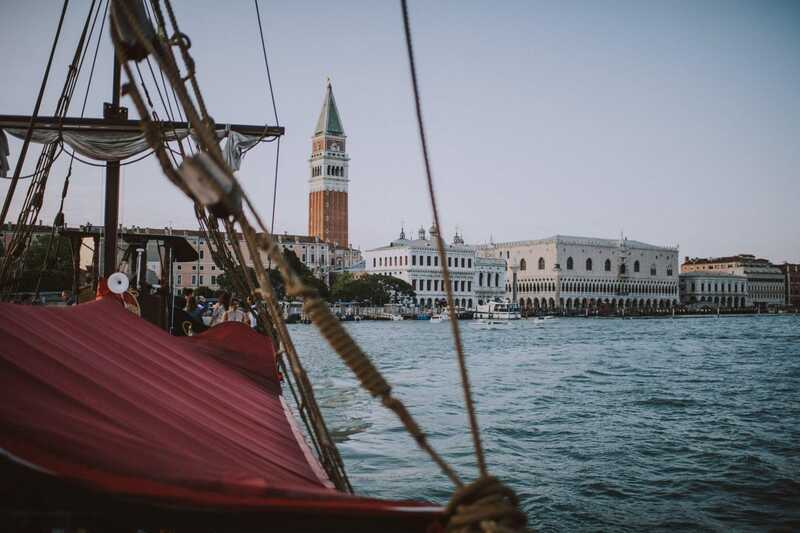 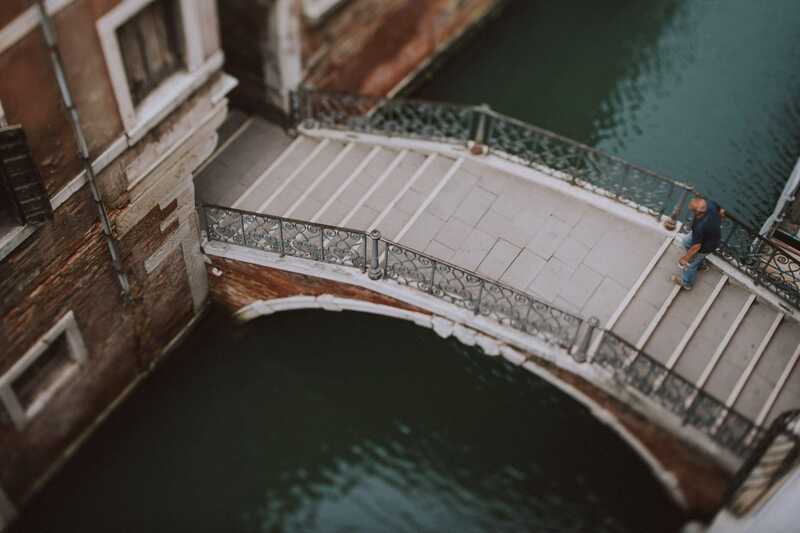 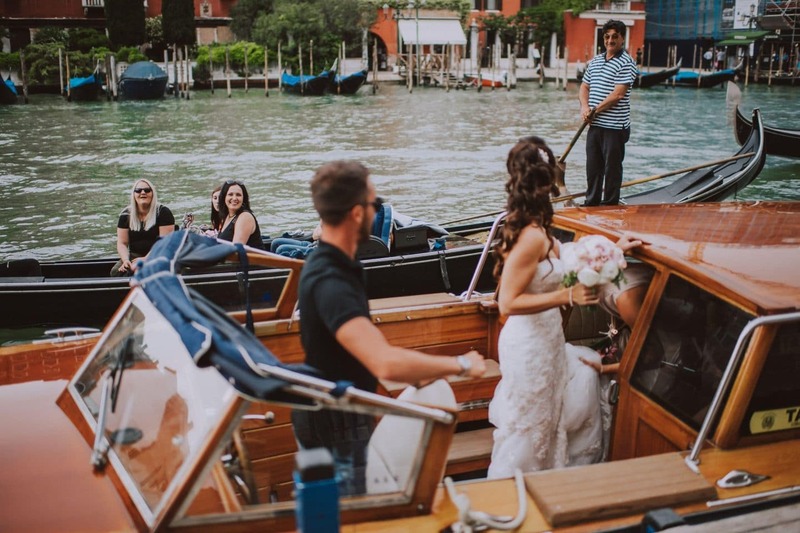 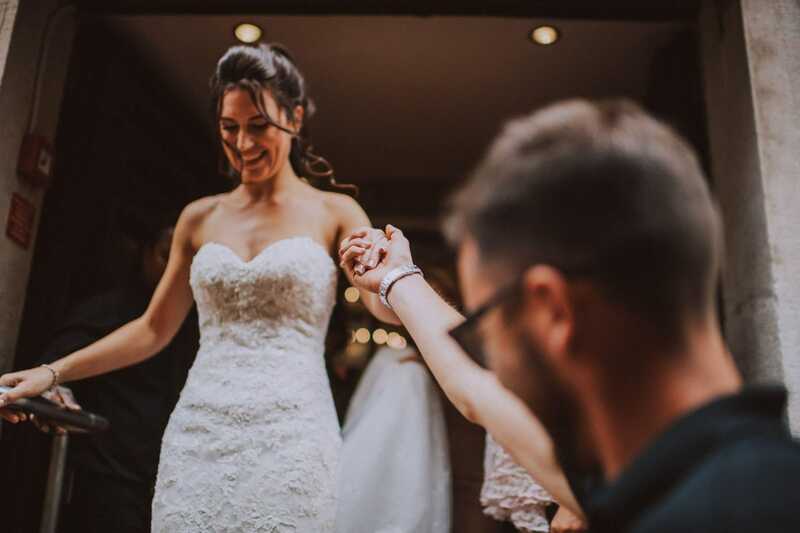 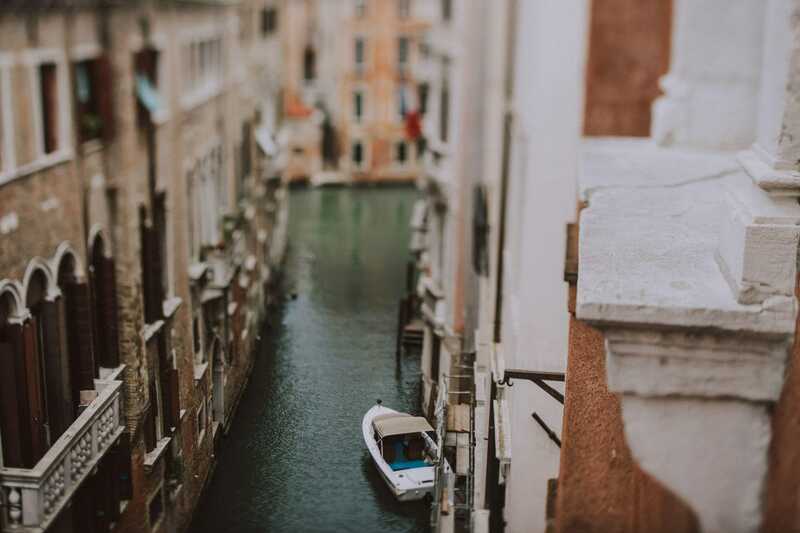 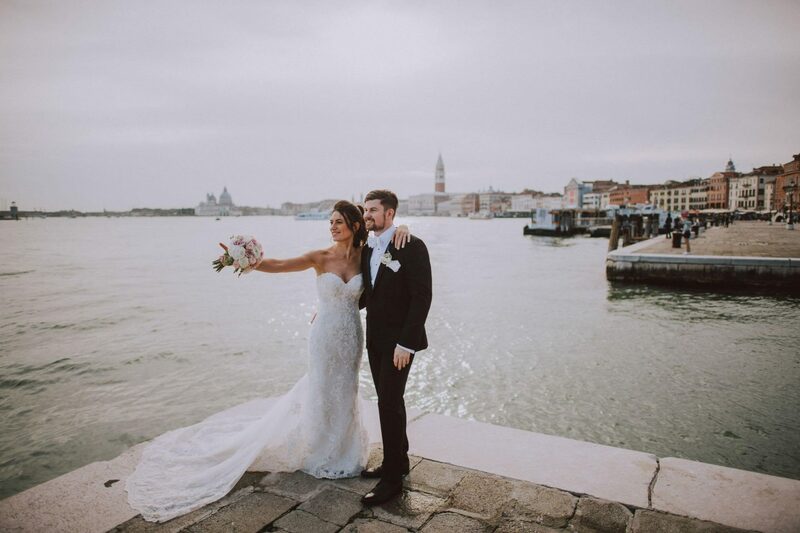 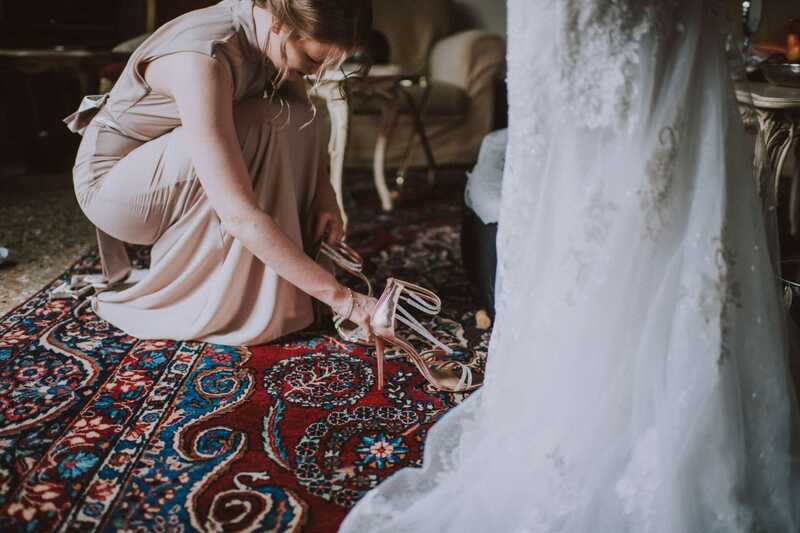 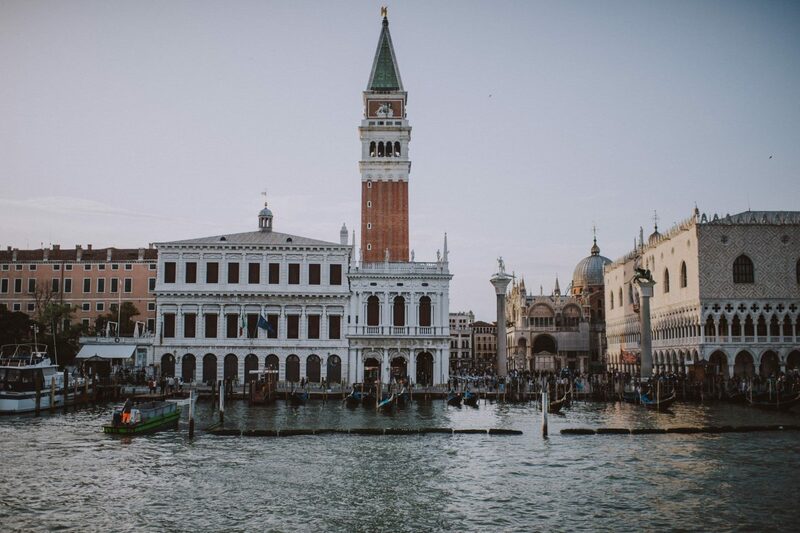 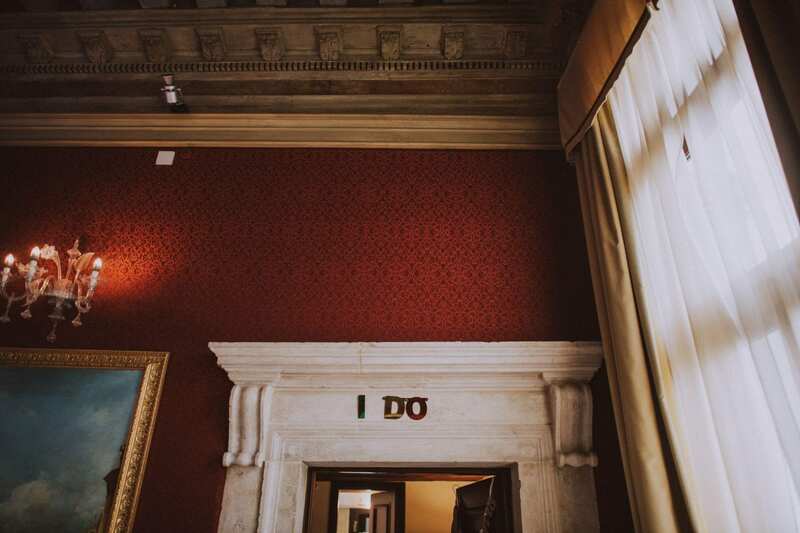 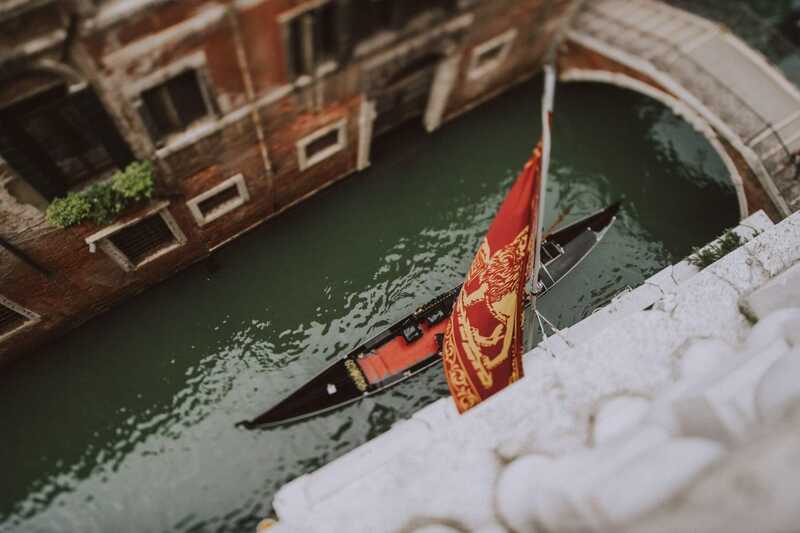 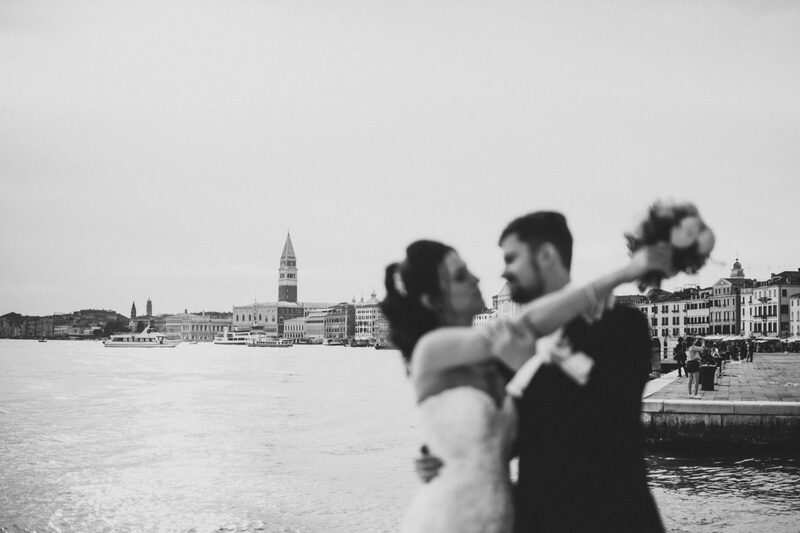 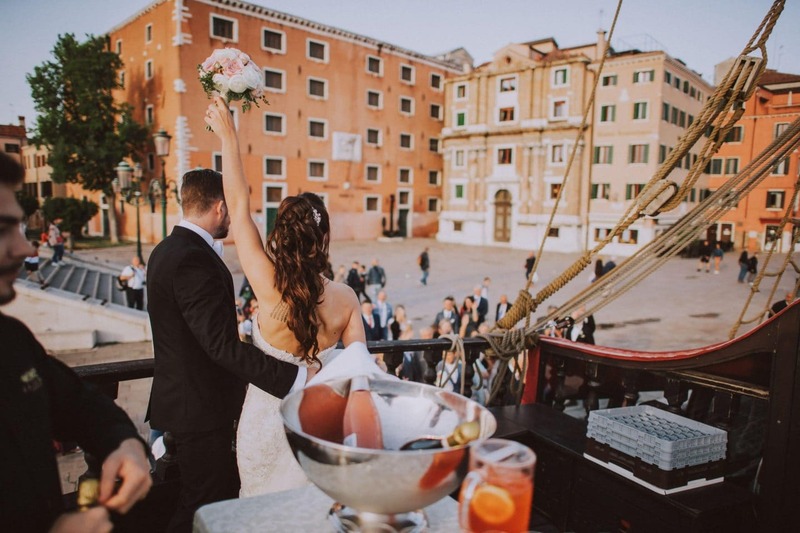 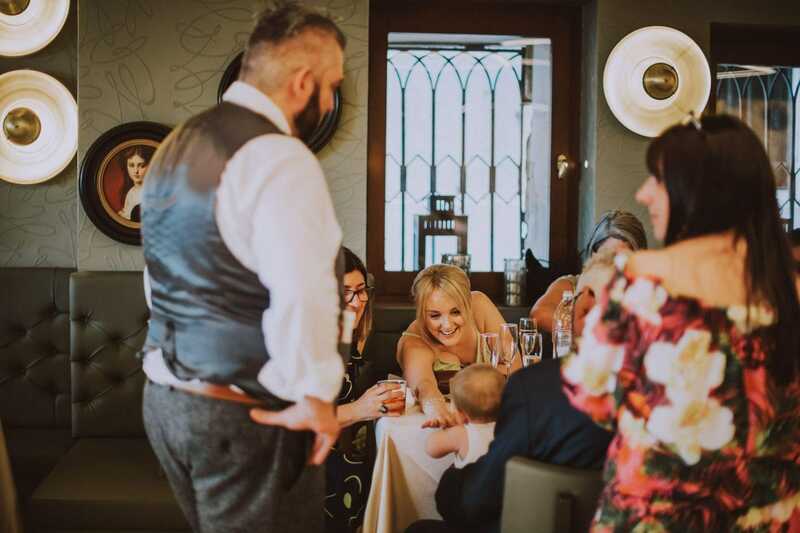 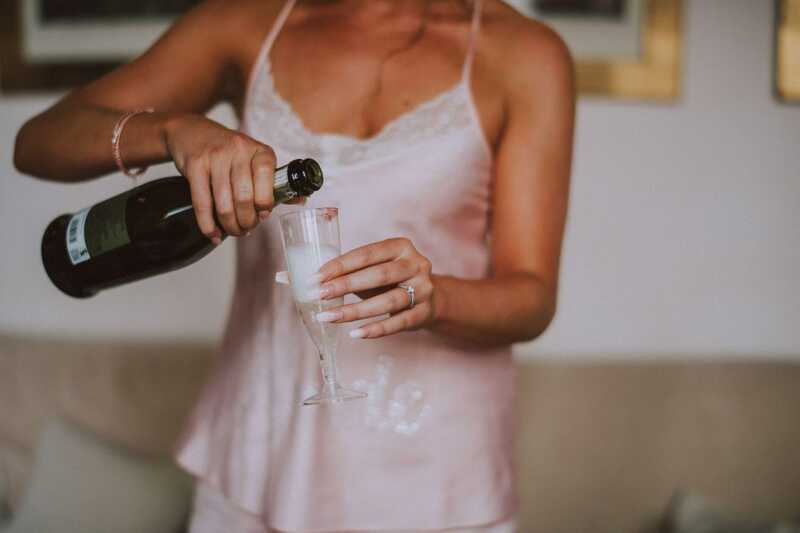 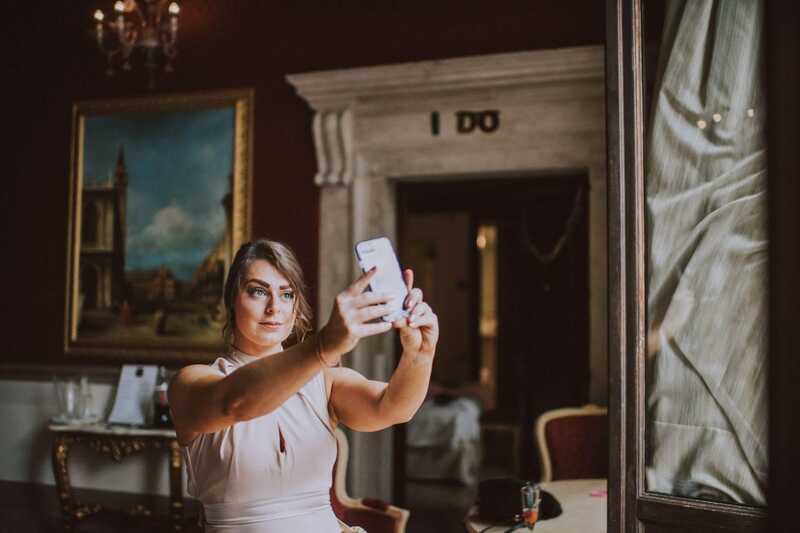 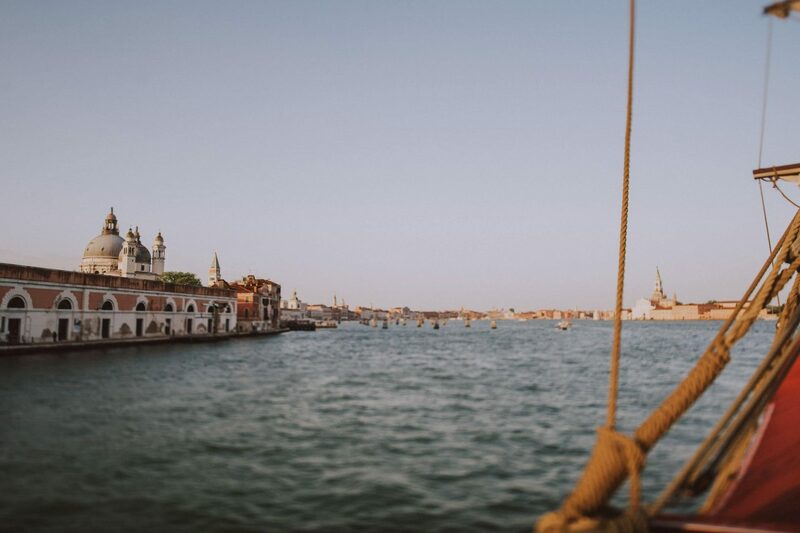 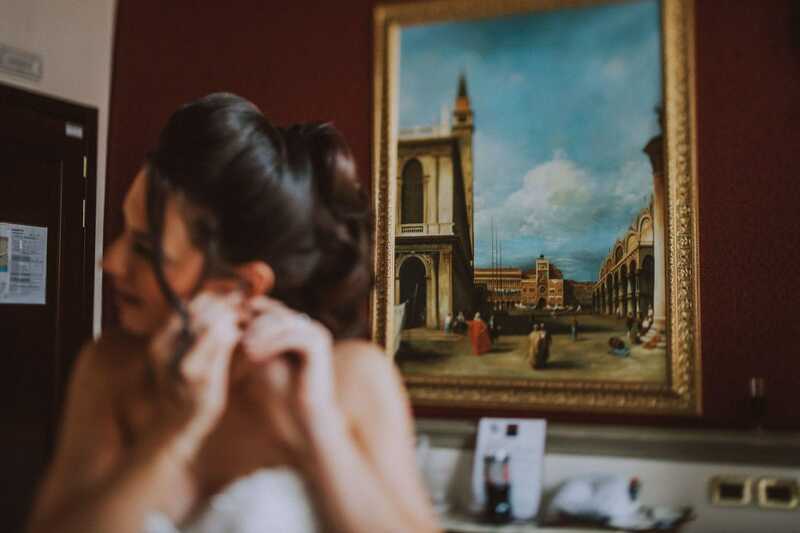 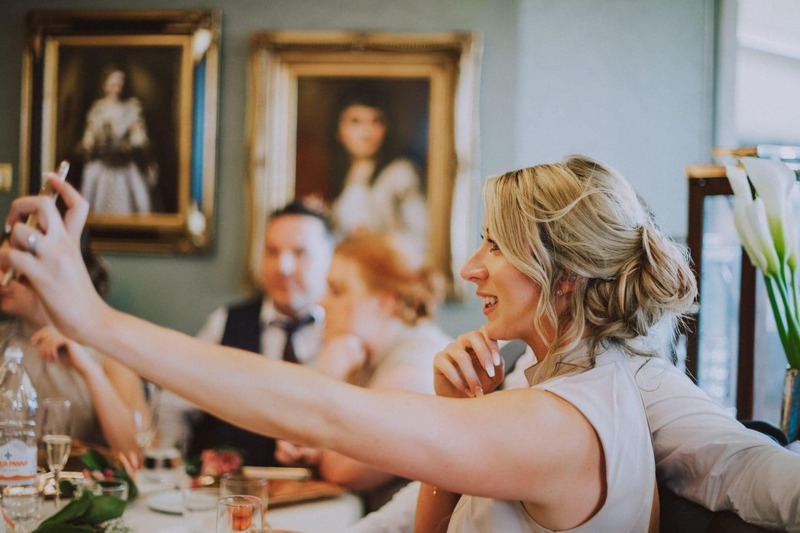 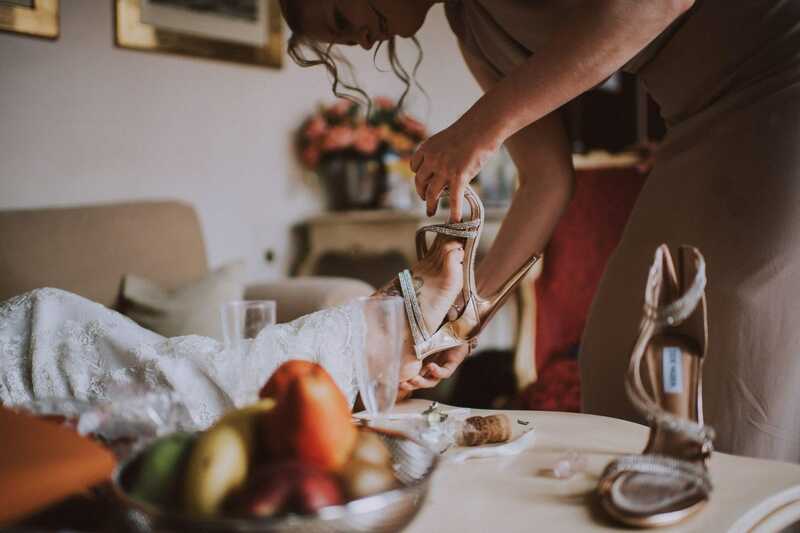 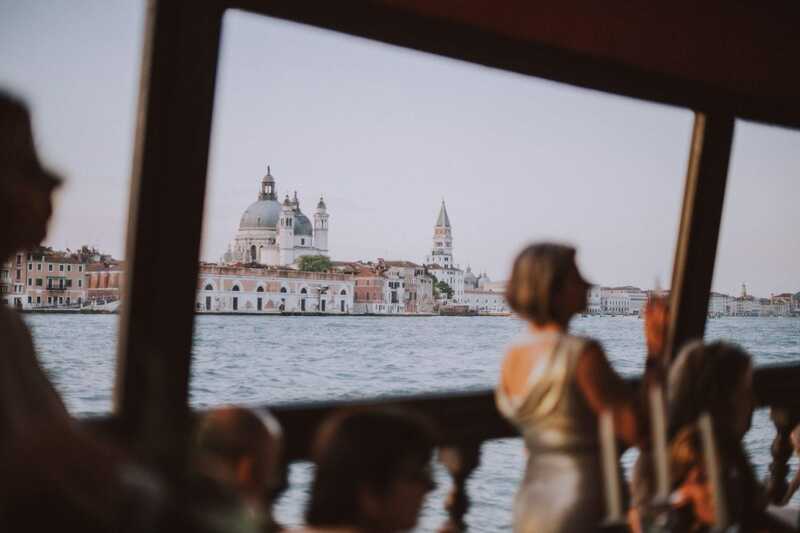 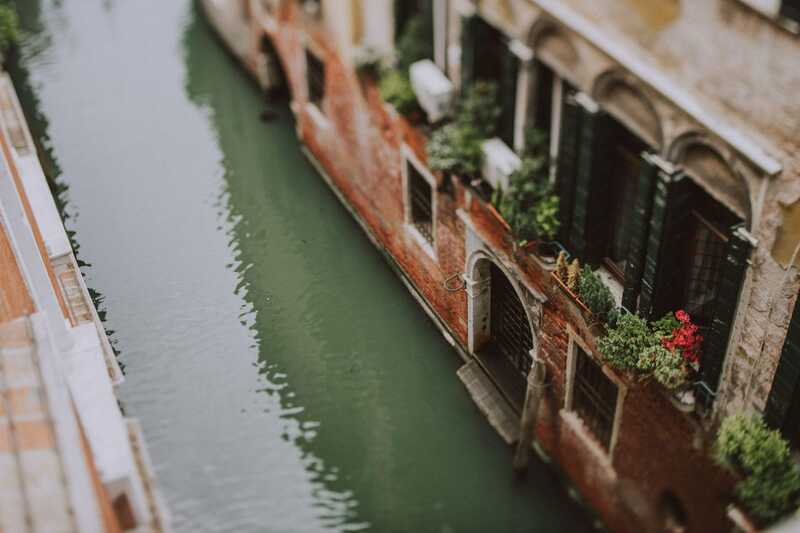 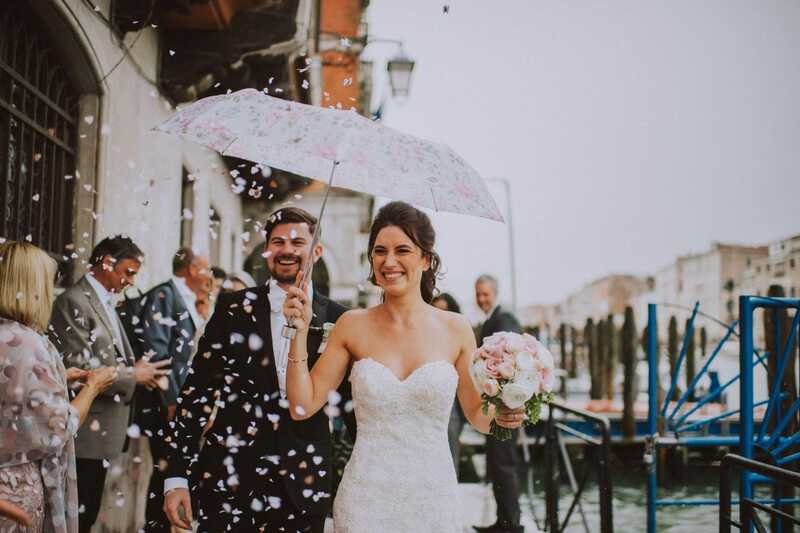 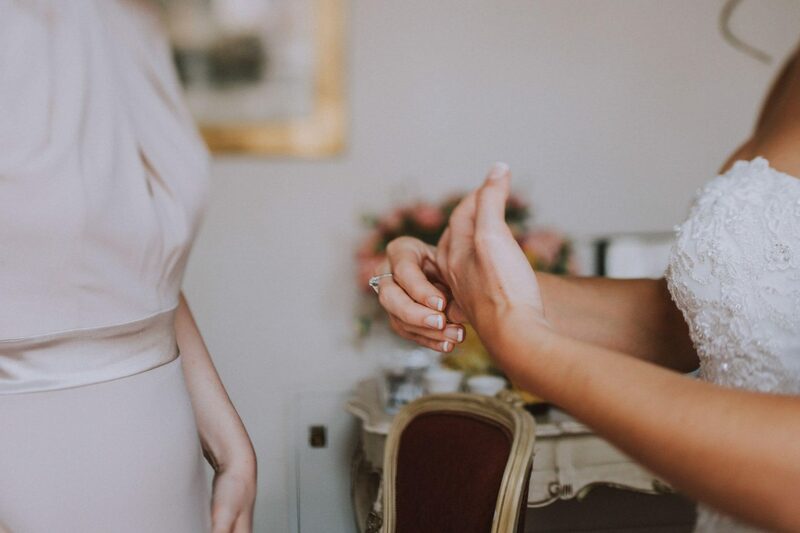 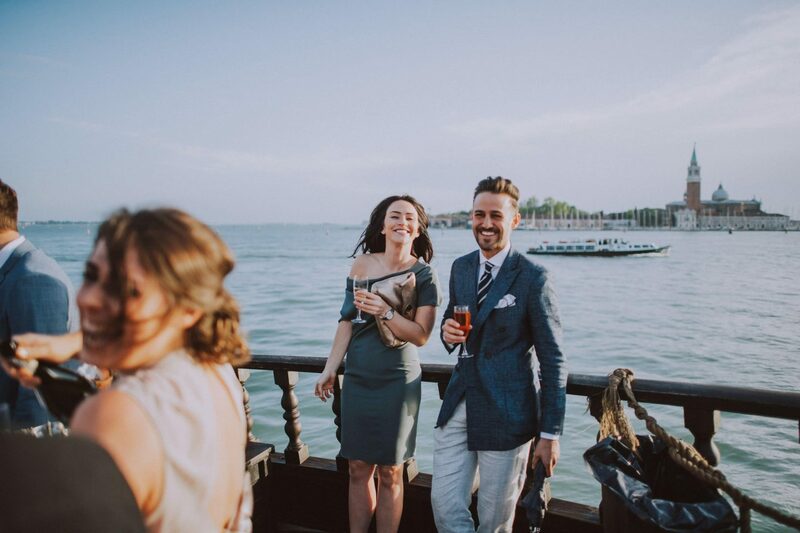 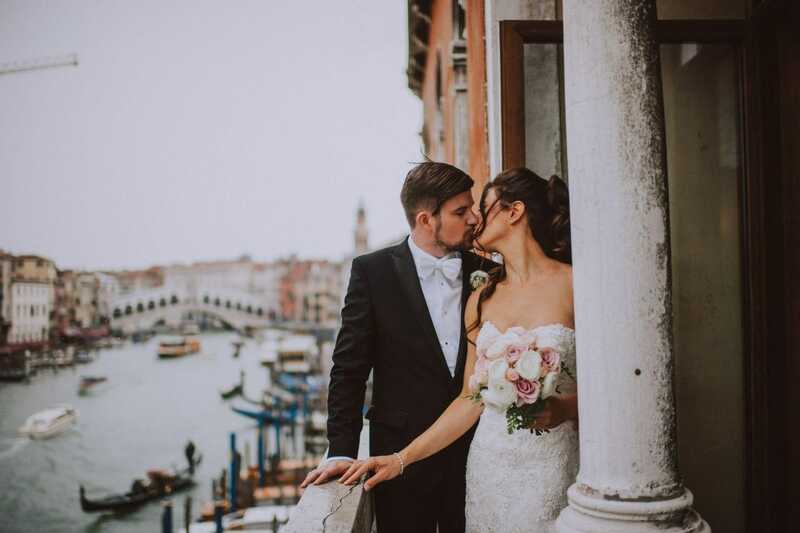 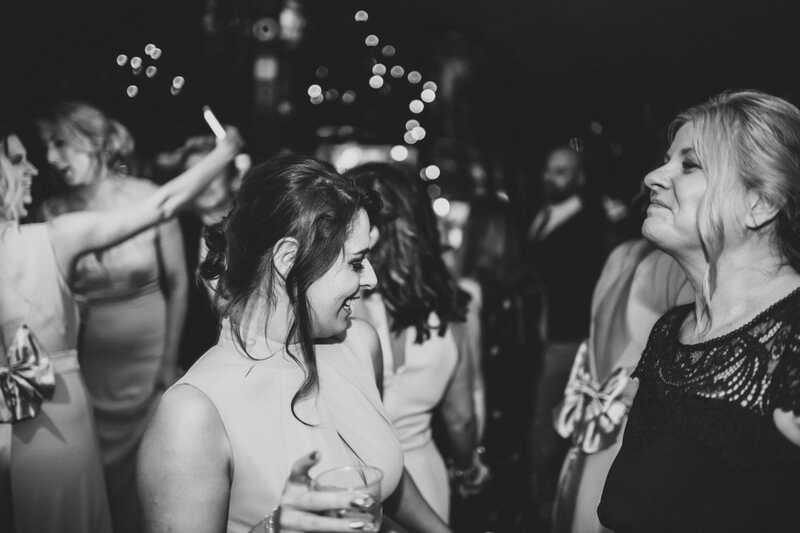 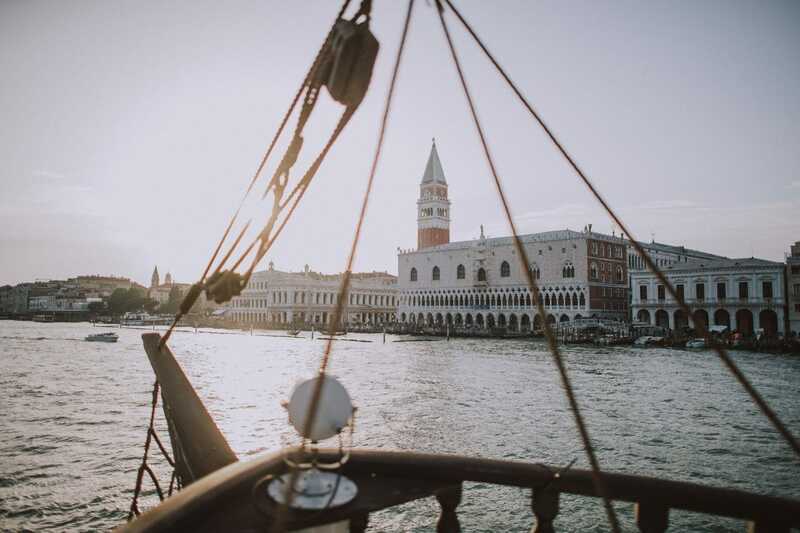 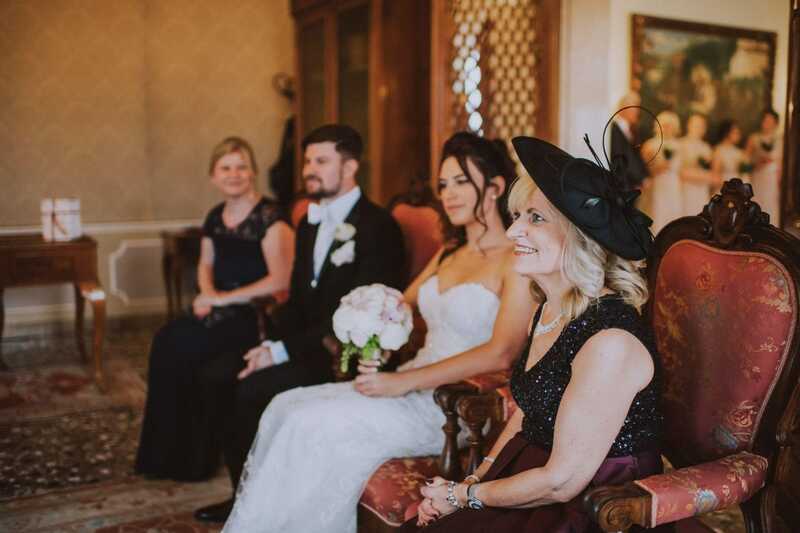 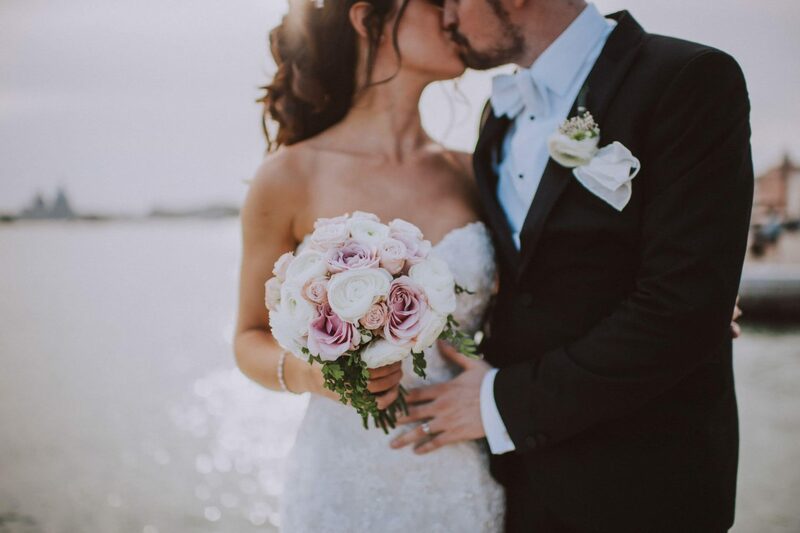 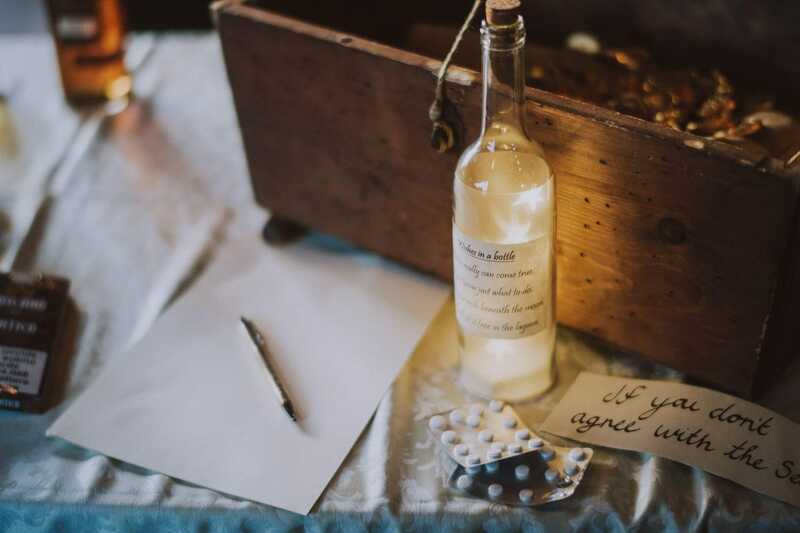 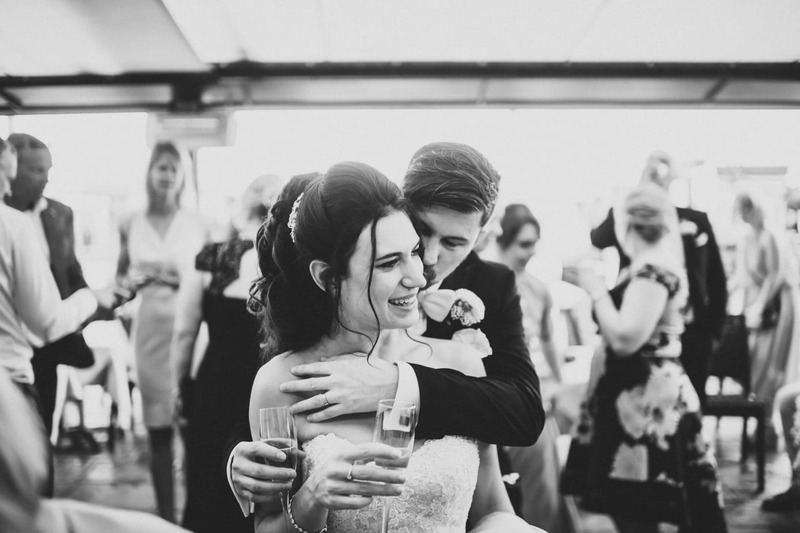 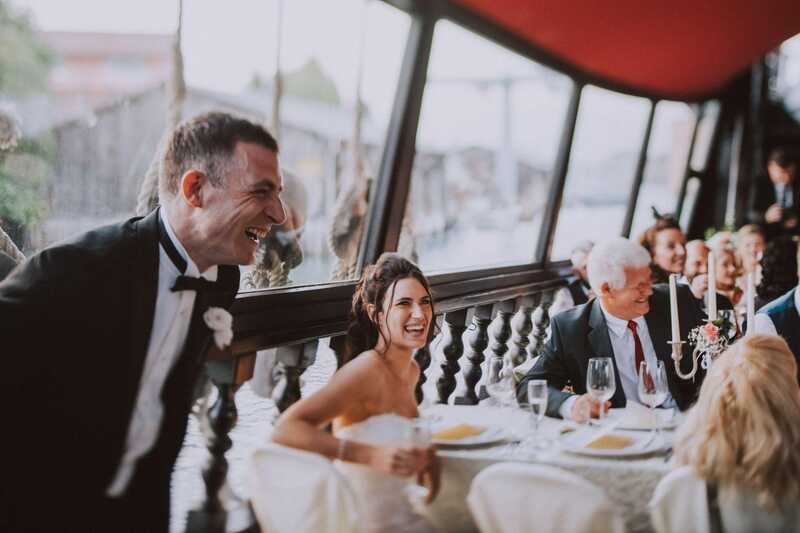 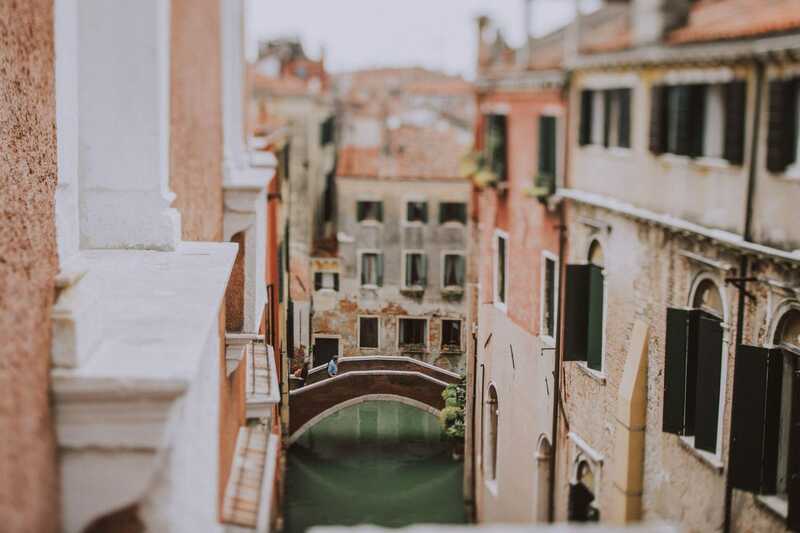 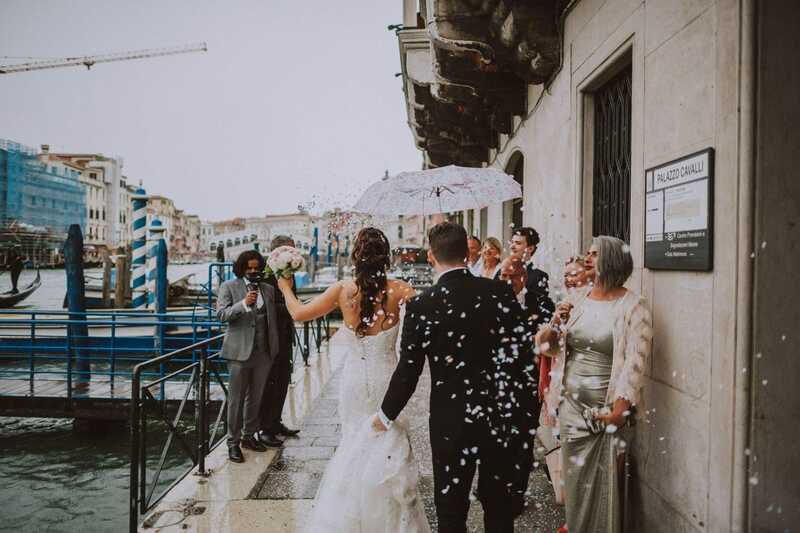 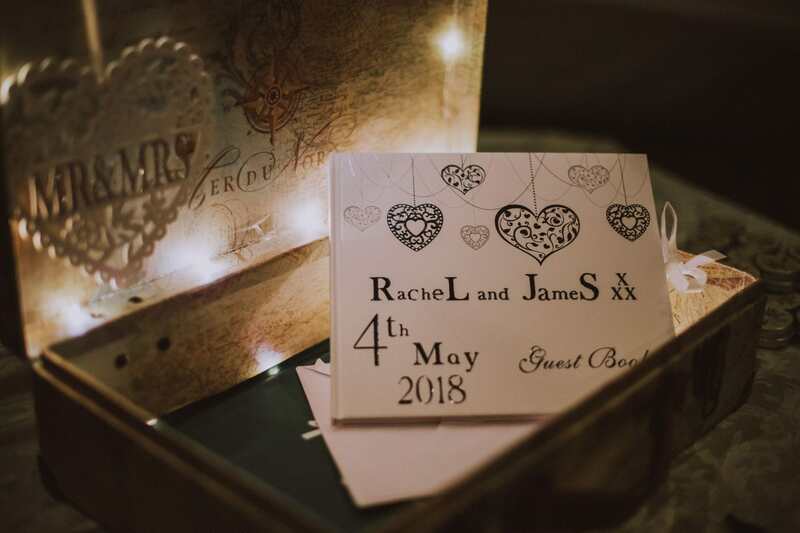 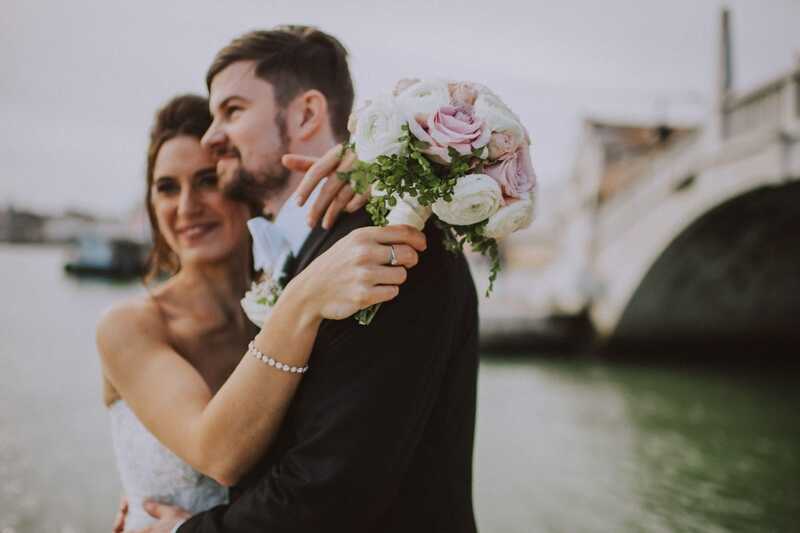 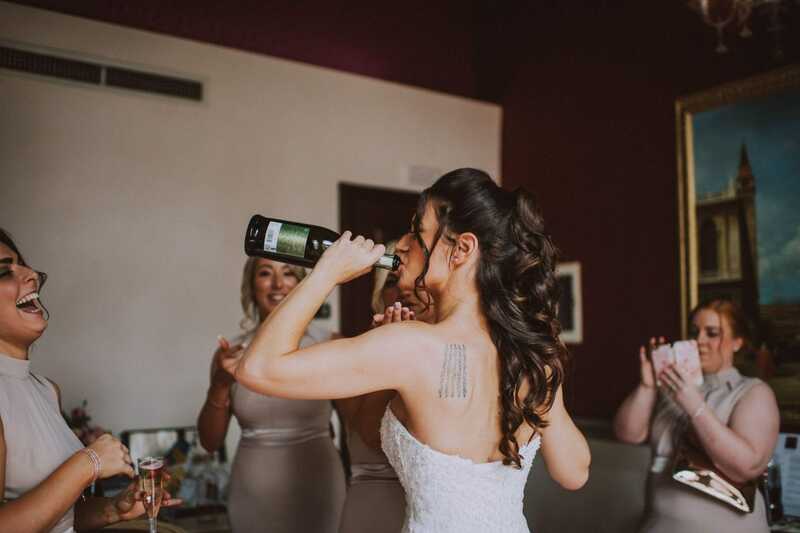 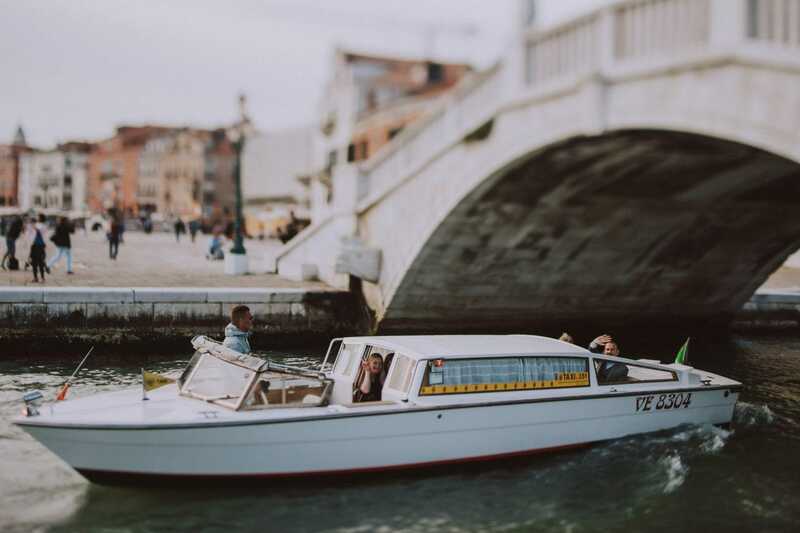 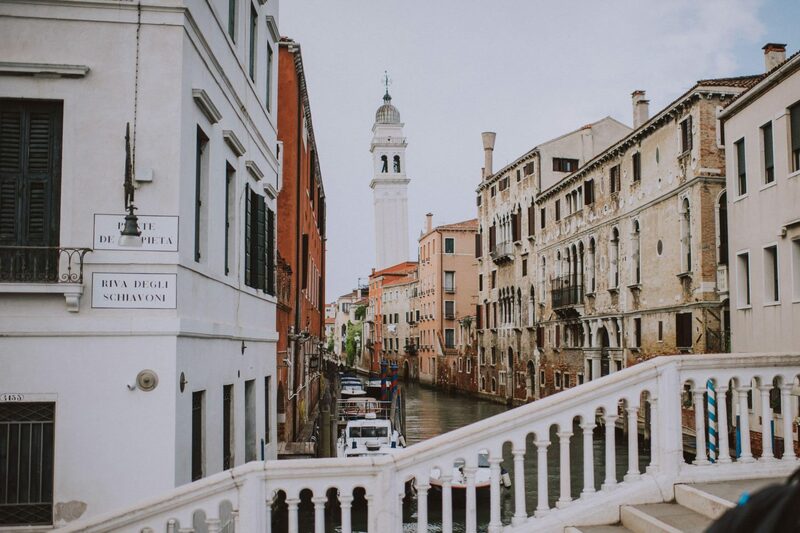 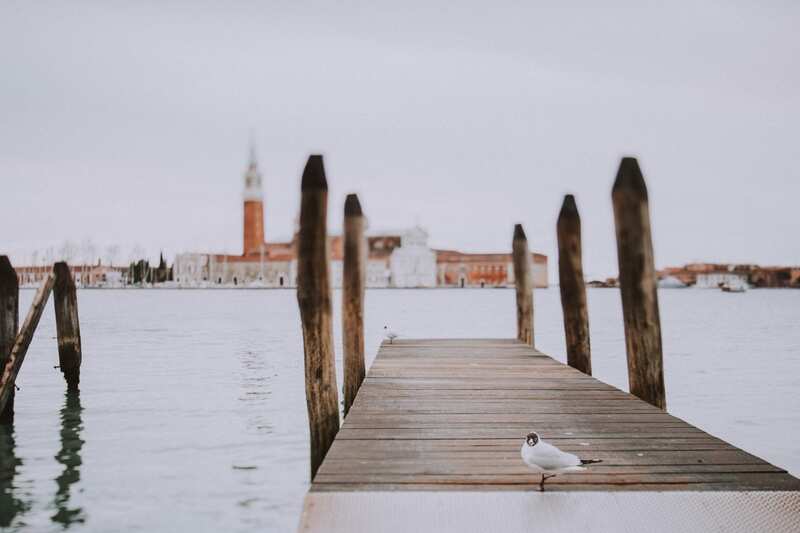 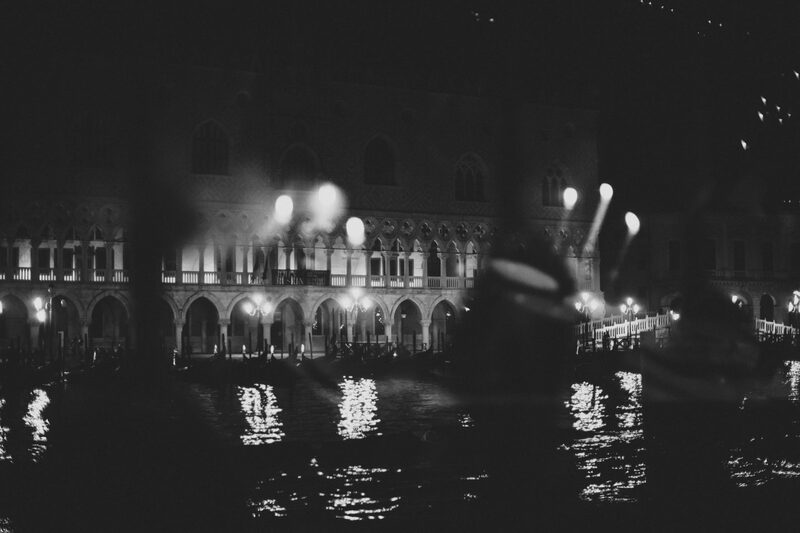 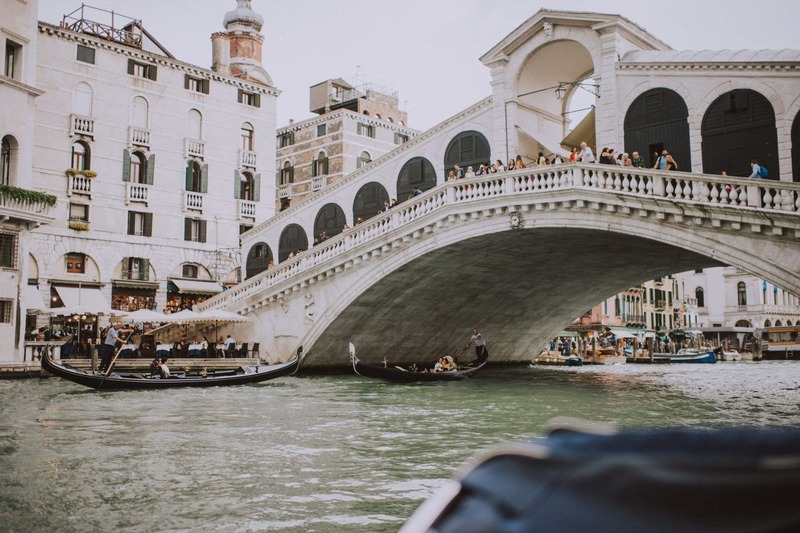 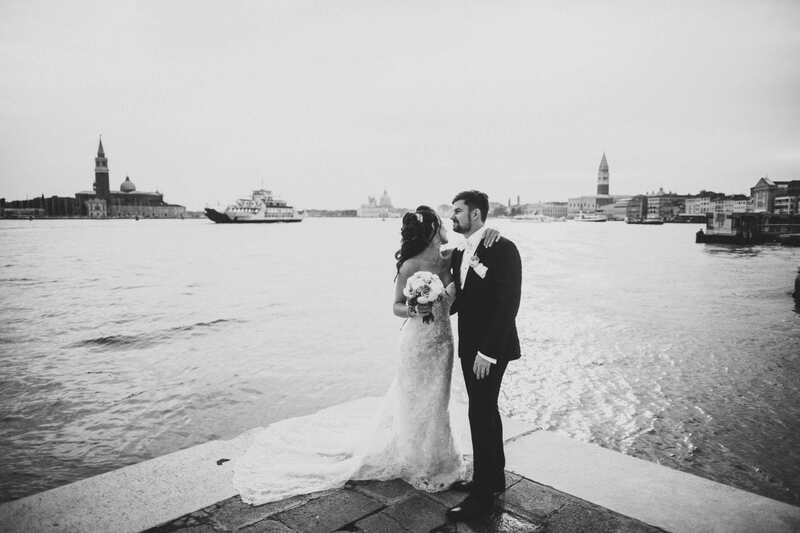 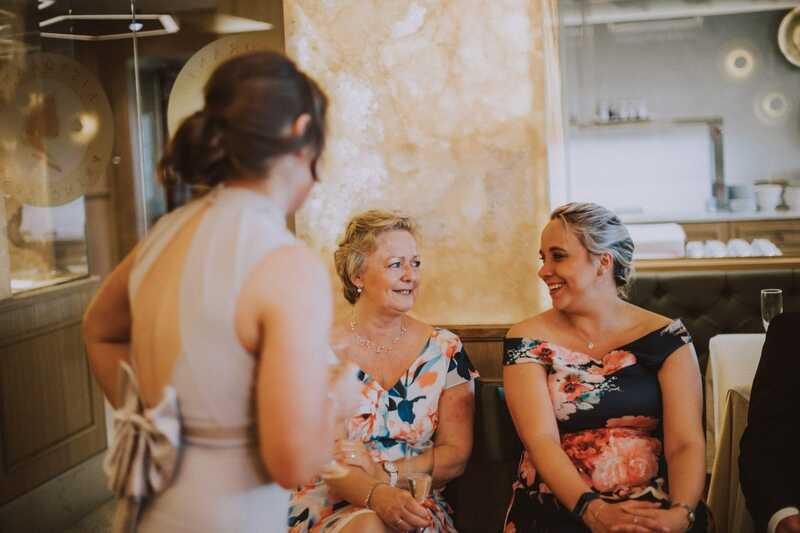 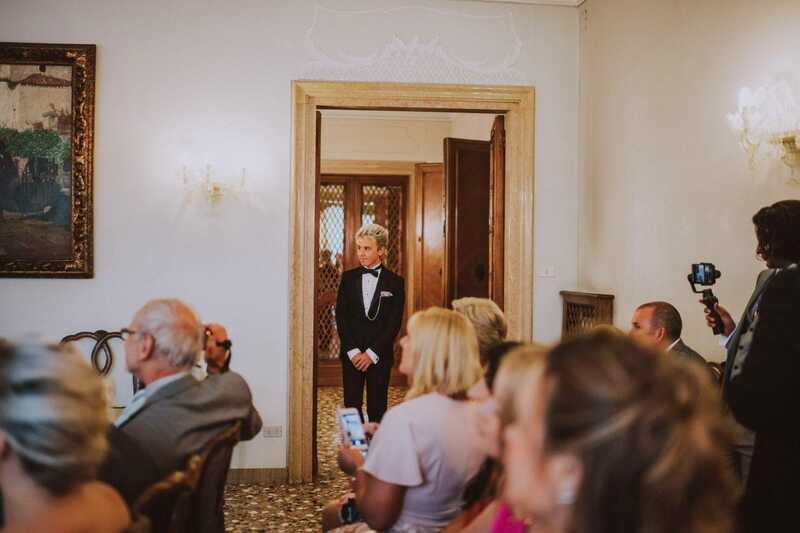 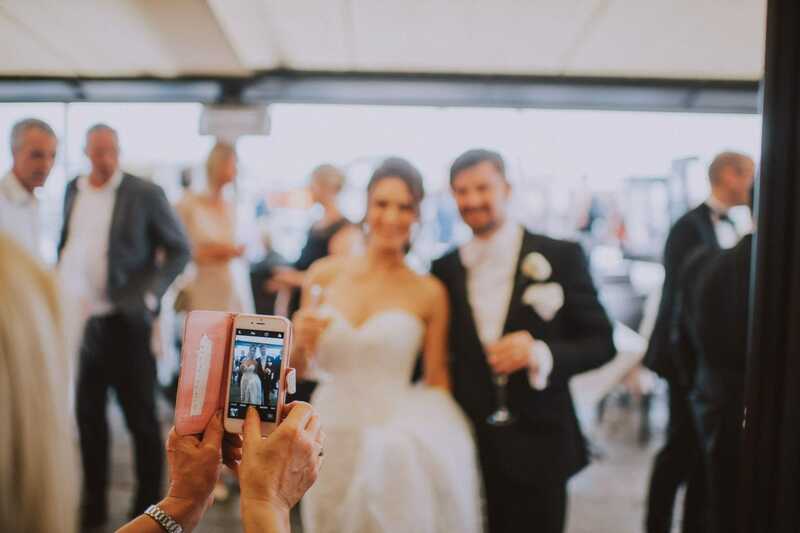 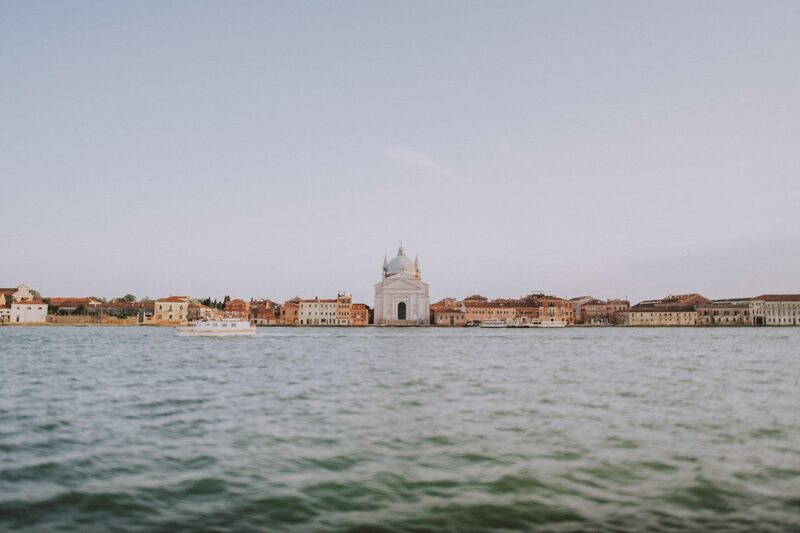 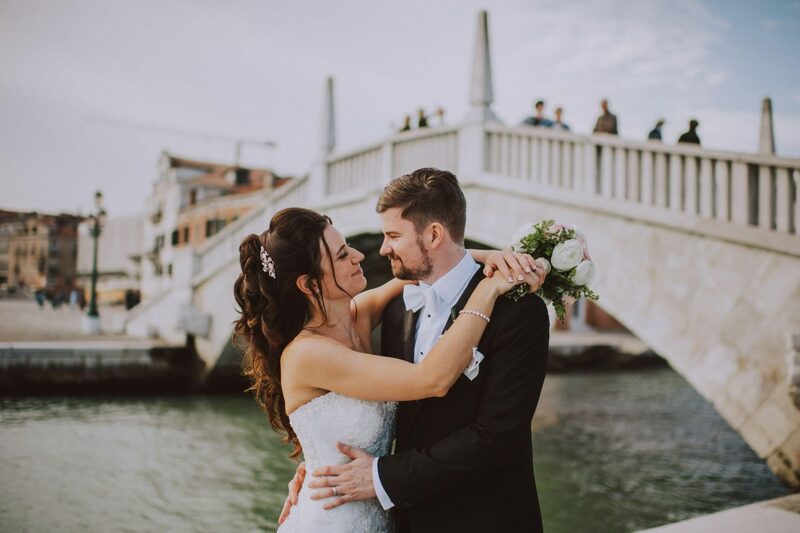 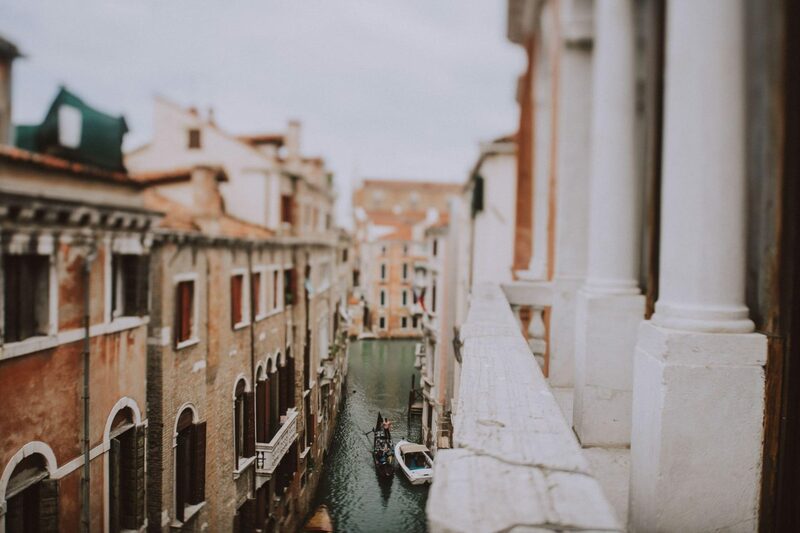 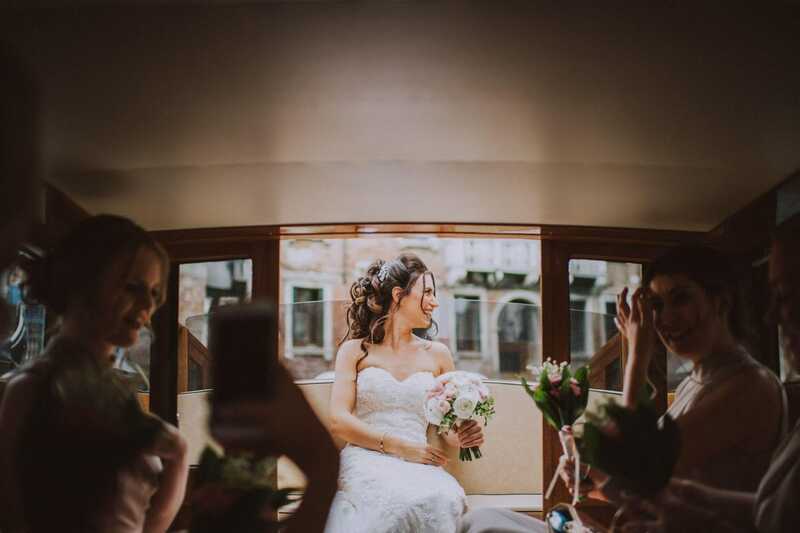 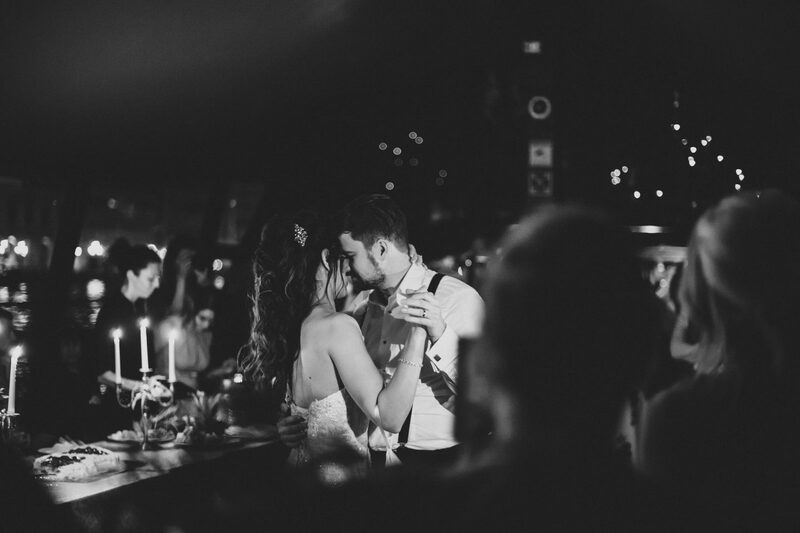 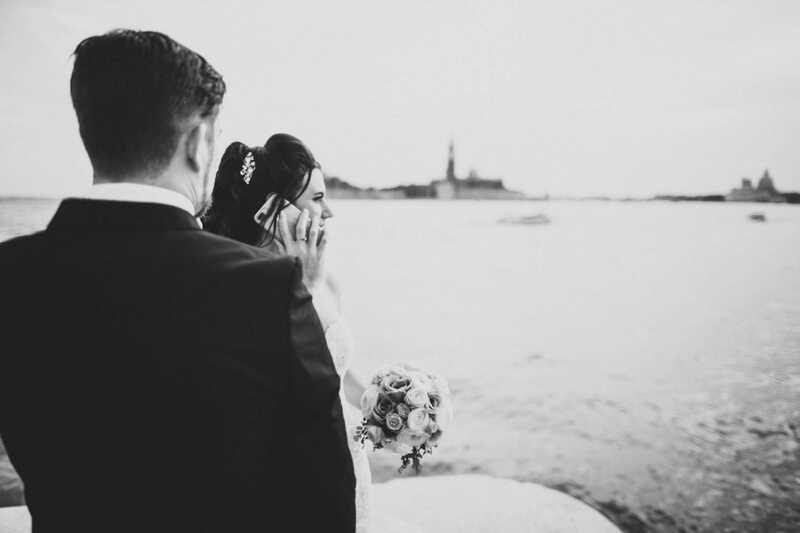 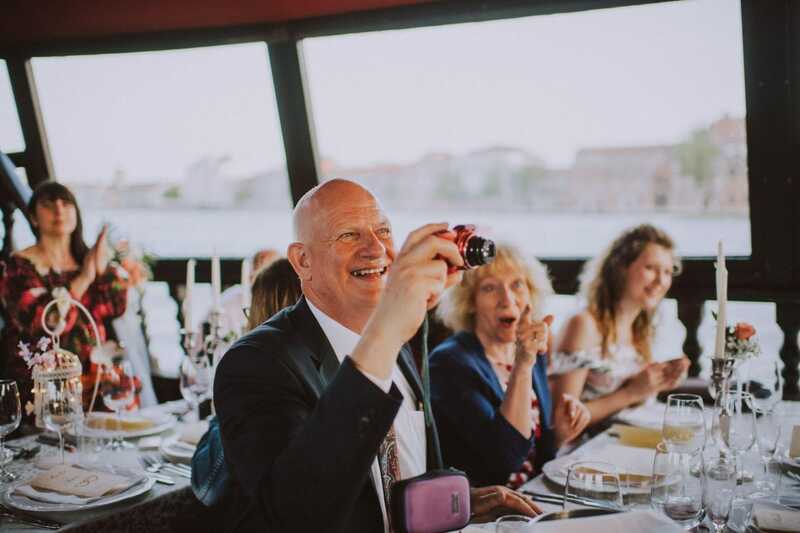 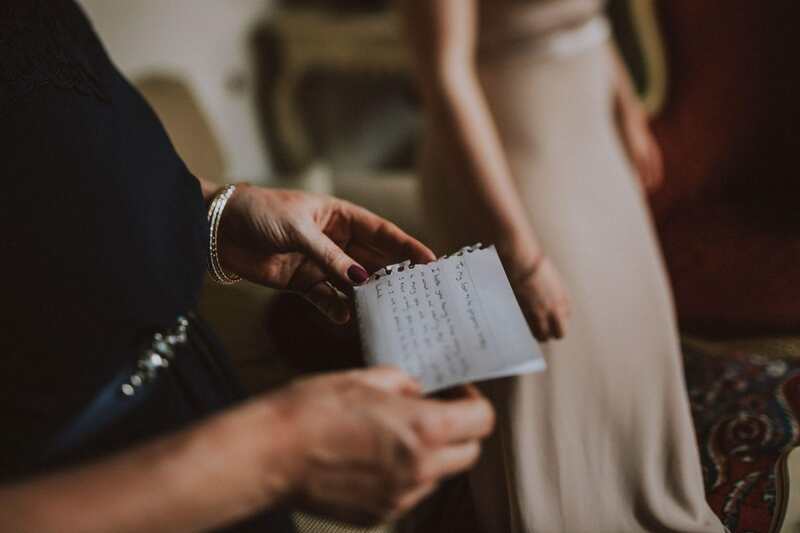 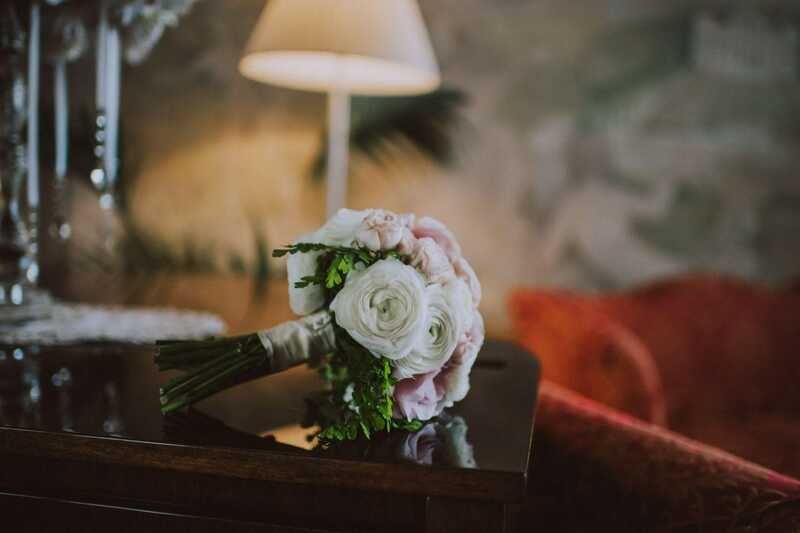 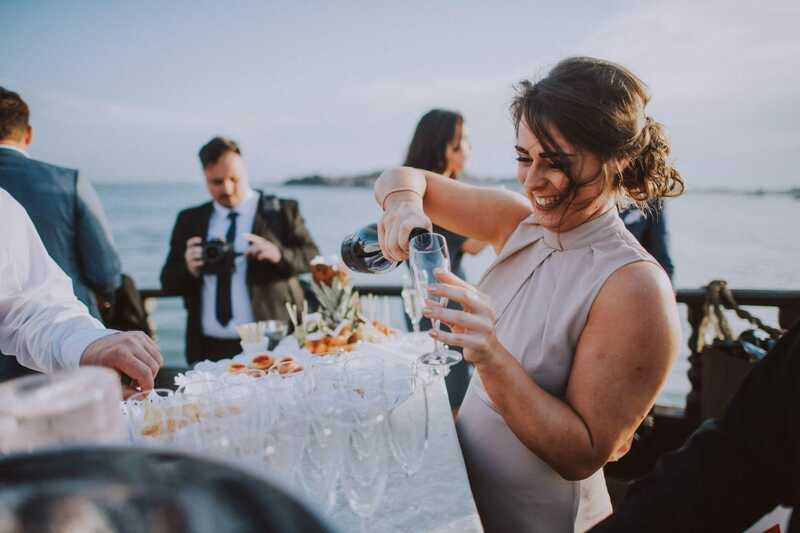 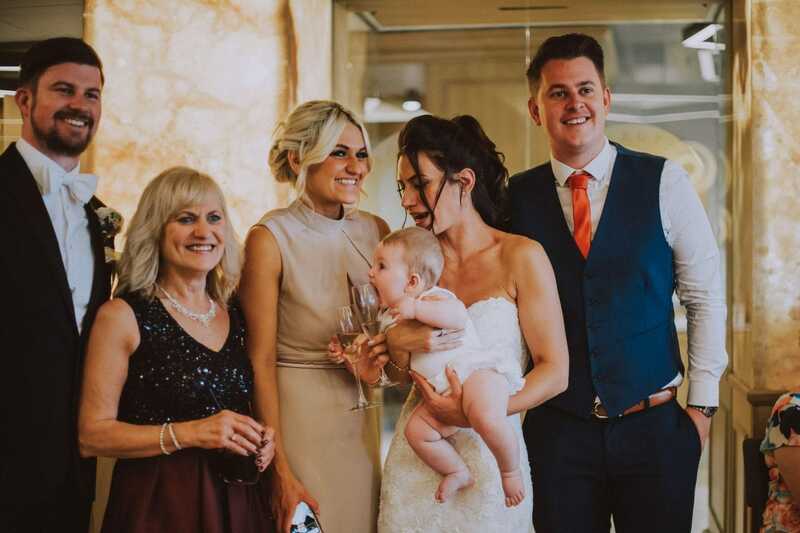 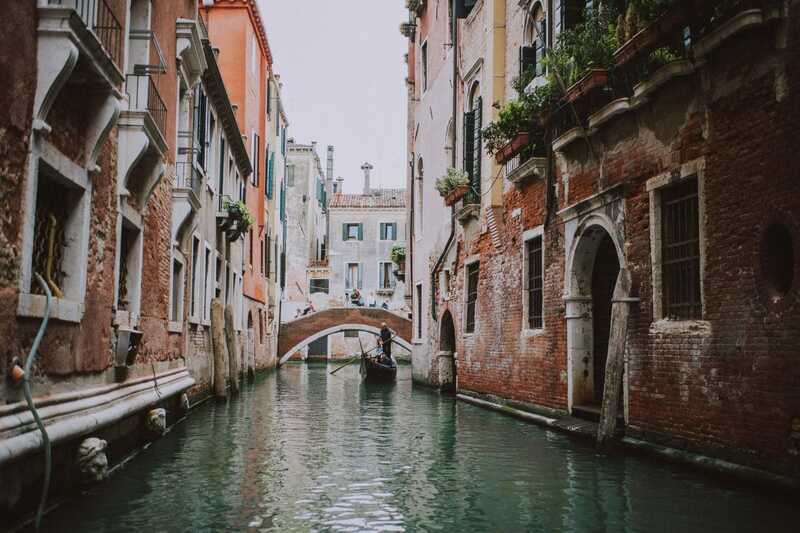 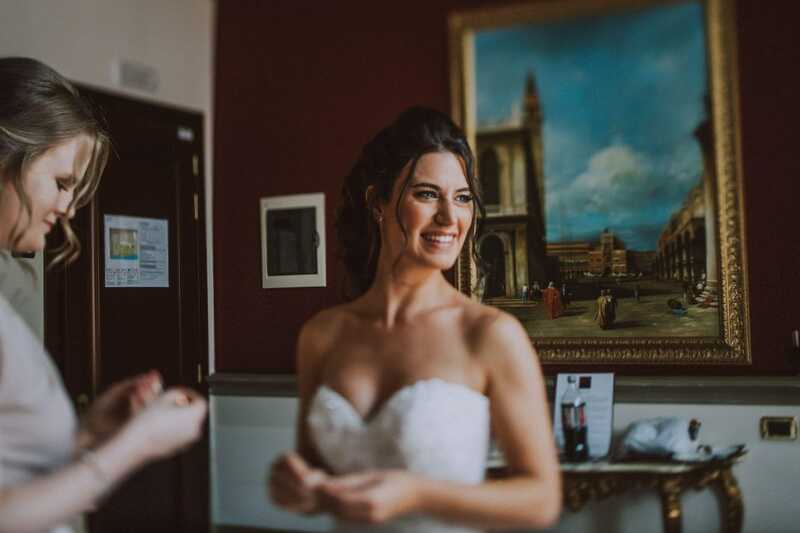 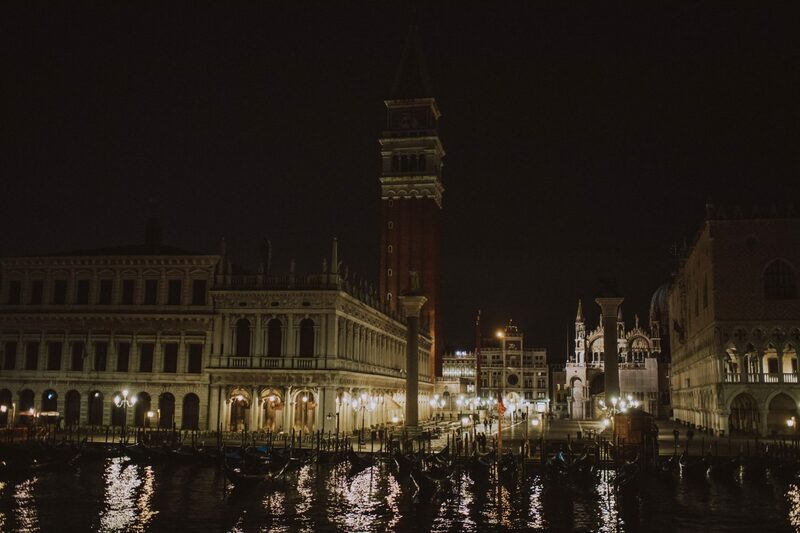 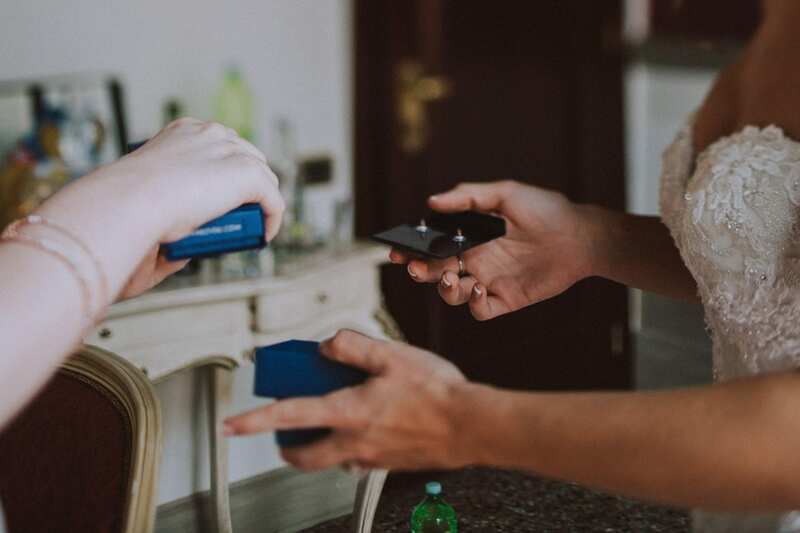 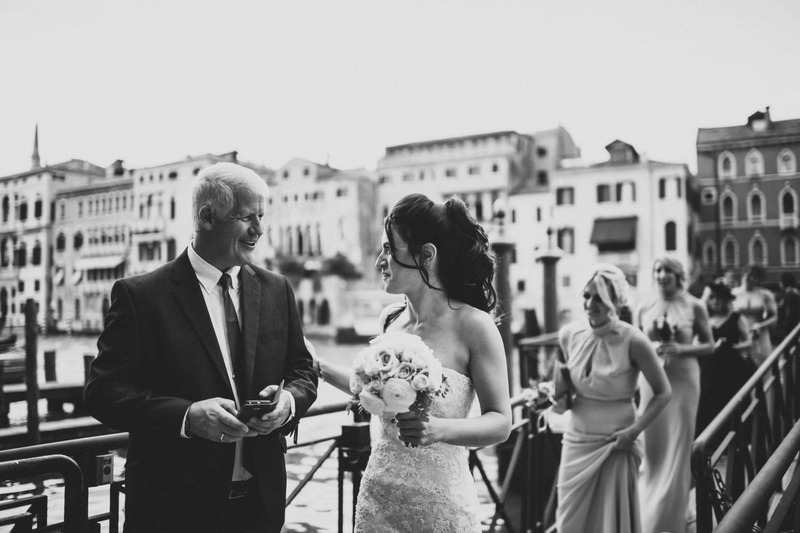 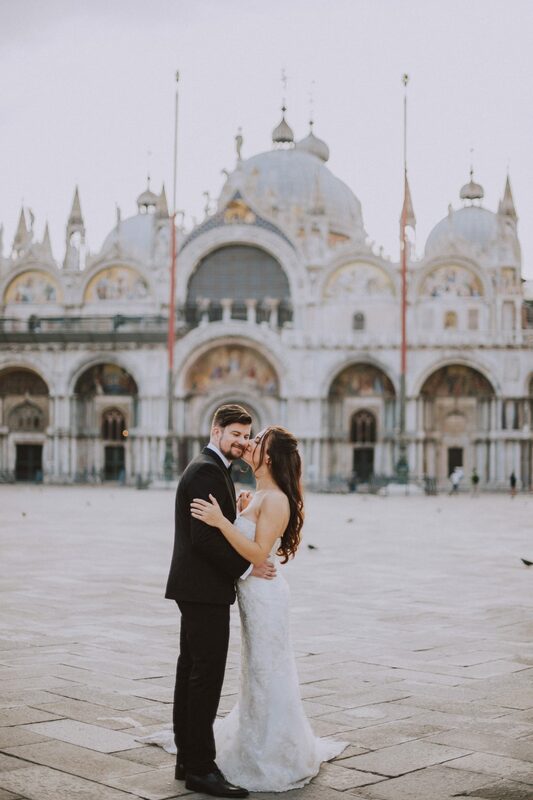 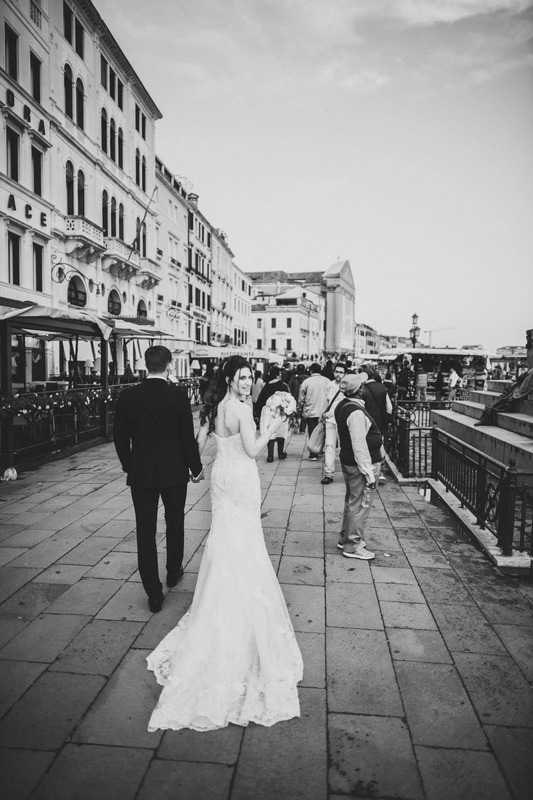 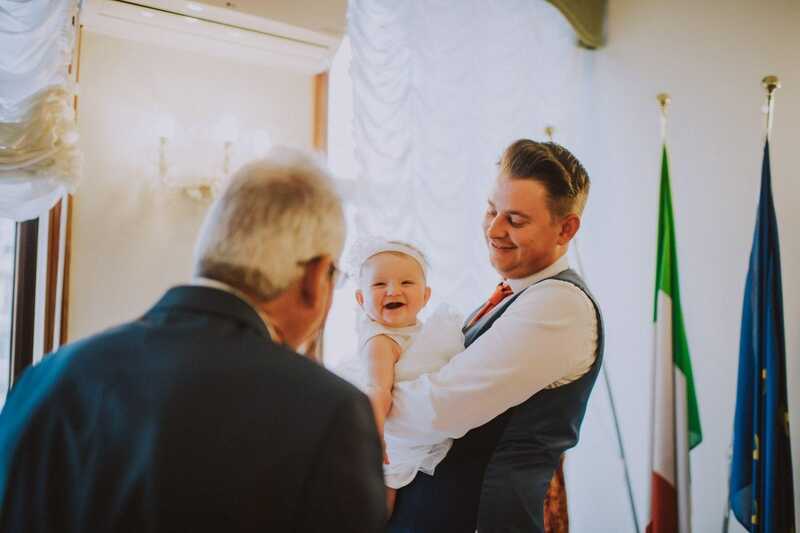 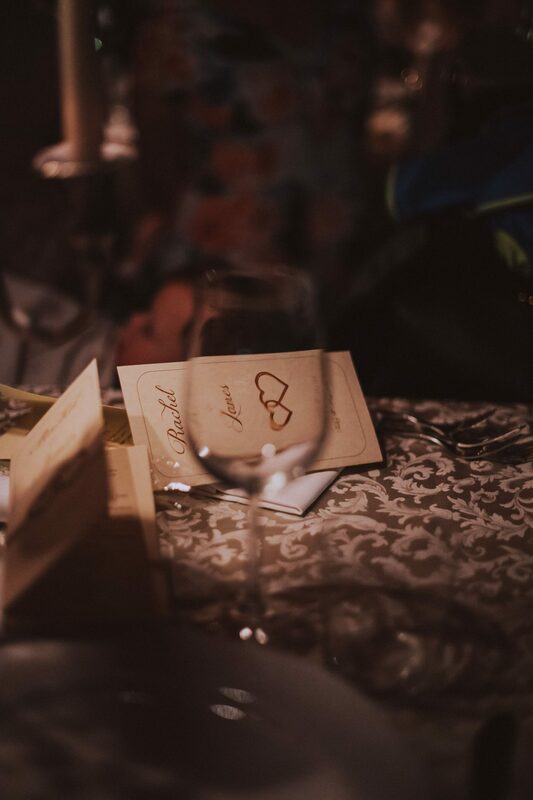 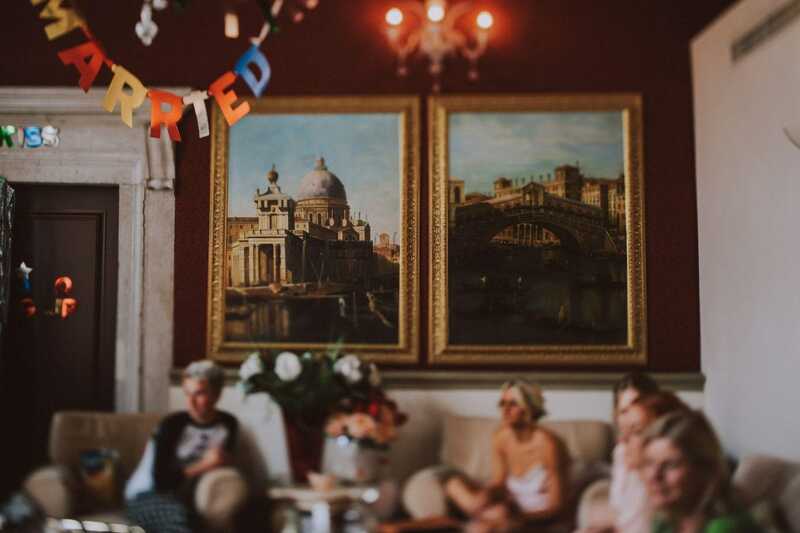 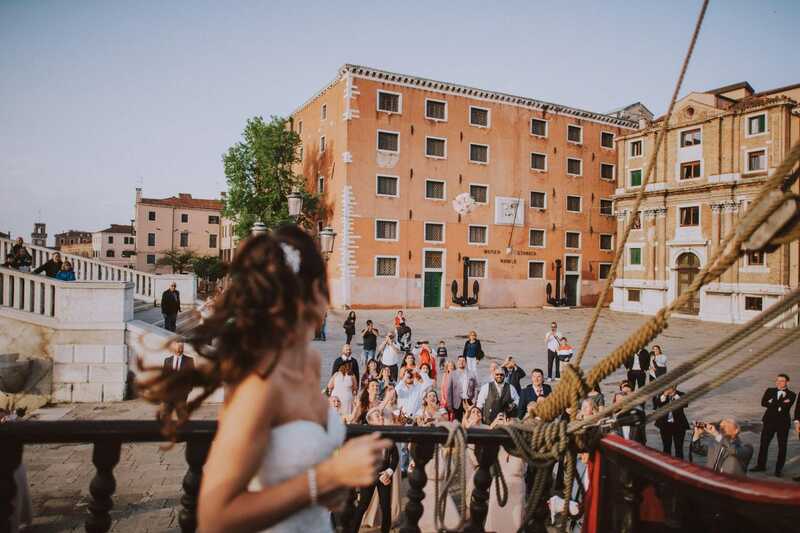 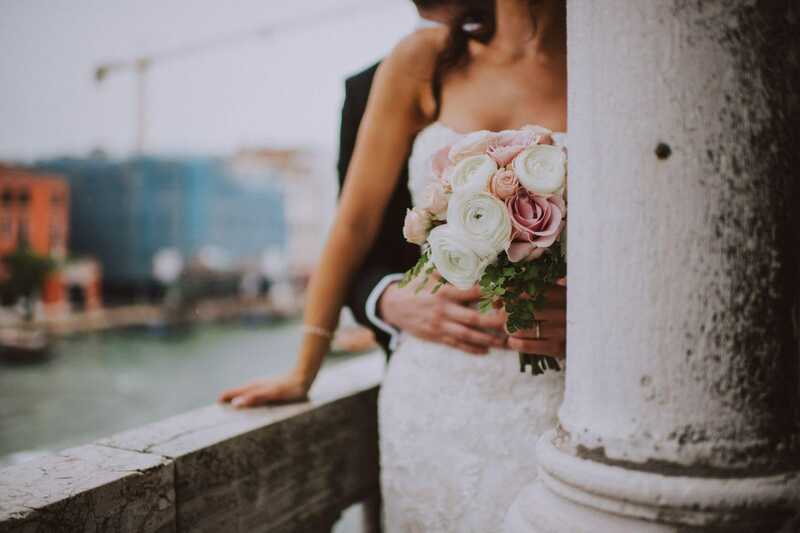 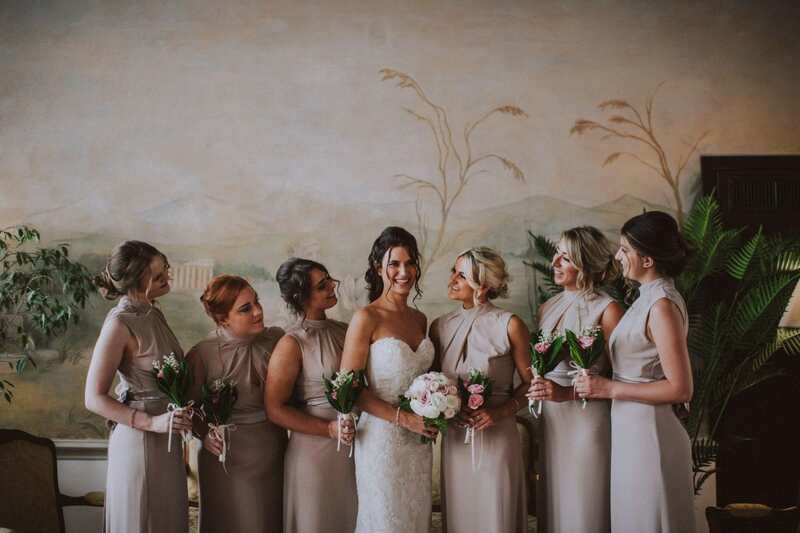 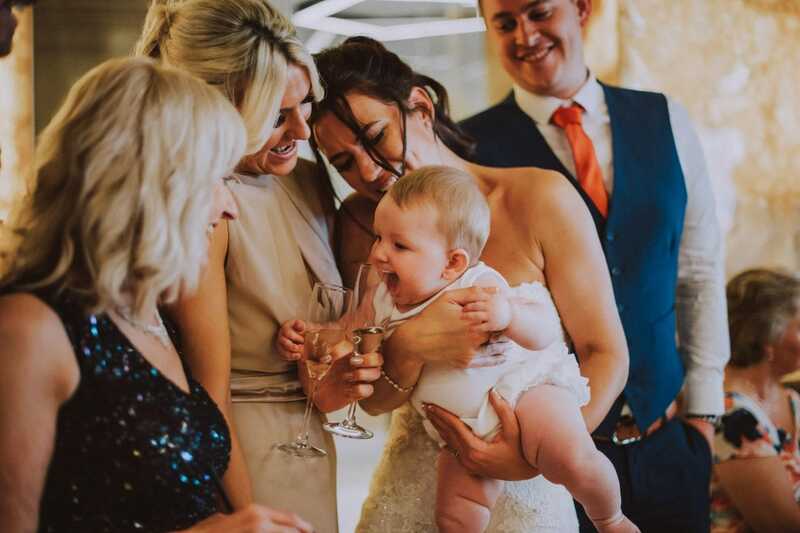 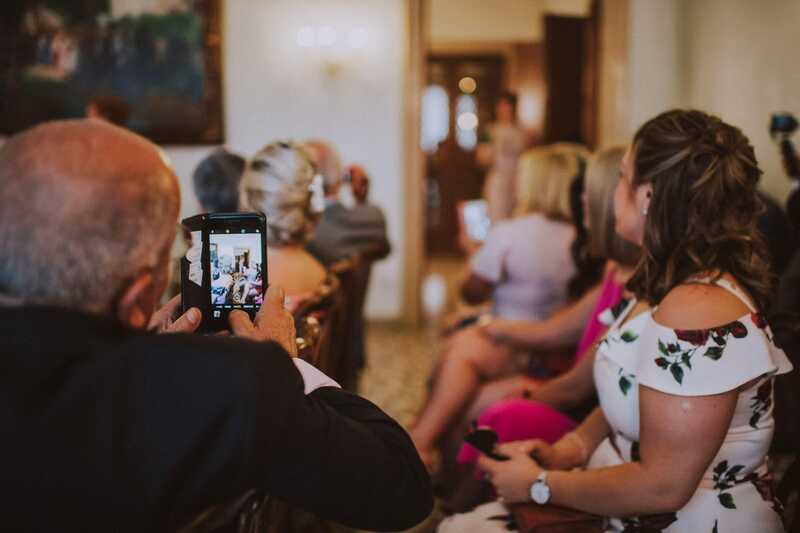 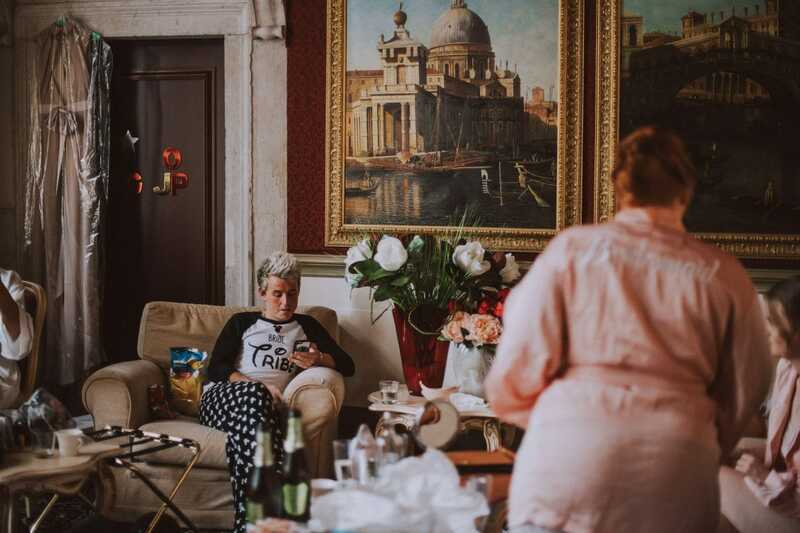 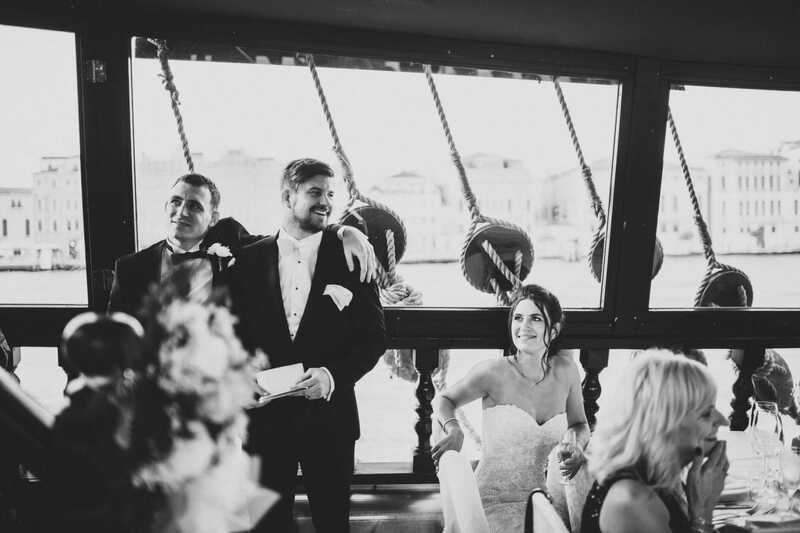 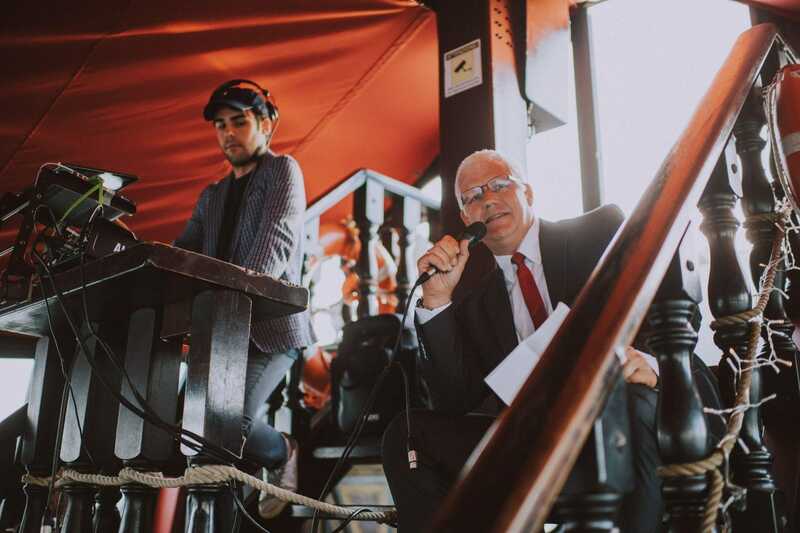 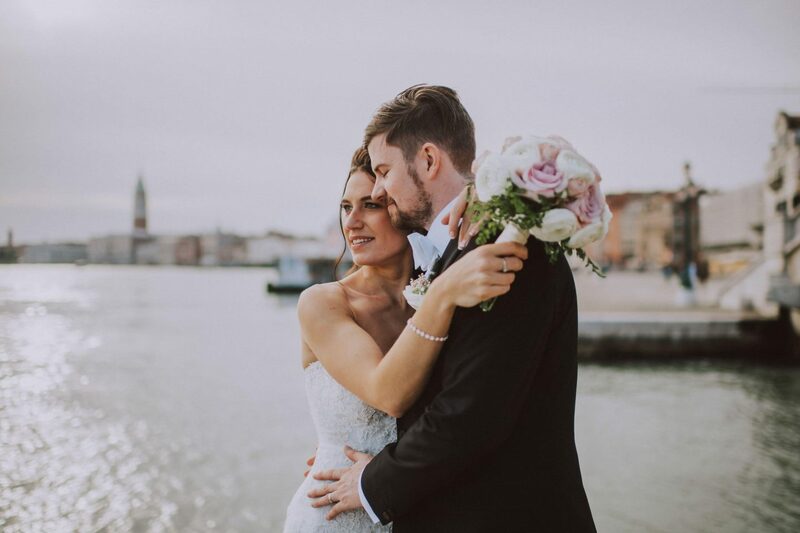 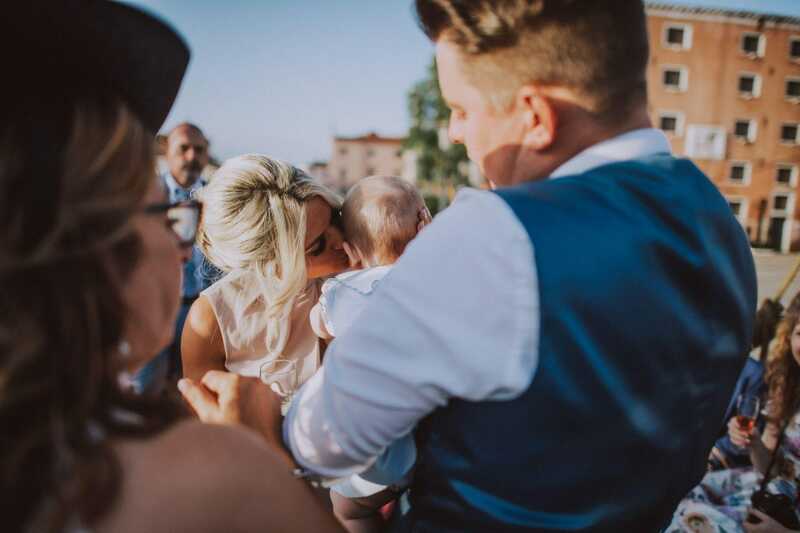 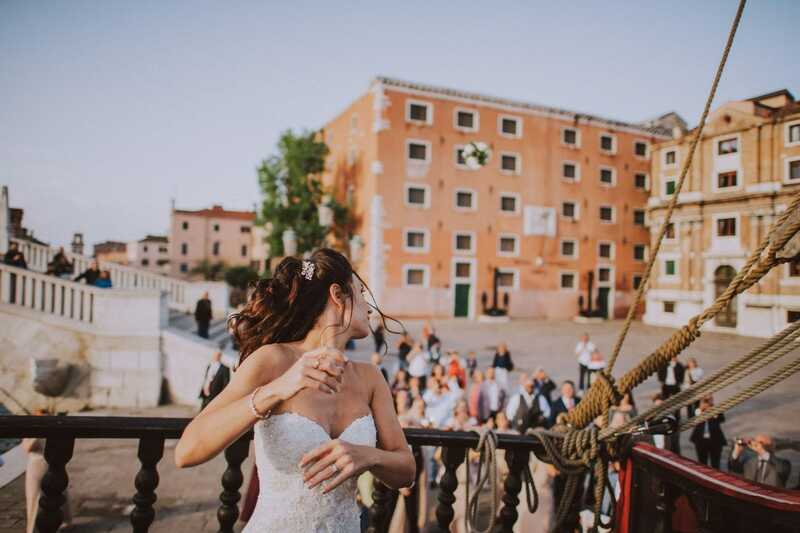 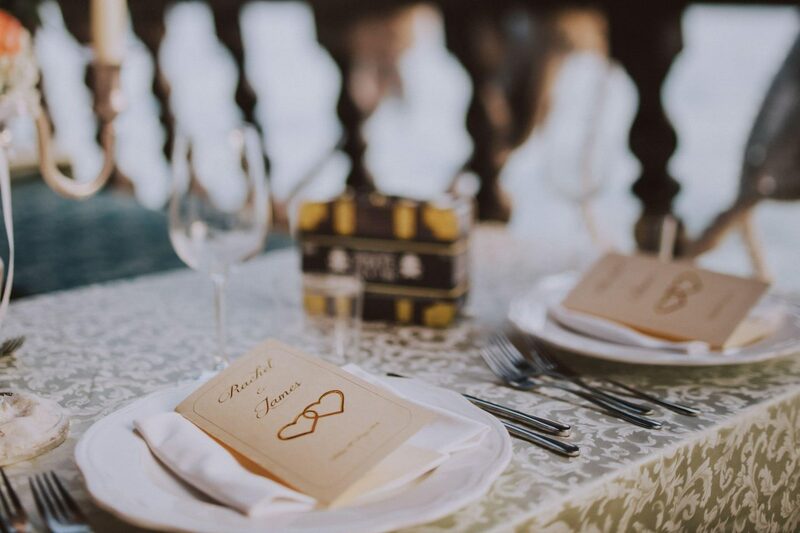 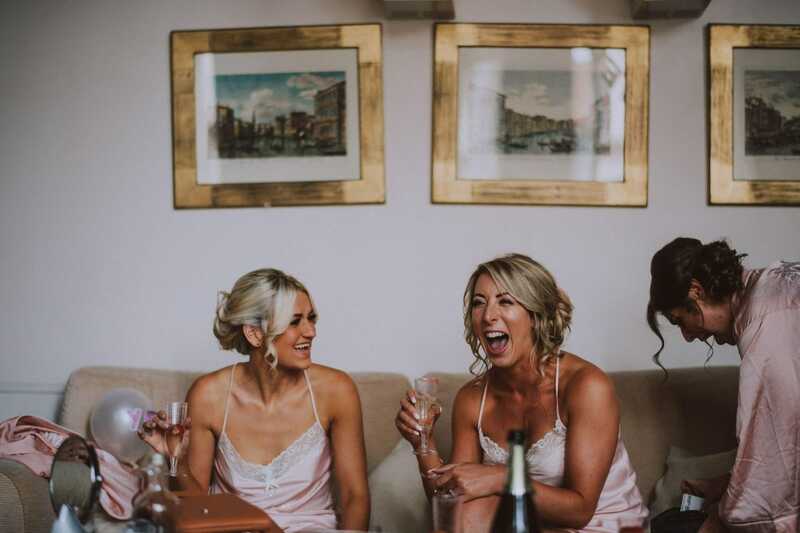 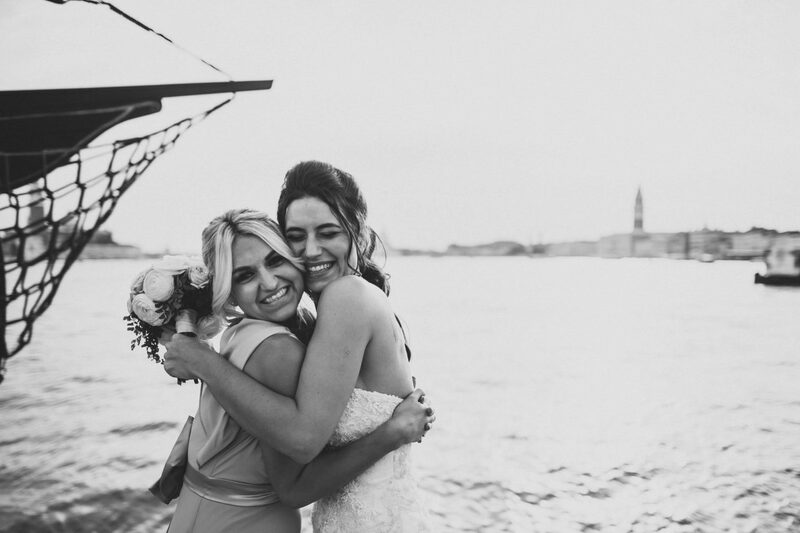 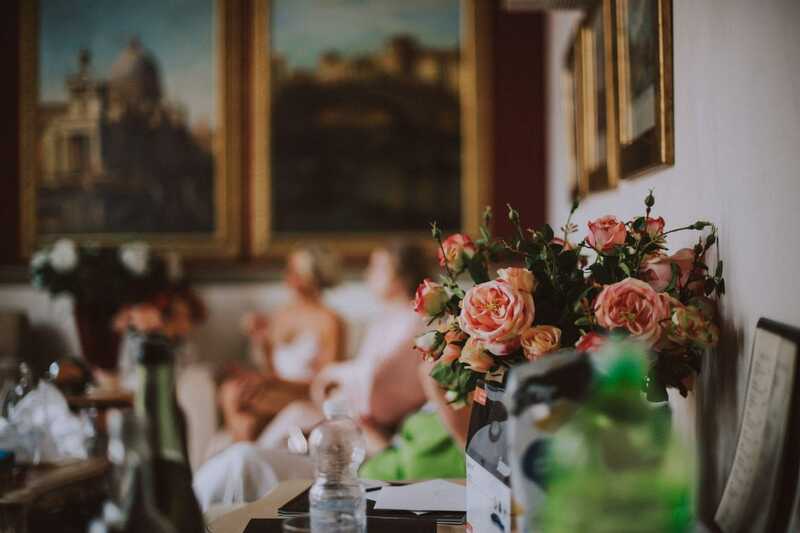 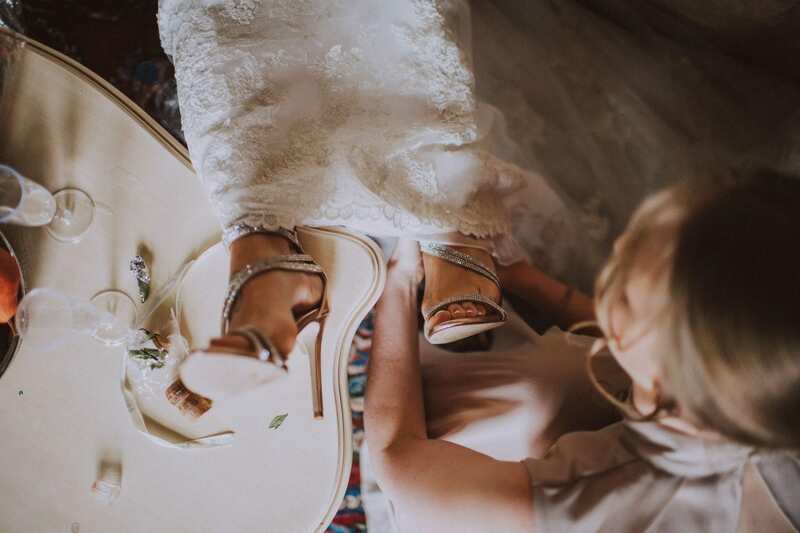 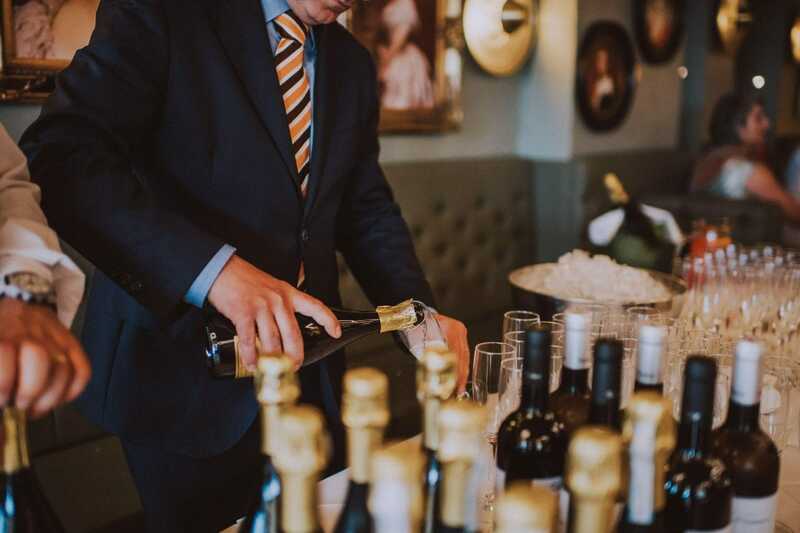 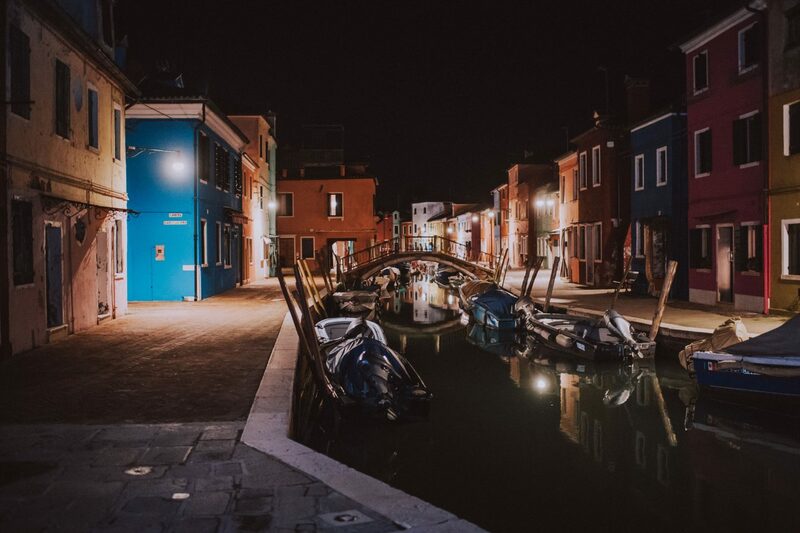 Rachel and James’s dream of a wedding in Venice became reality with a civil ceremony at Palazzo Cavalli, one of the many palaces overlooking the Grand Canal dating back to the 16th century. 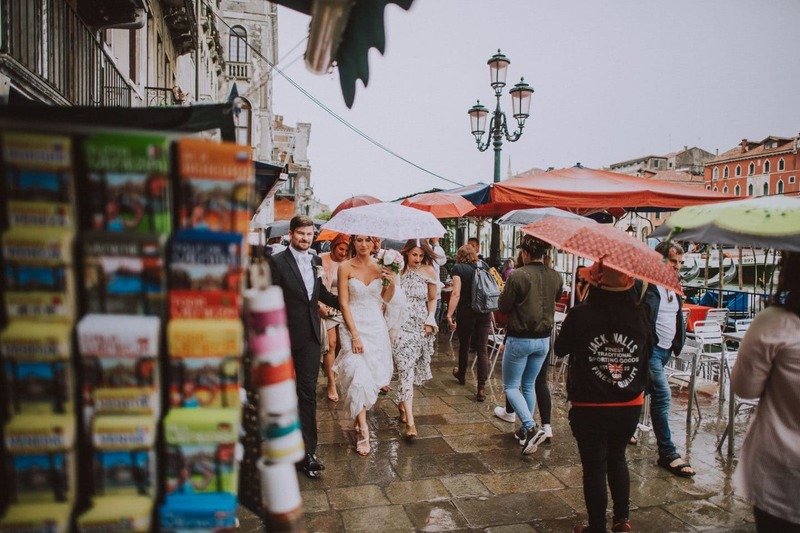 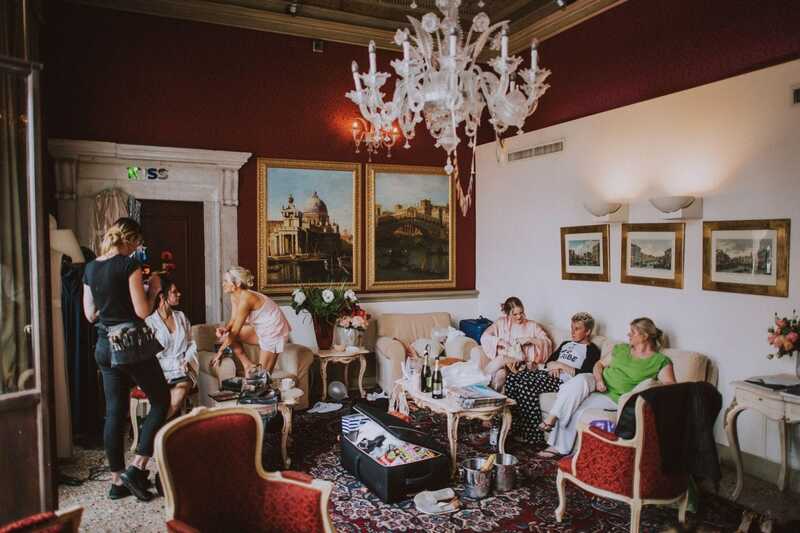 Sometimes you just want to be a diva on your wedding day and the place for that is wherever the divas congregate in Venice. 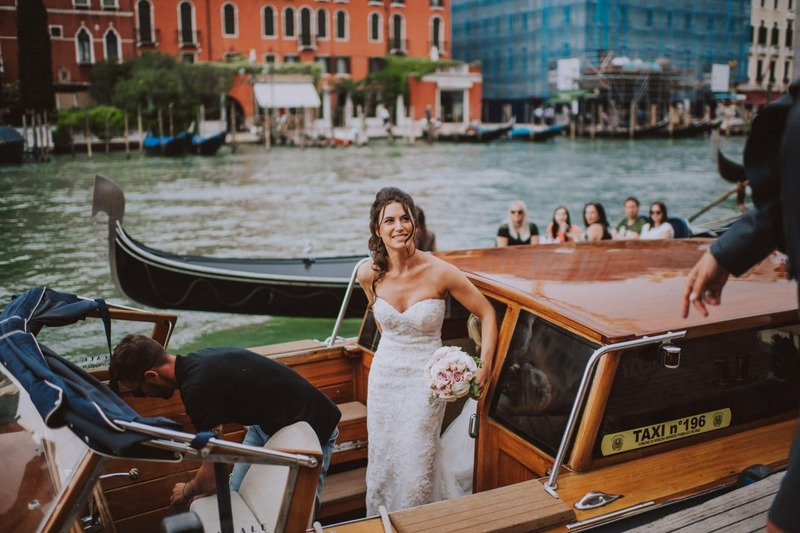 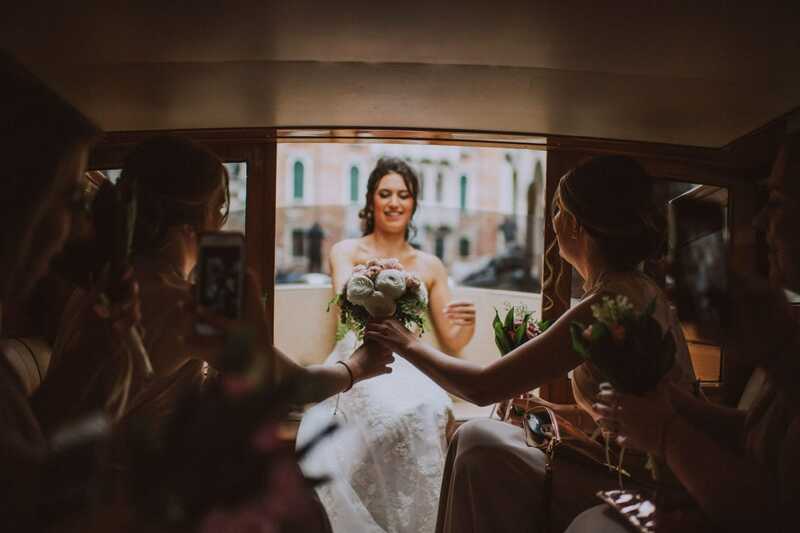 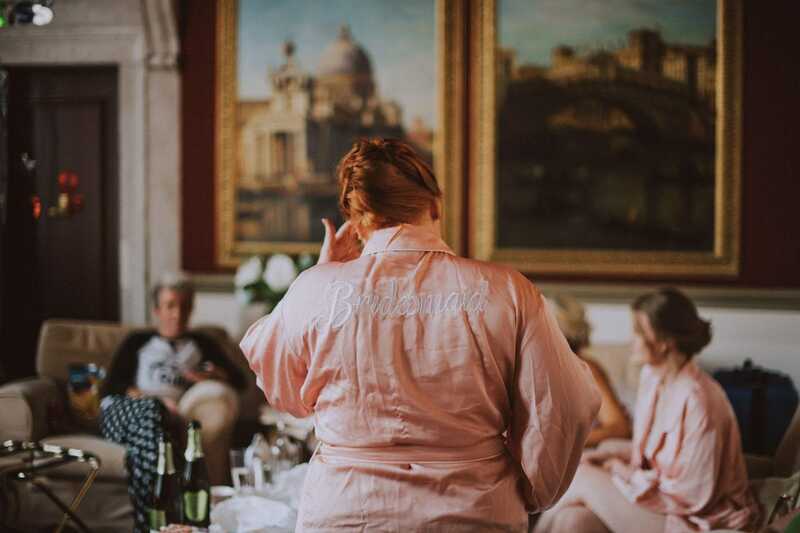 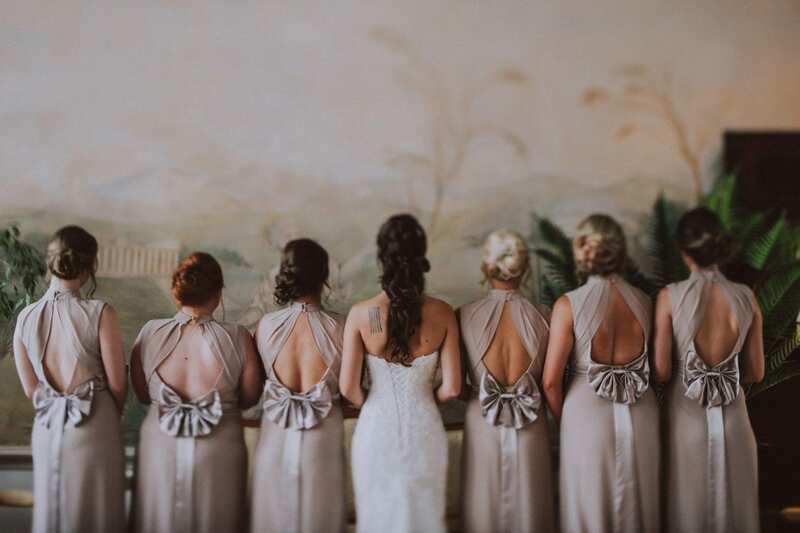 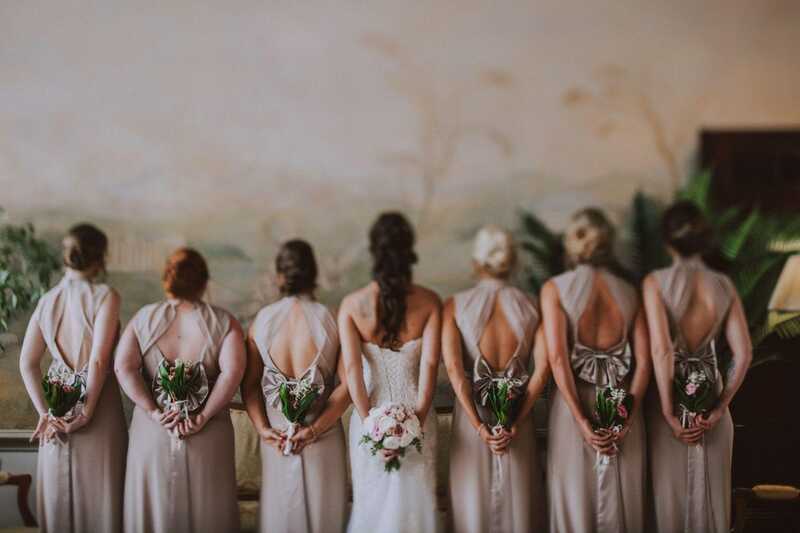 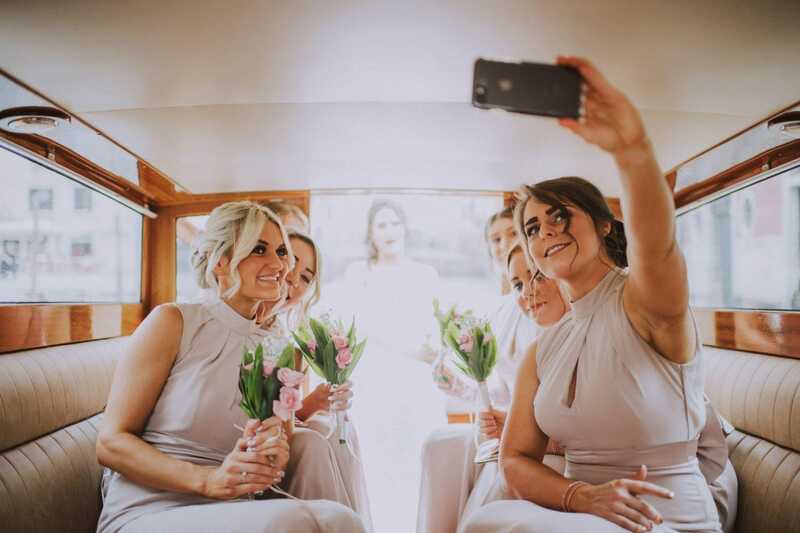 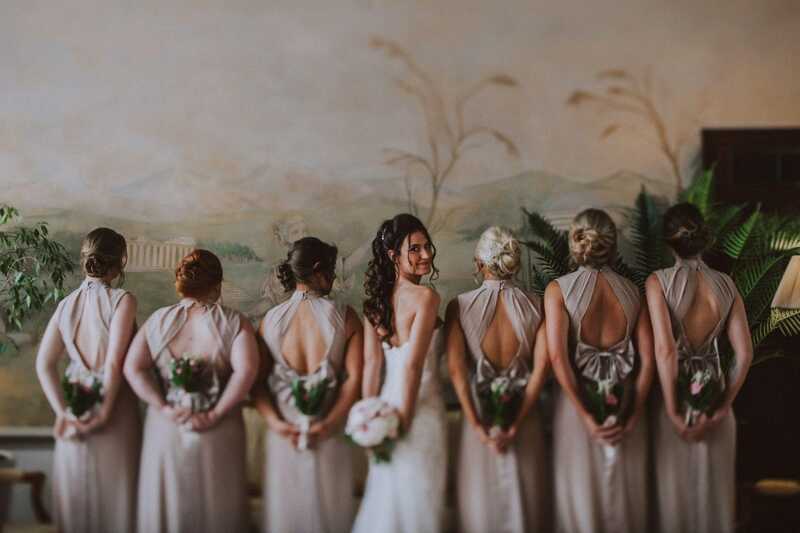 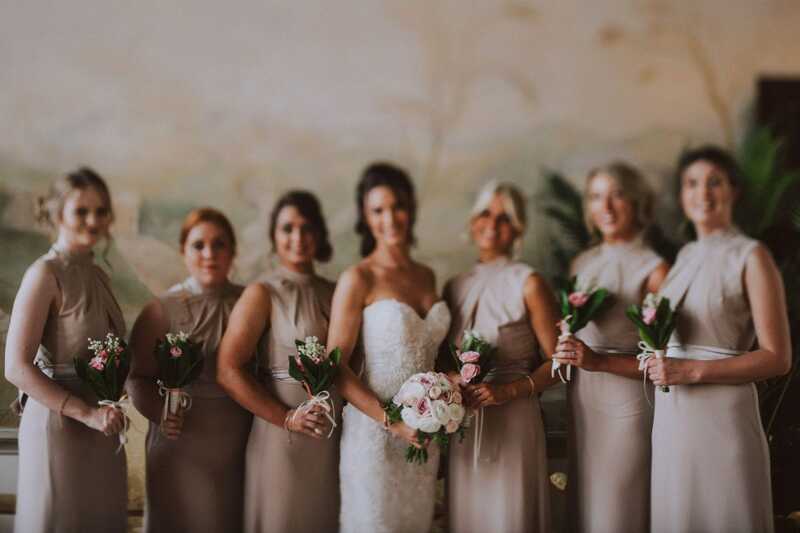 Accompanied by her bridesmaids in soft pink long gowns Rachel left Ruzzini Palace on a speedboat, enjoying the beauty of Rialto bridge. 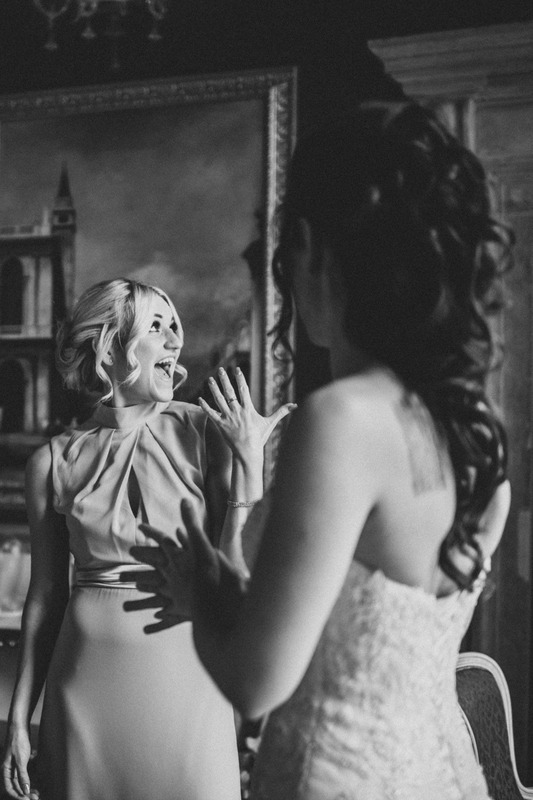 A perfect diva moment! 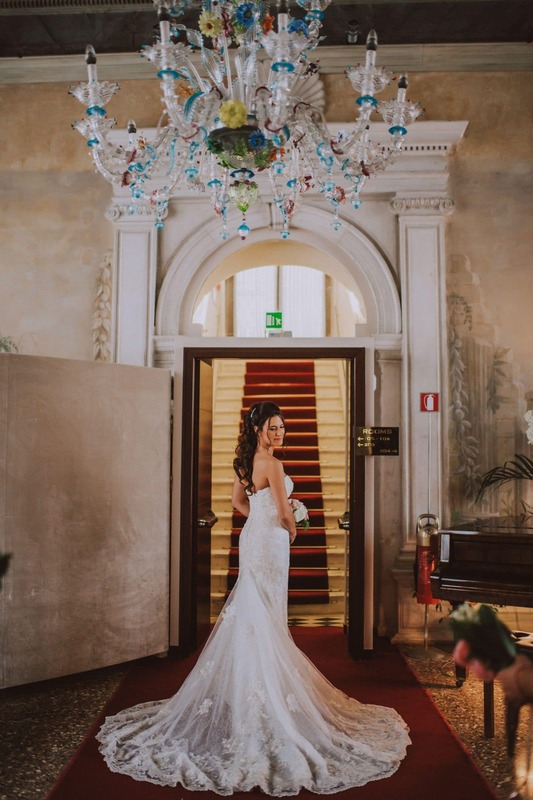 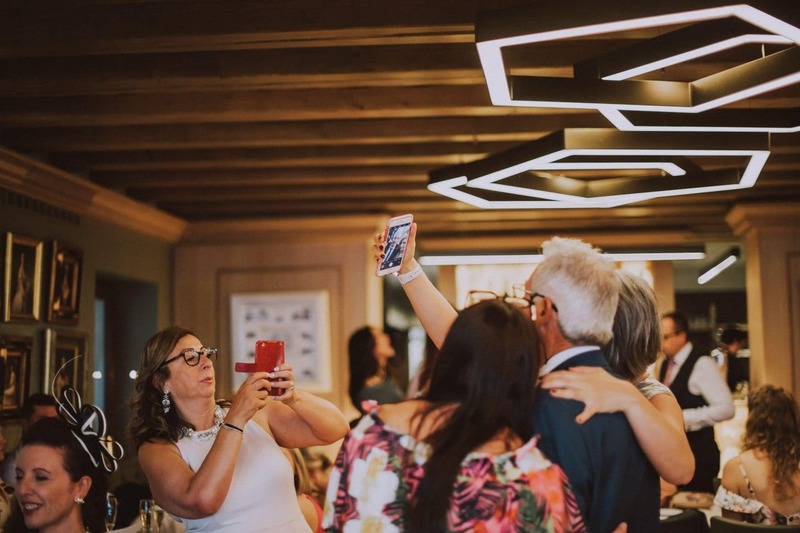 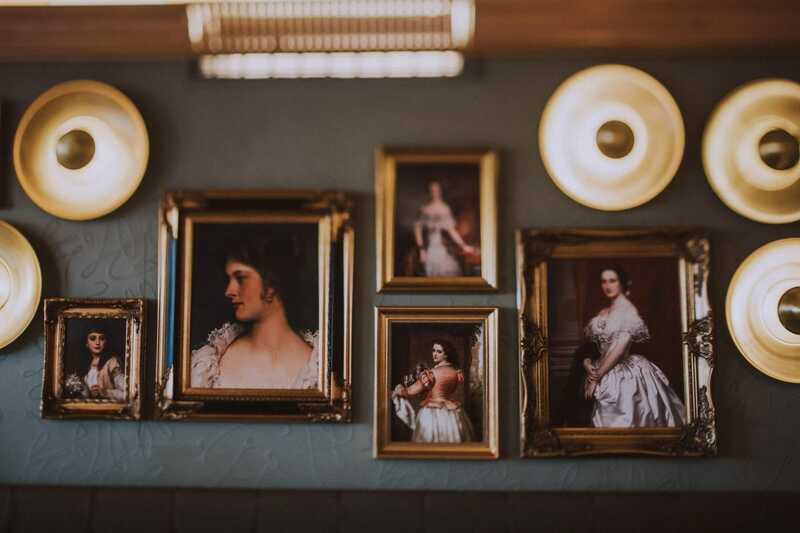 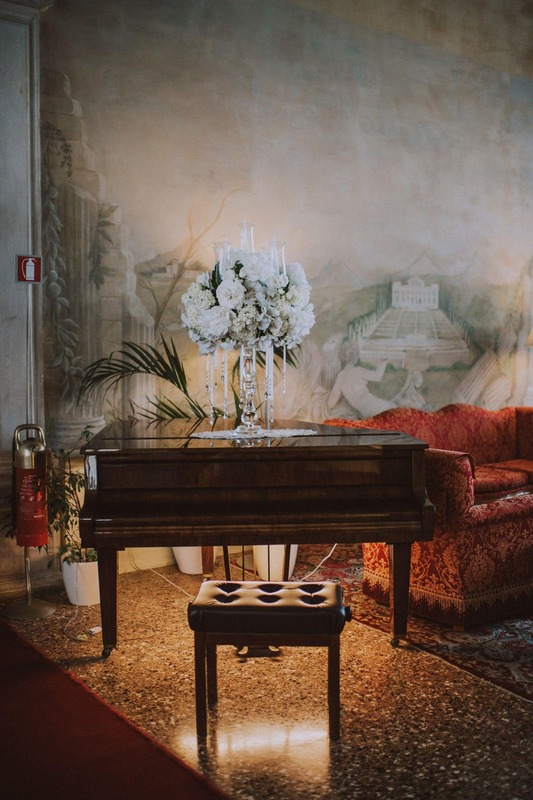 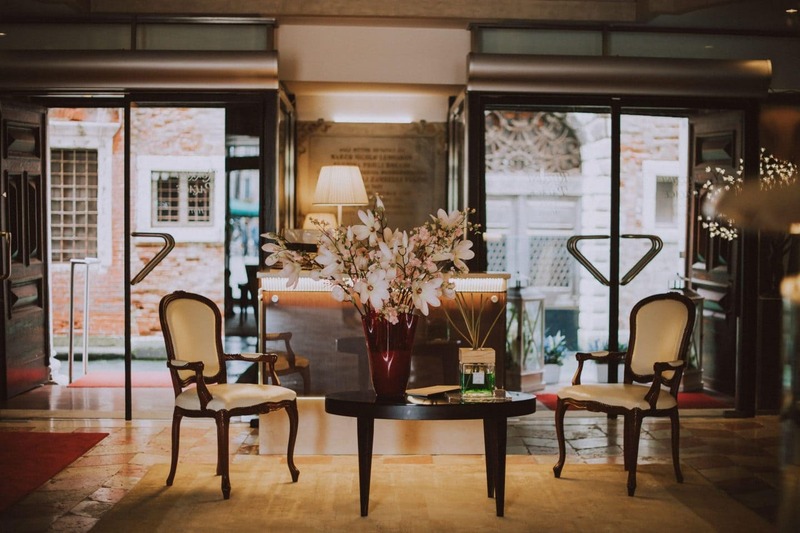 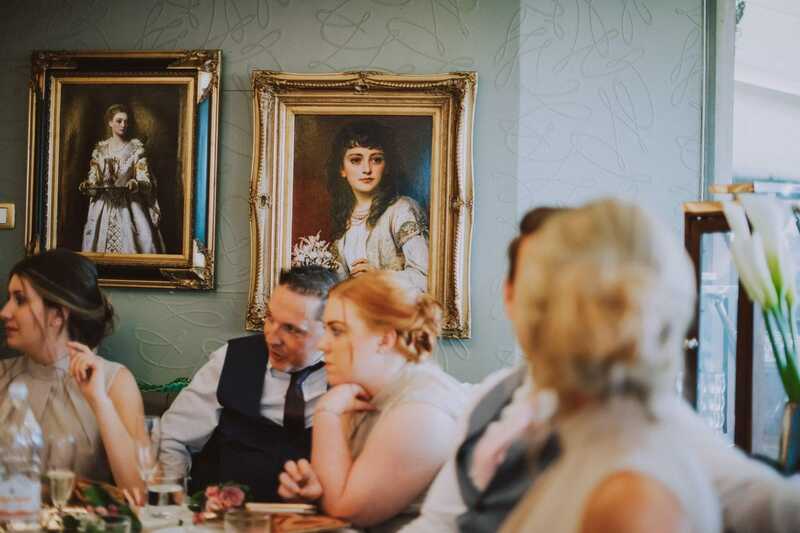 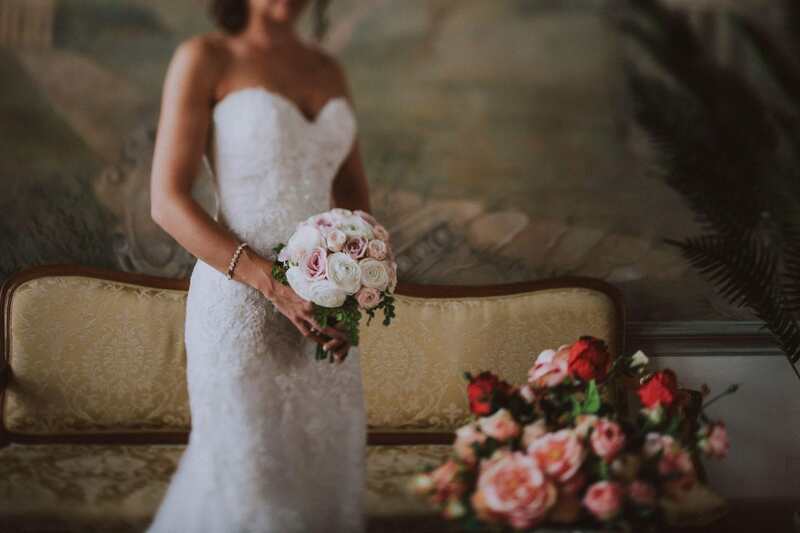 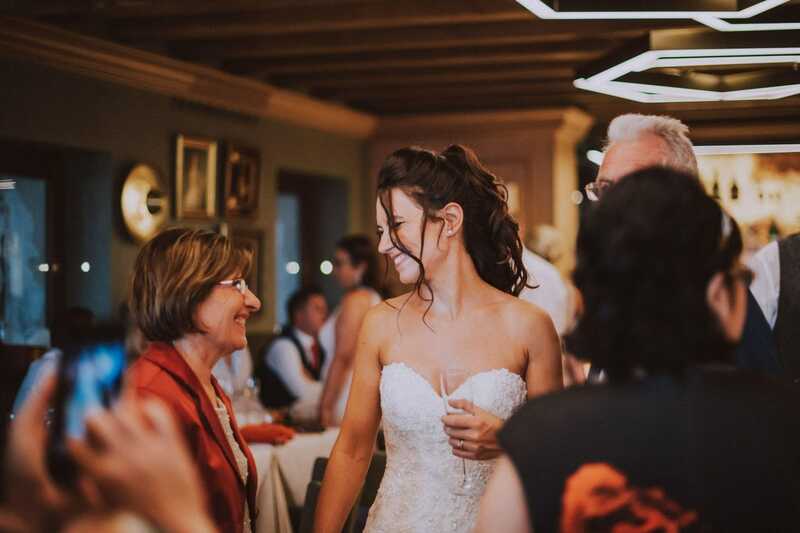 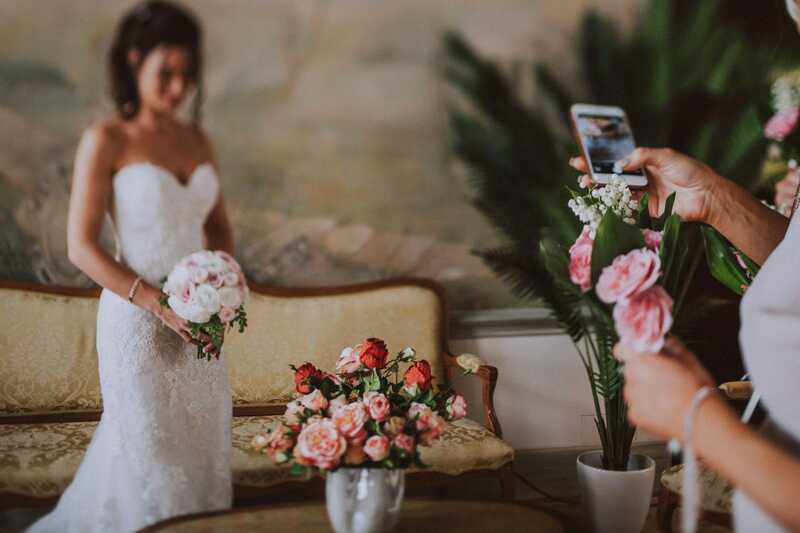 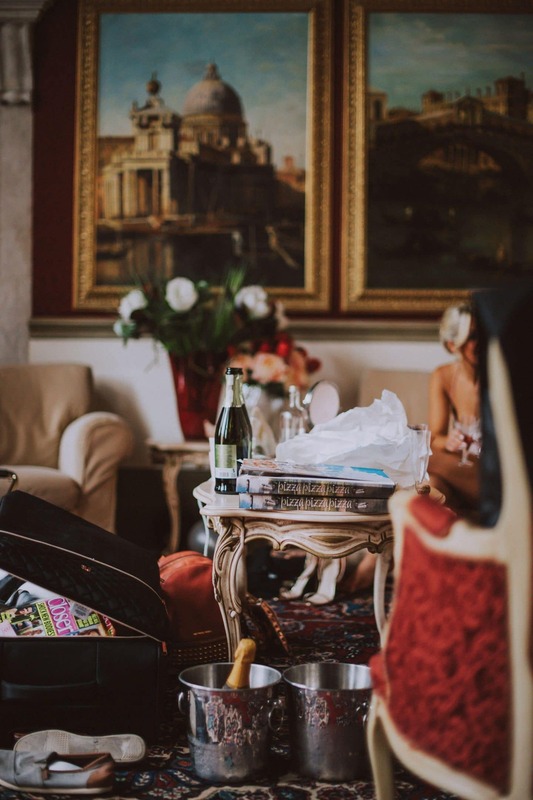 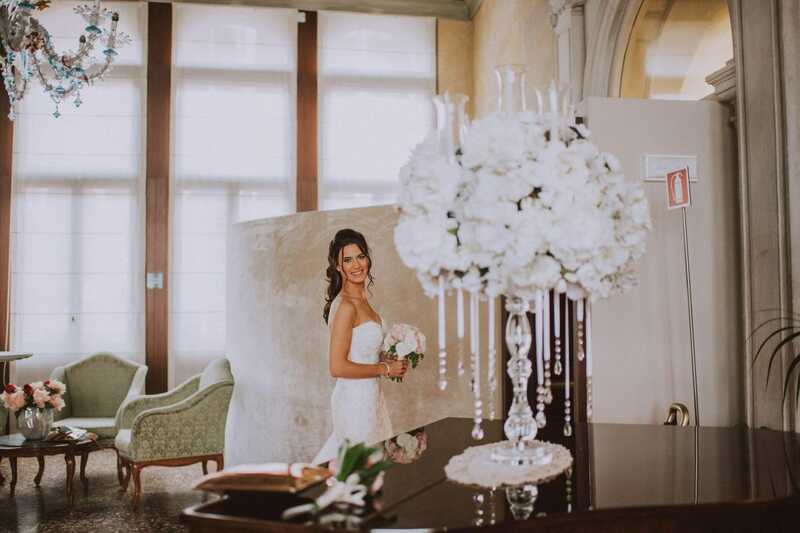 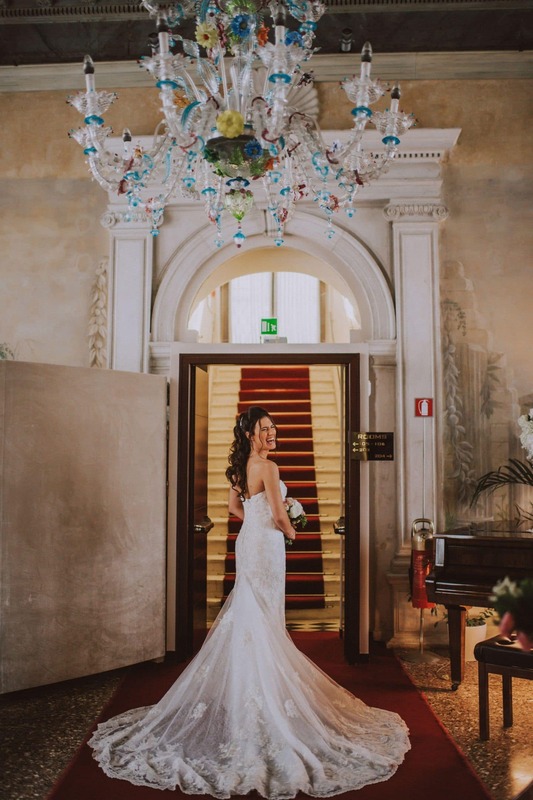 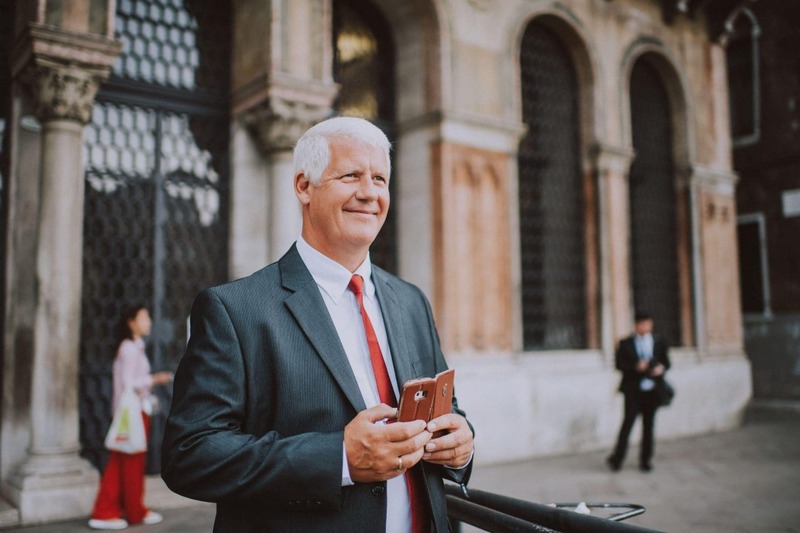 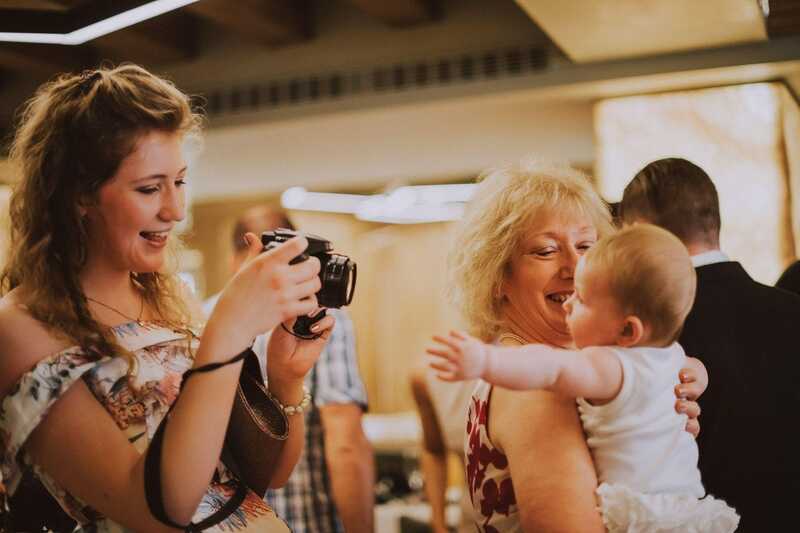 Before leaving for the ceremony, we managed to take some beautiful portraits in a common area of the hotel beautified by a huge Murano chandelier. 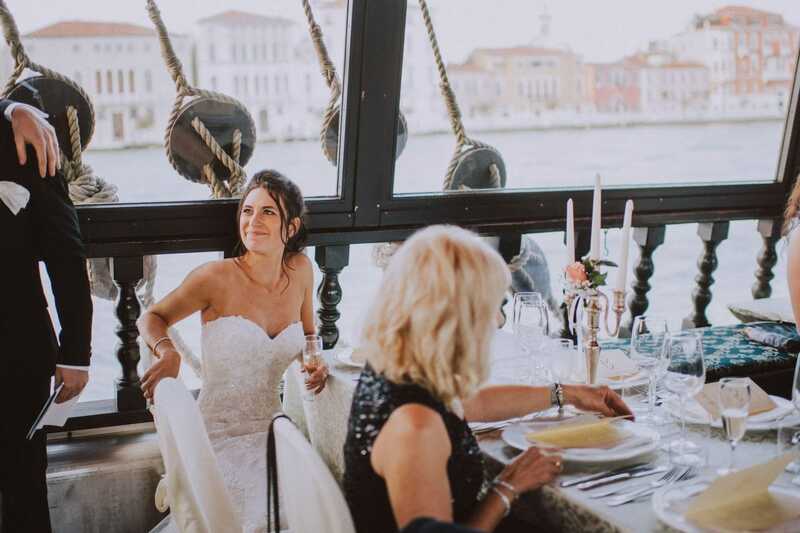 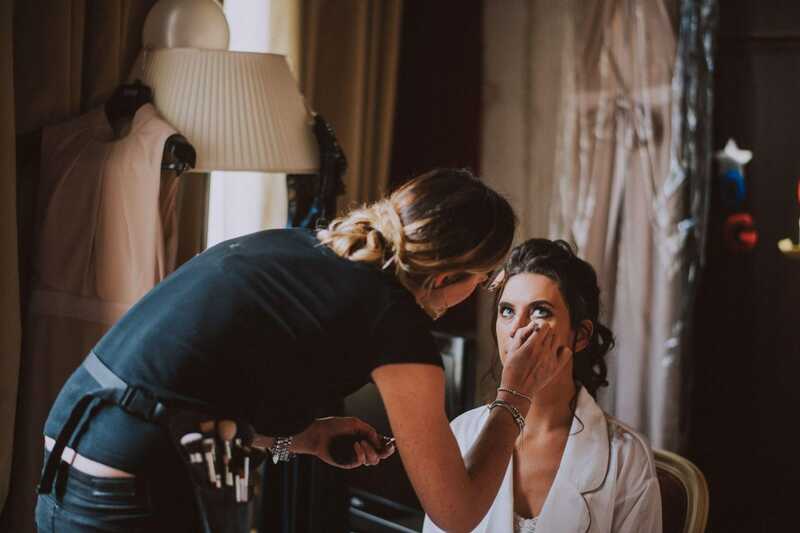 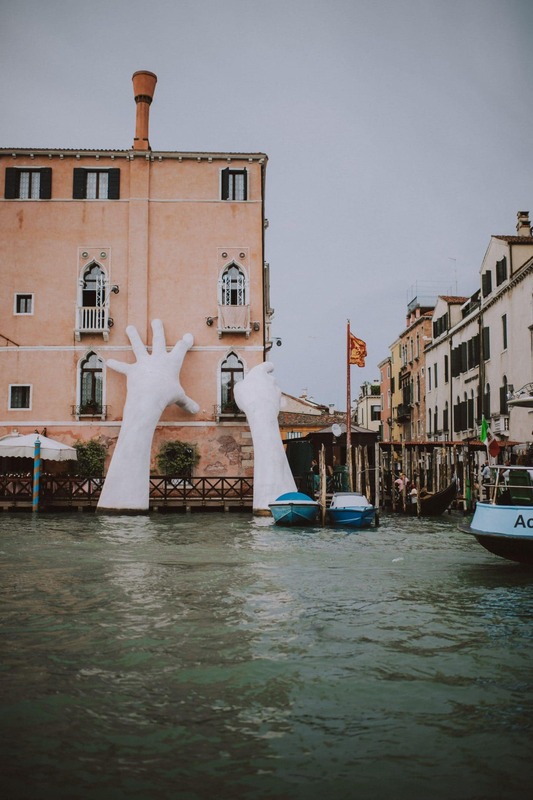 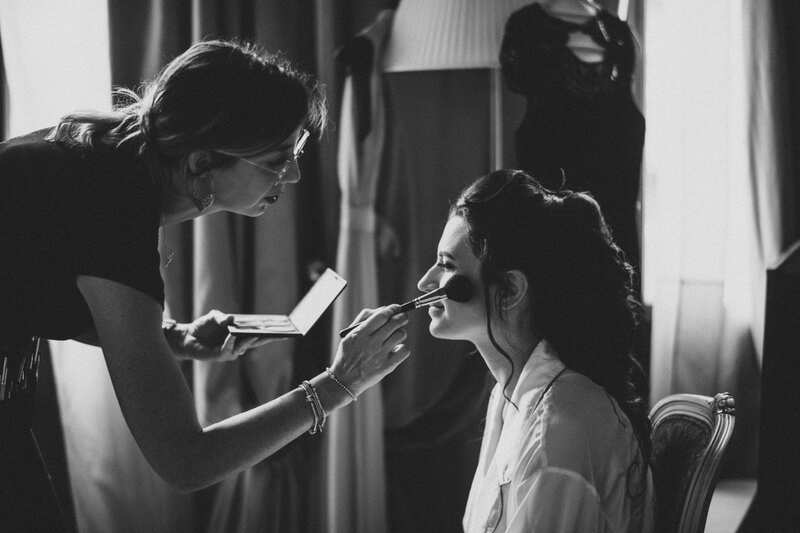 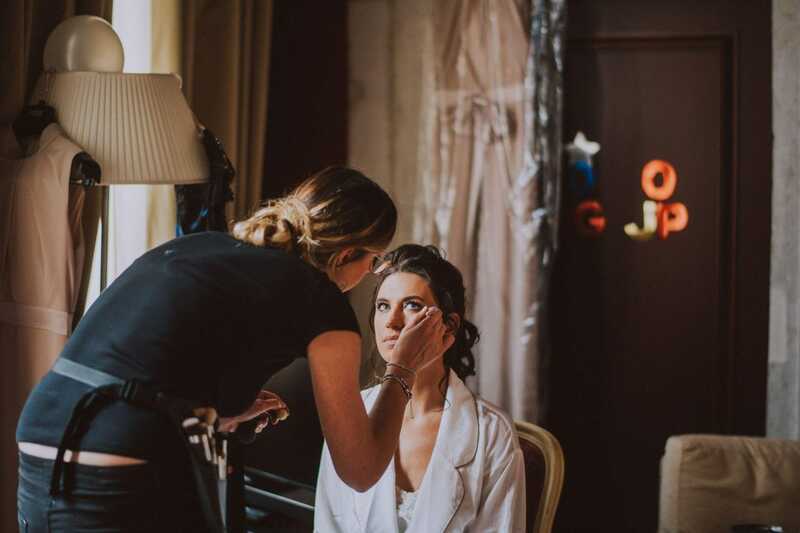 In addition to the whole stunning Venetian environment, Lisa Semenzato, the hair and make-up artist put all her talent to create what looks like a work on art. 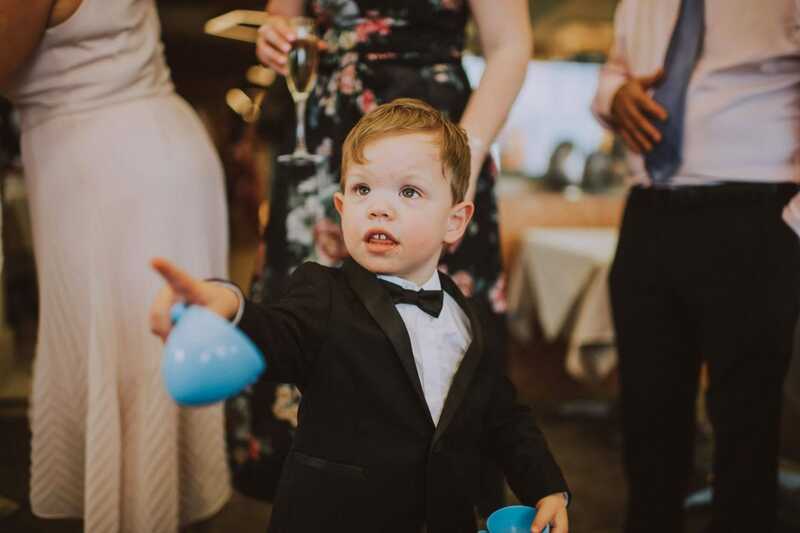 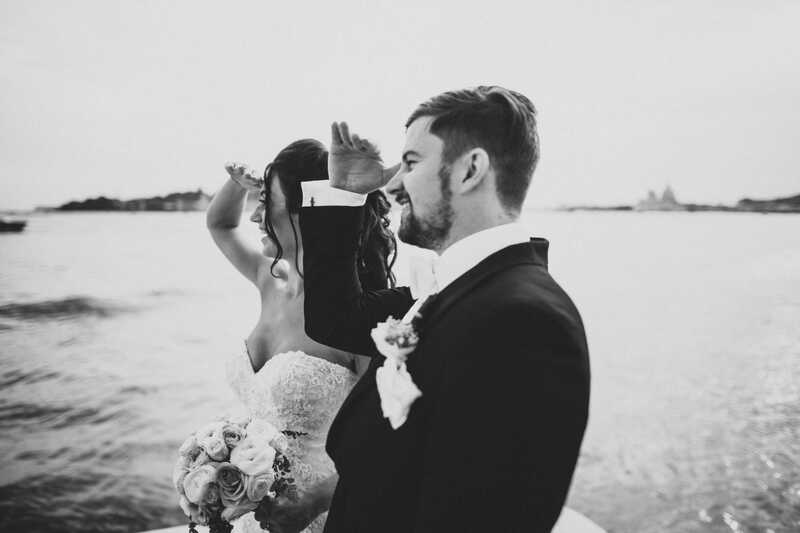 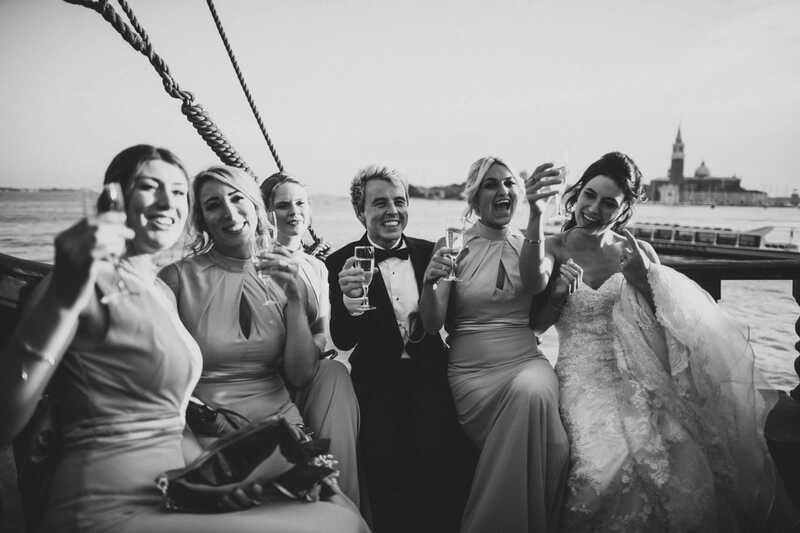 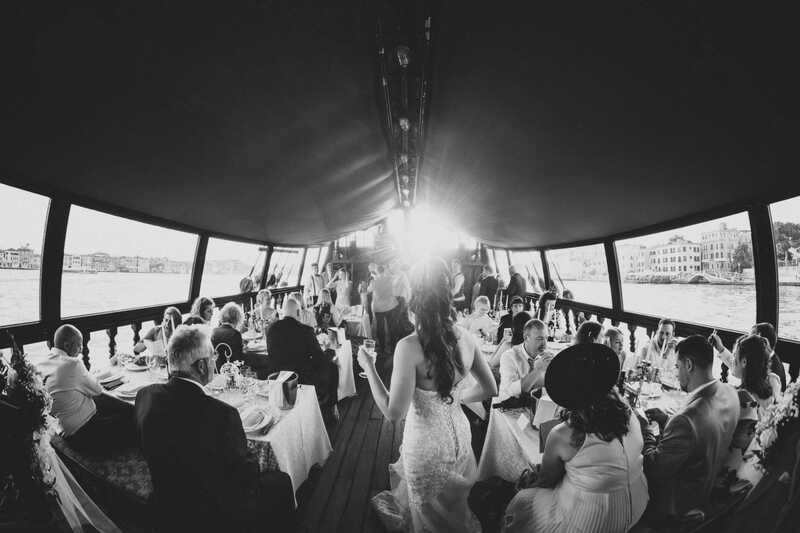 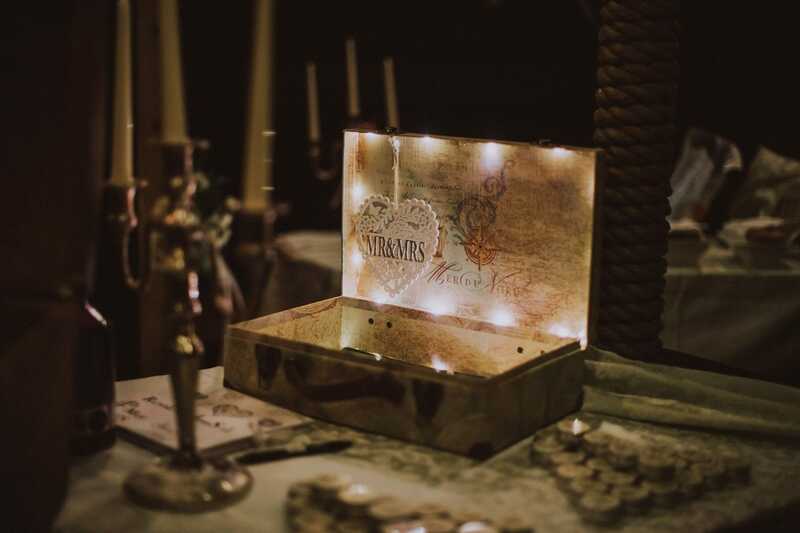 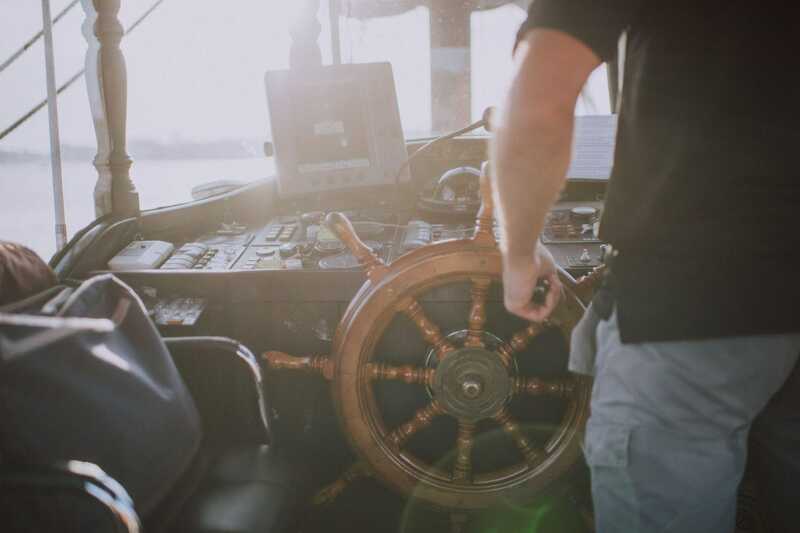 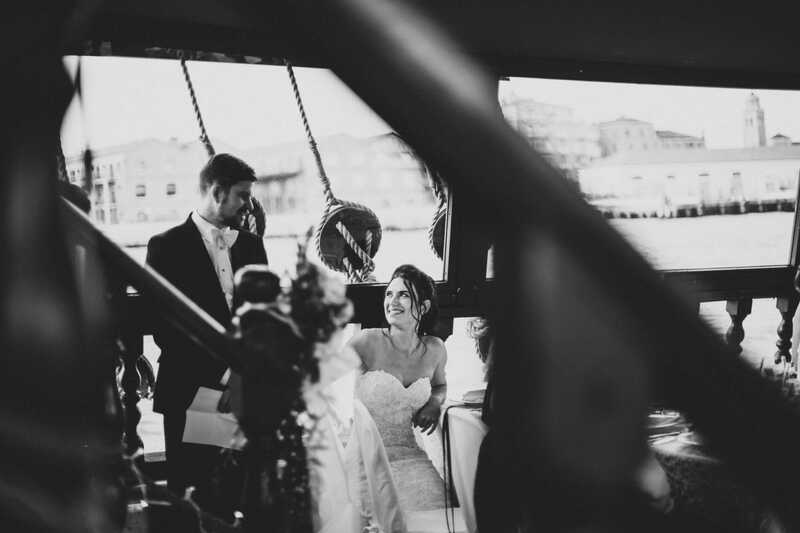 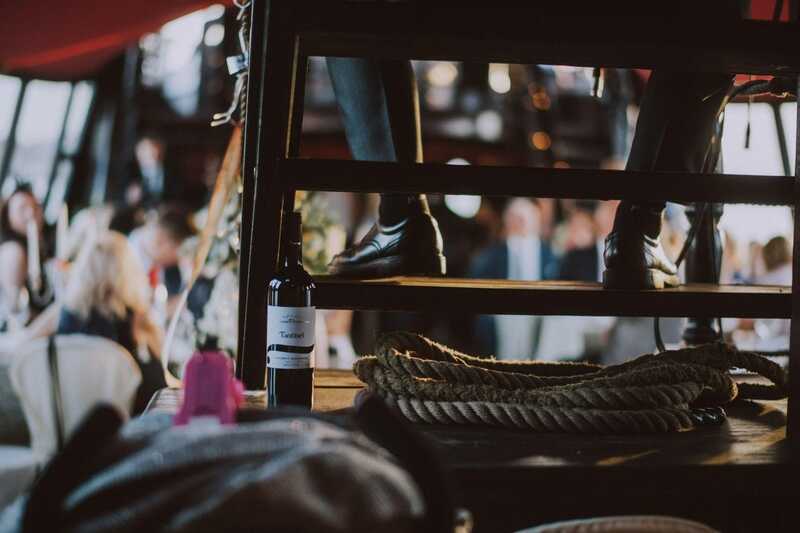 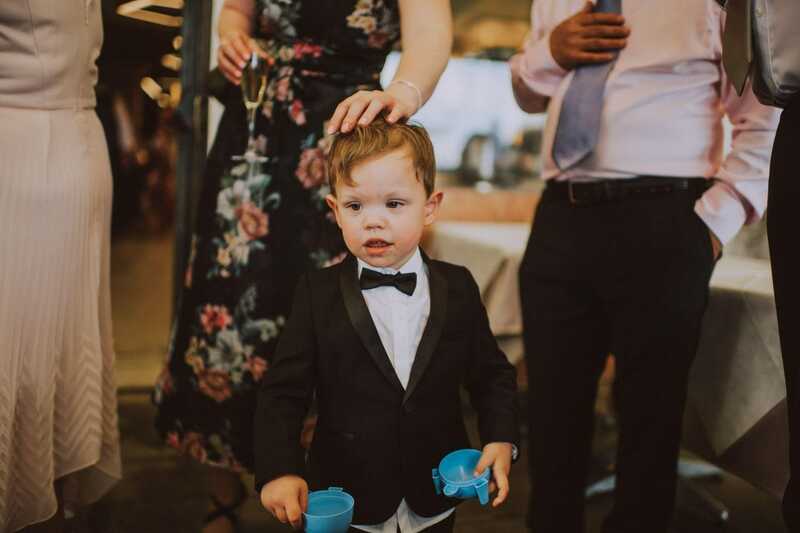 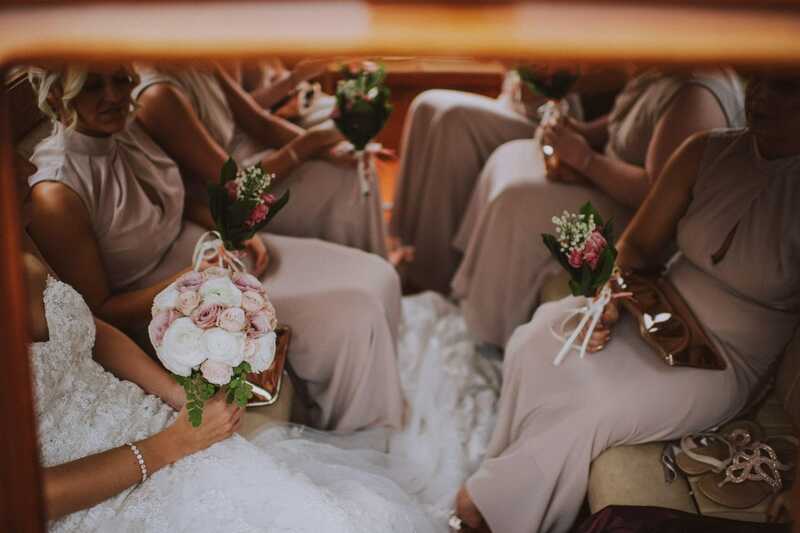 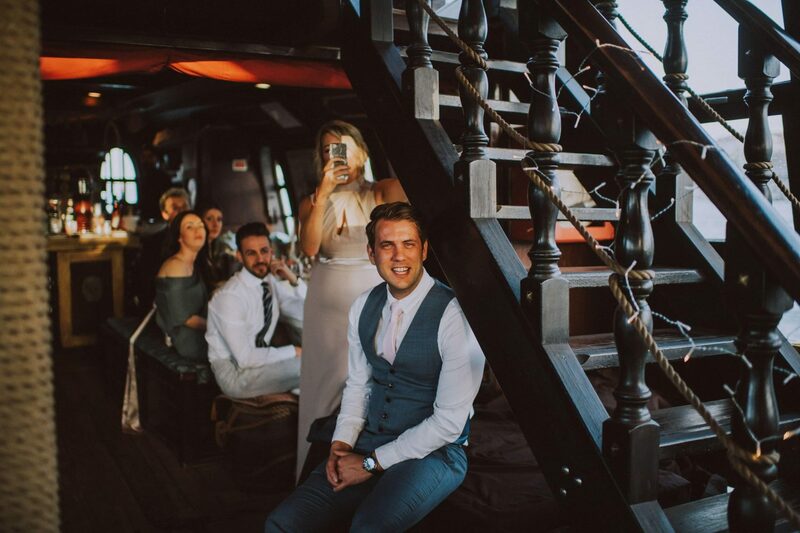 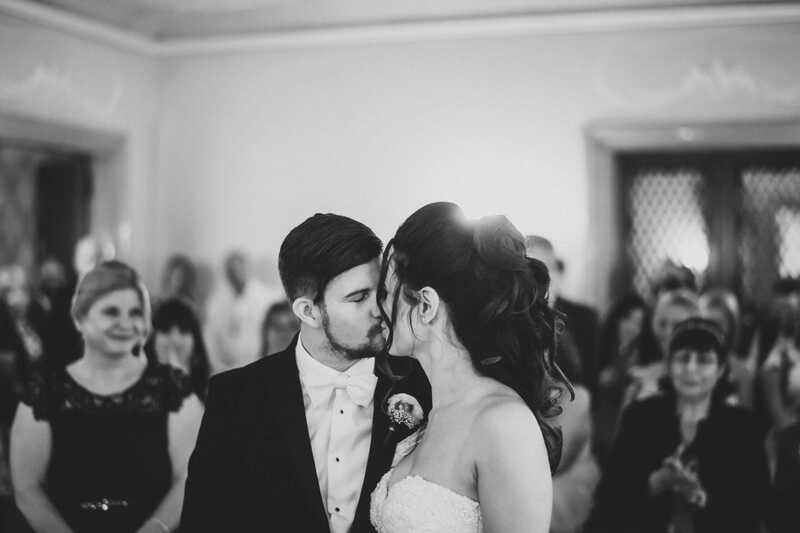 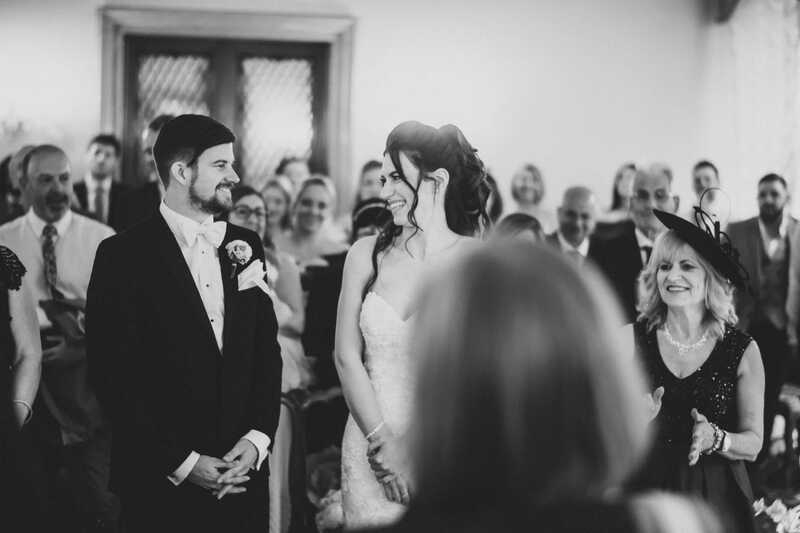 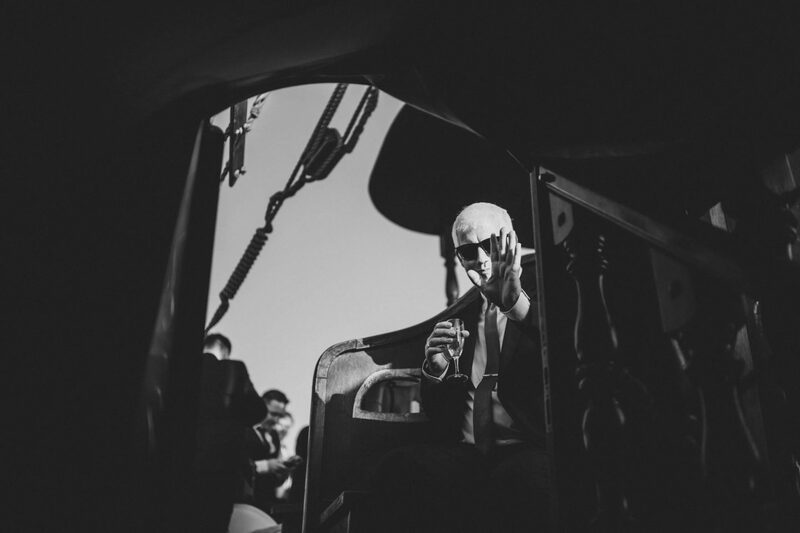 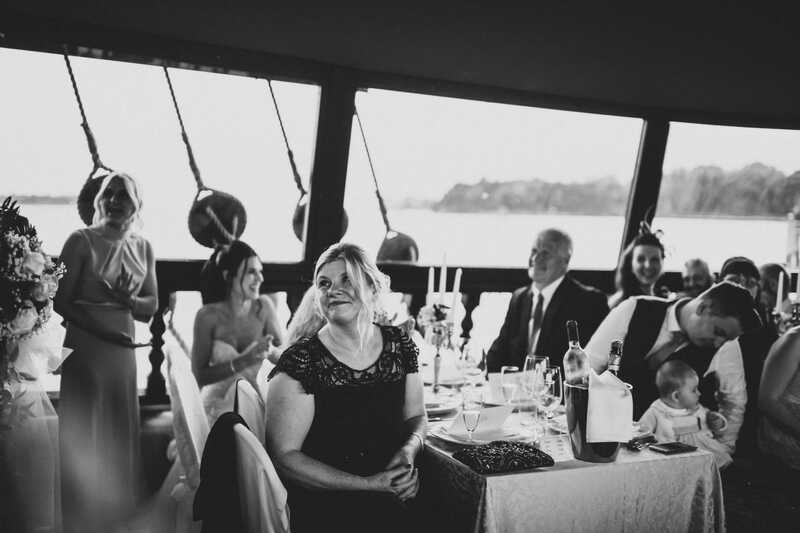 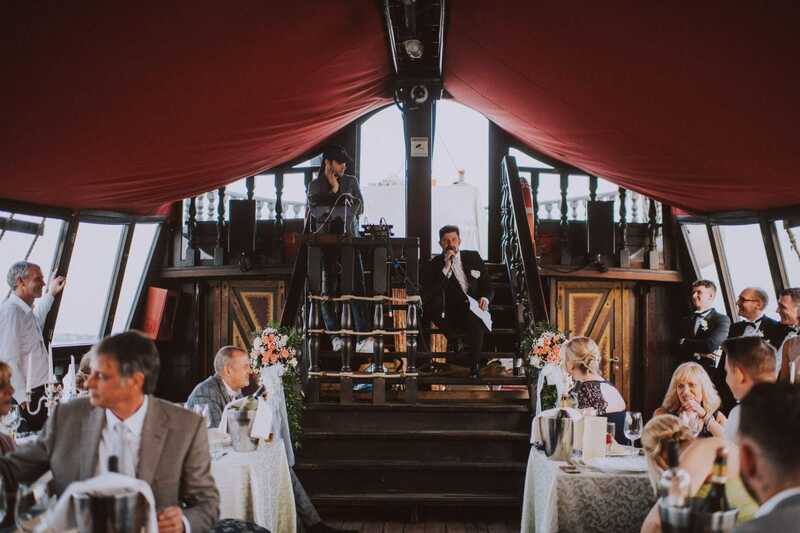 A boat ride whisked the guests to the ceremony in order to take a seat in time. 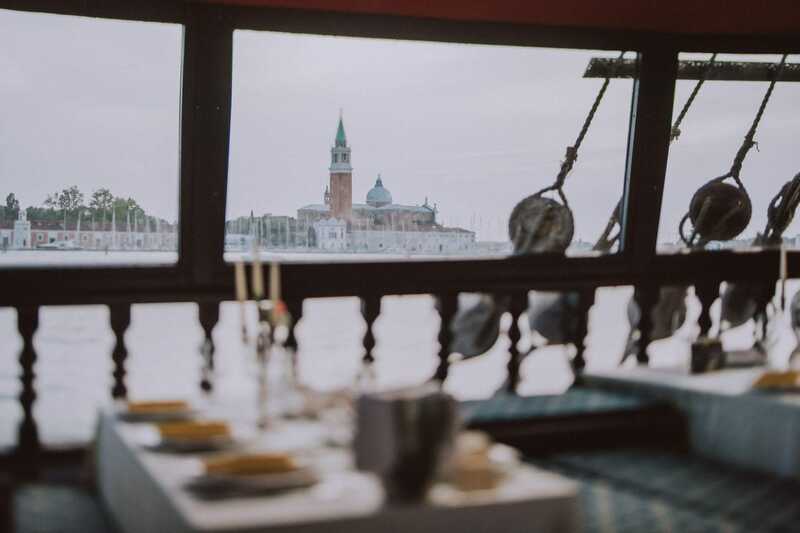 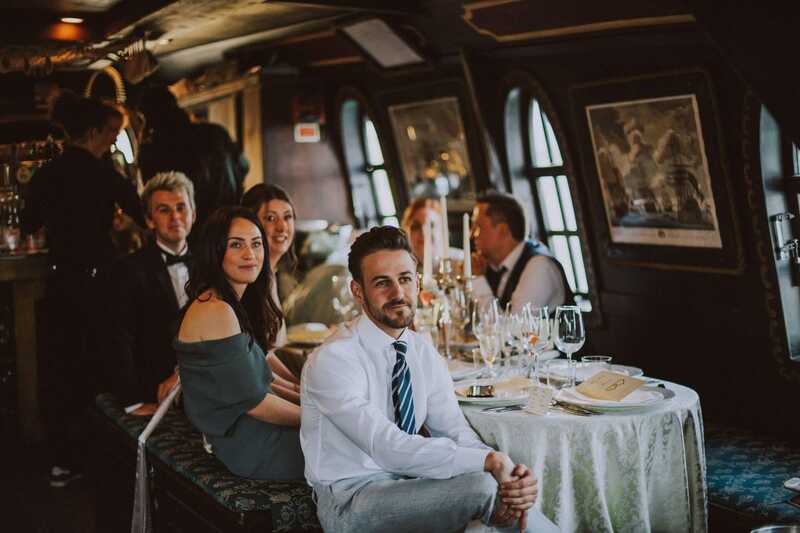 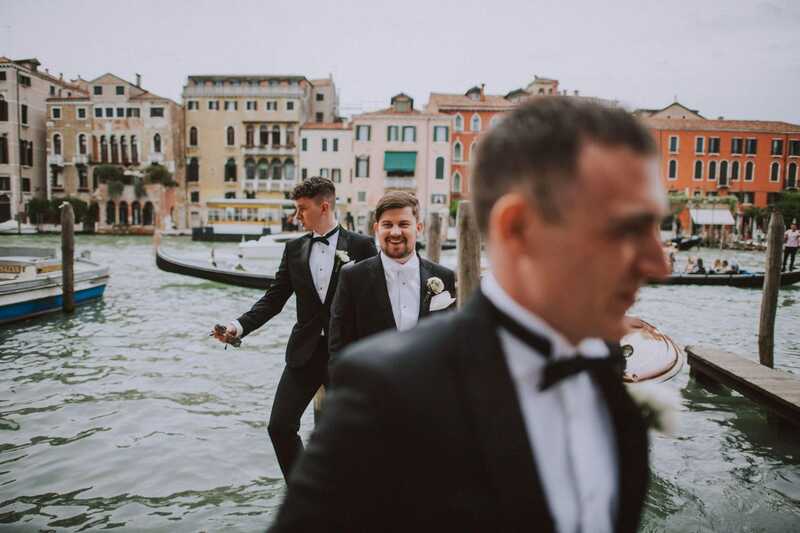 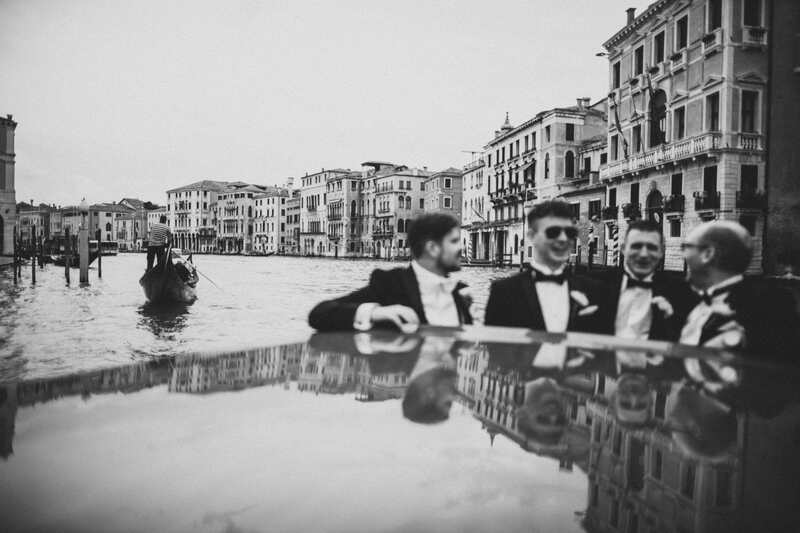 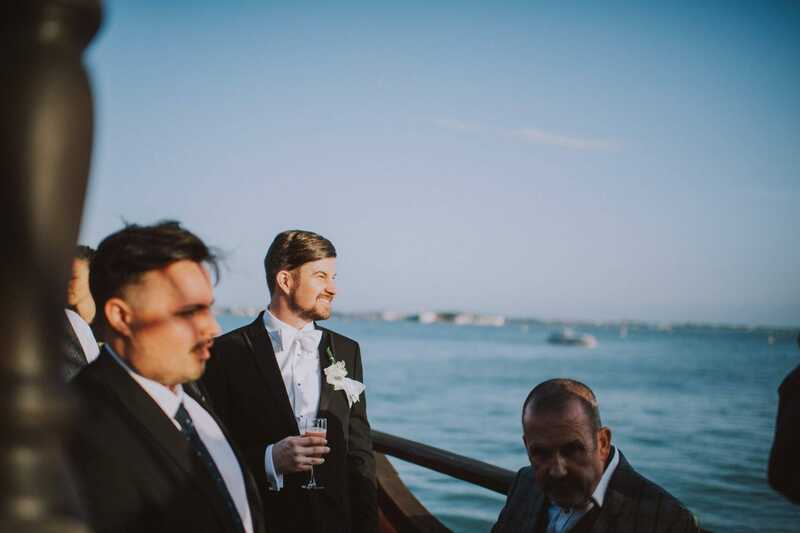 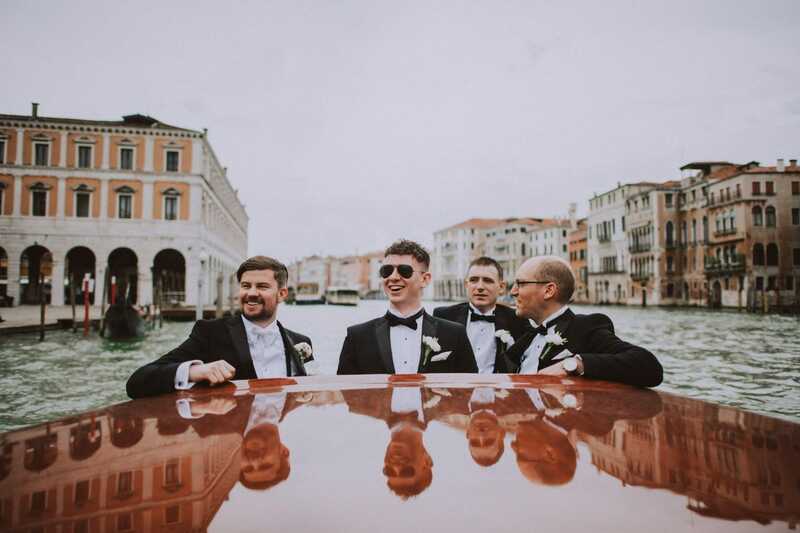 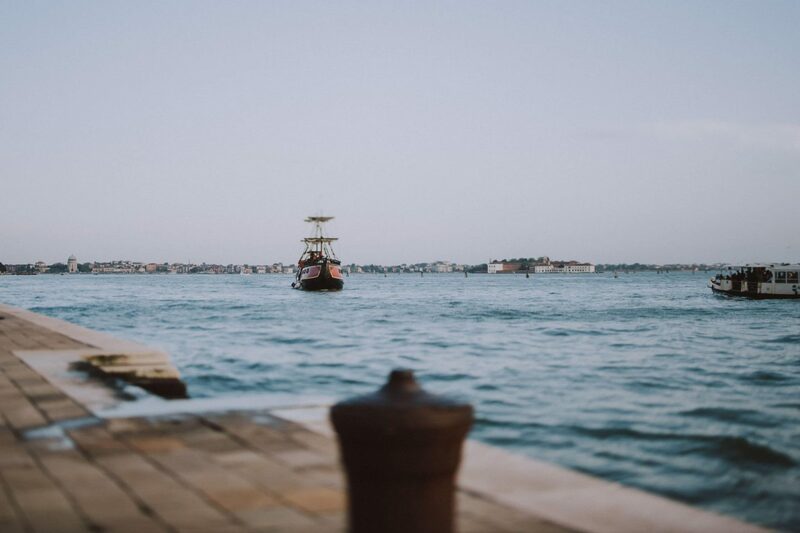 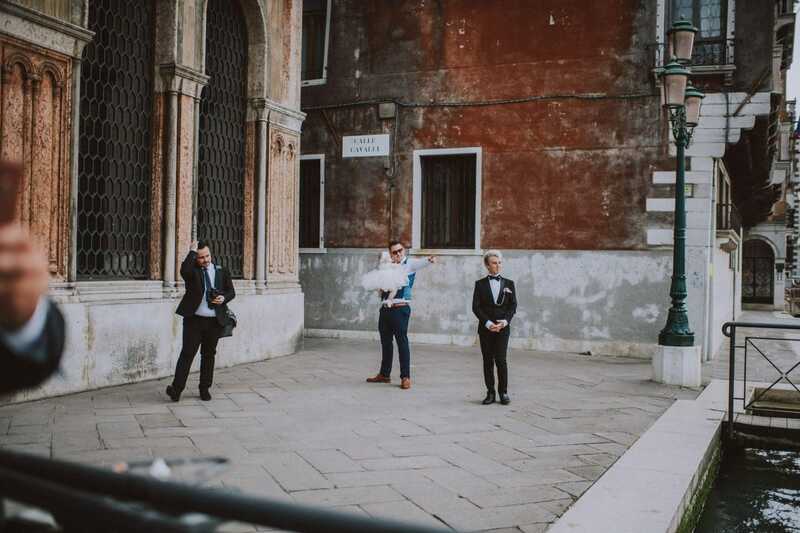 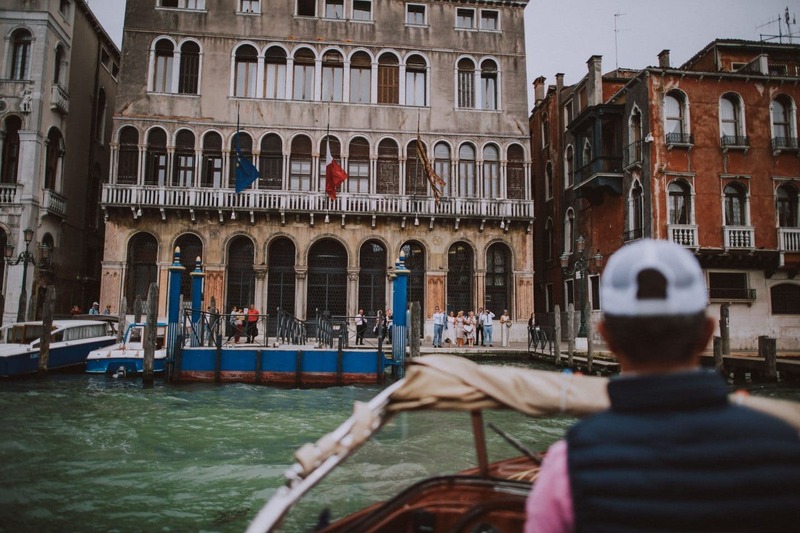 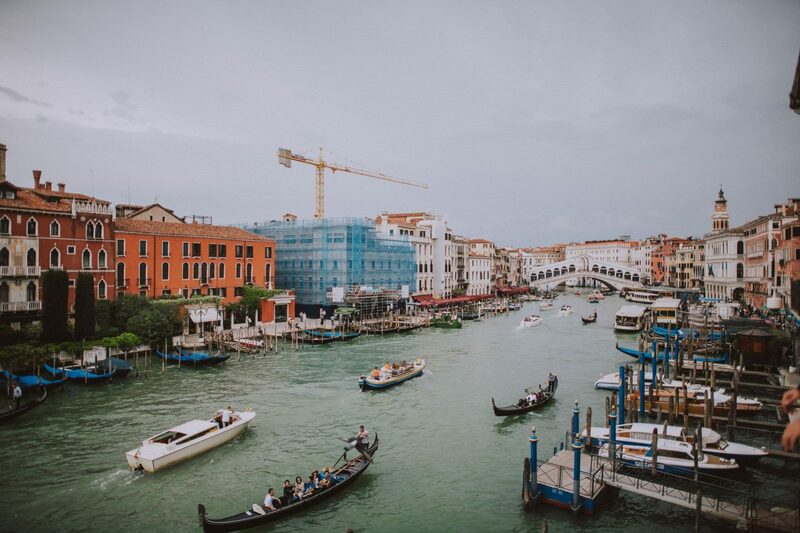 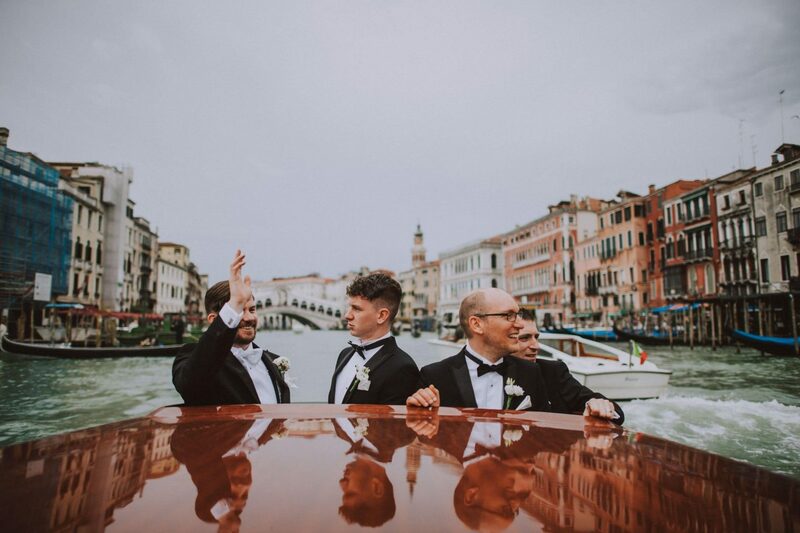 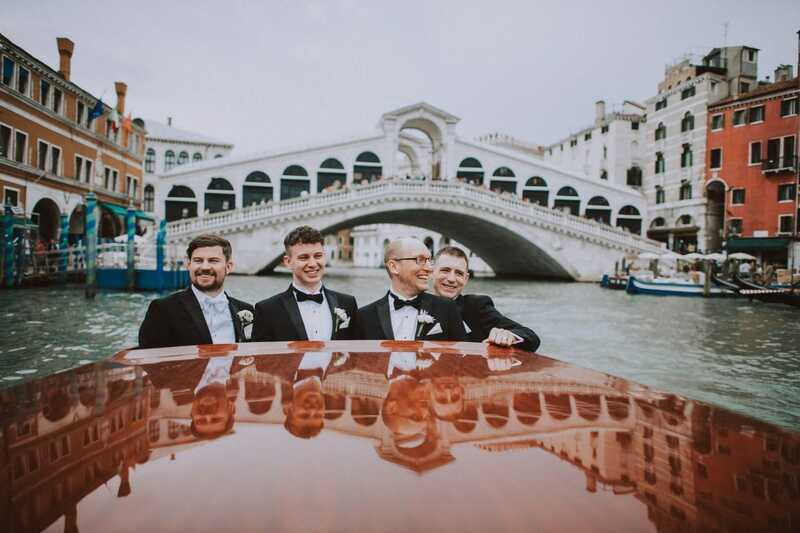 James and his groomsmen, enjoyed the breathtaking view from the Grand Canal reaching Palazzo Cavalli, few minutes just before the arrival of the bridal party. 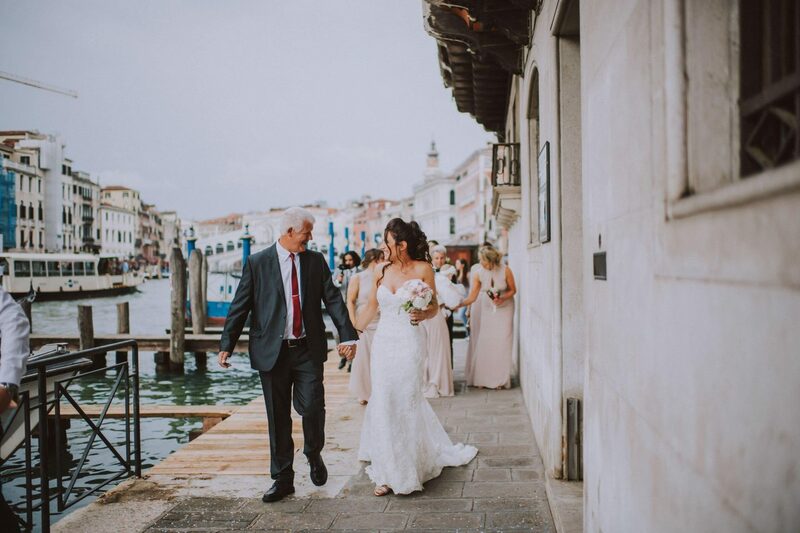 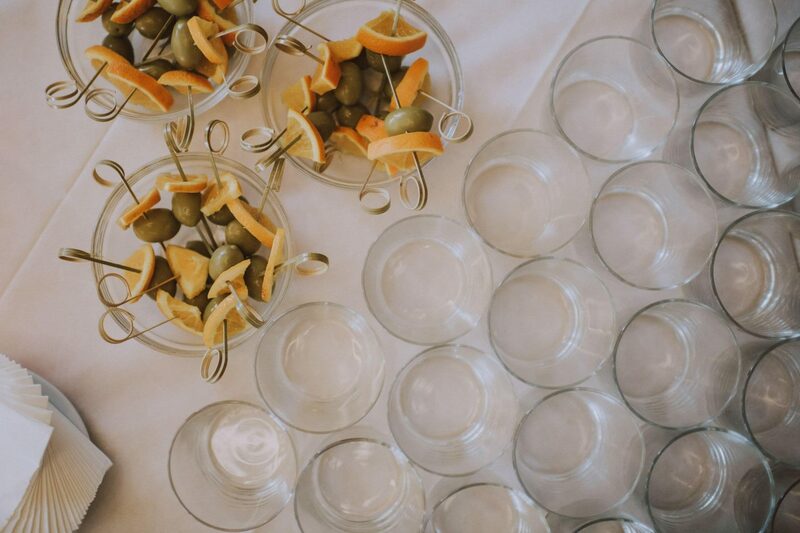 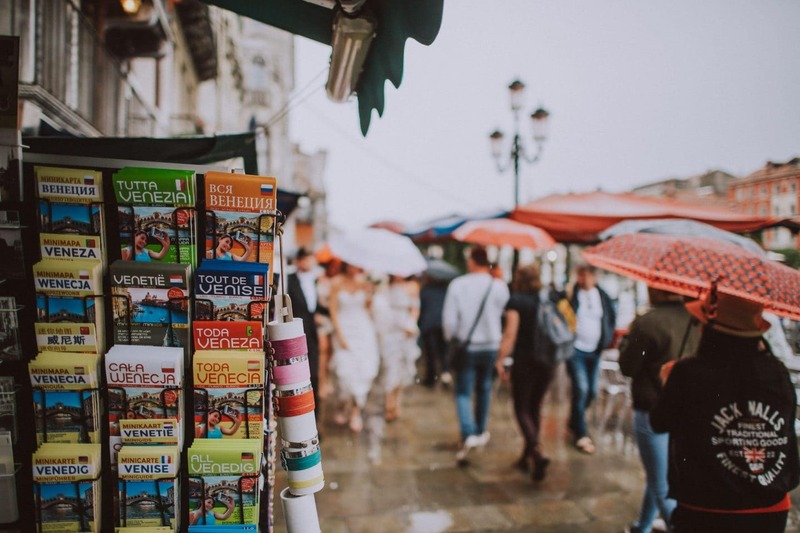 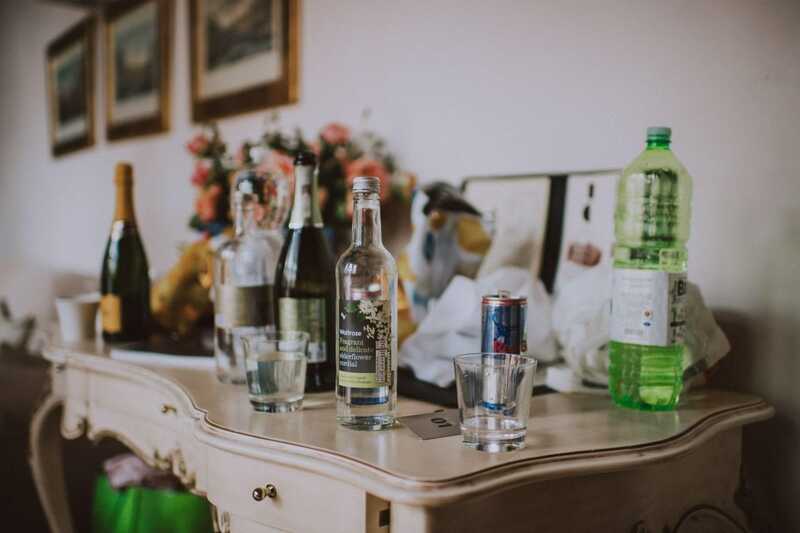 After the ceremony, we strolled through Venice to reach Hotel Savoia & Jolanda where some appetizers were served to the guests before the reception. 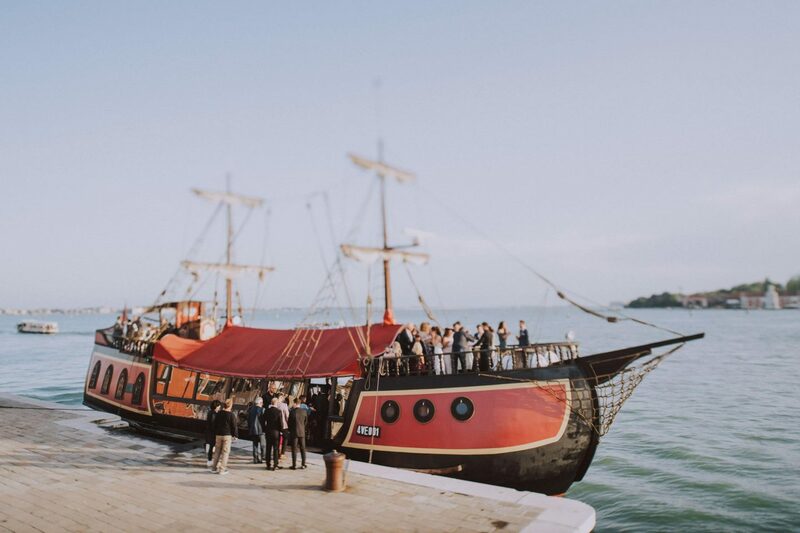 To put the cherry on the cake, the reception was held on a Venetian Galleon, outdoors, while guests admired the sunset. 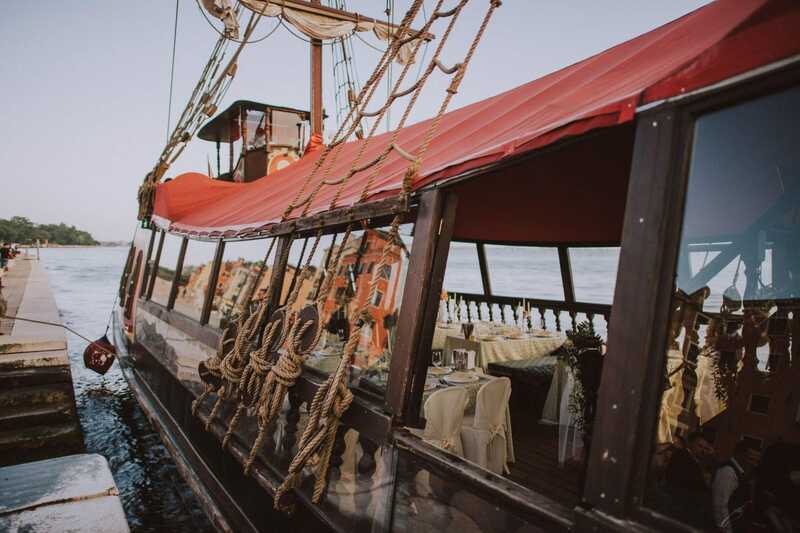 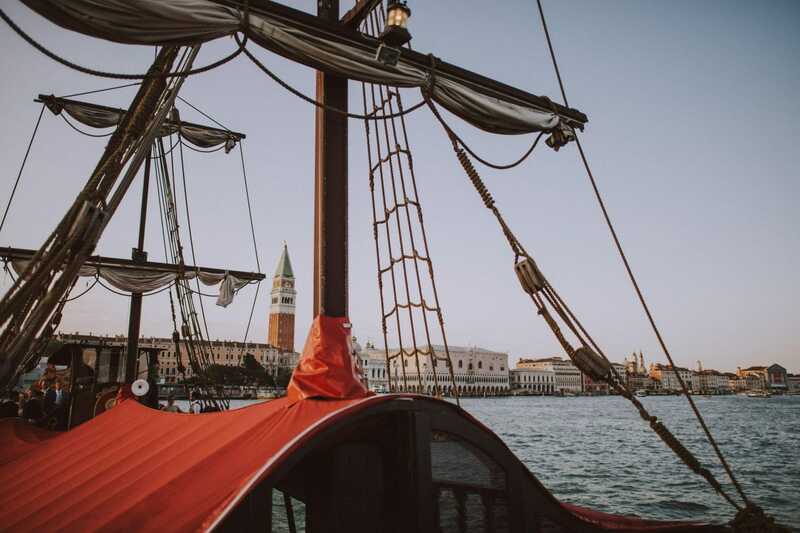 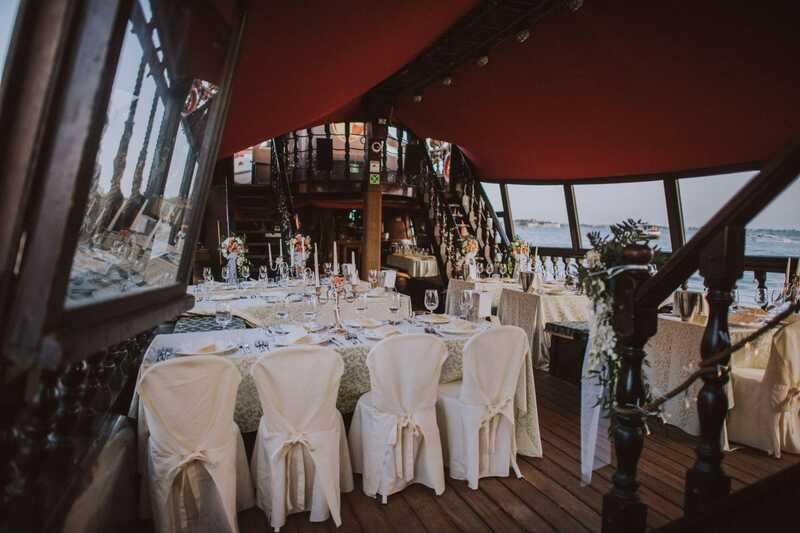 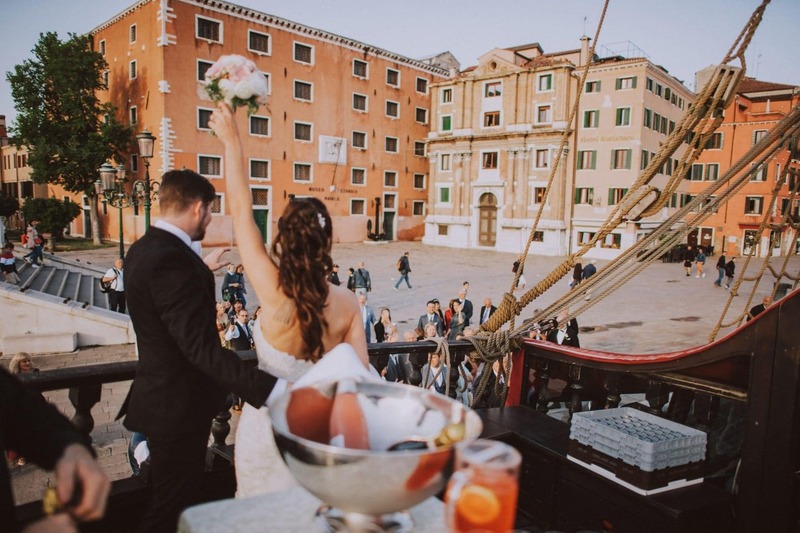 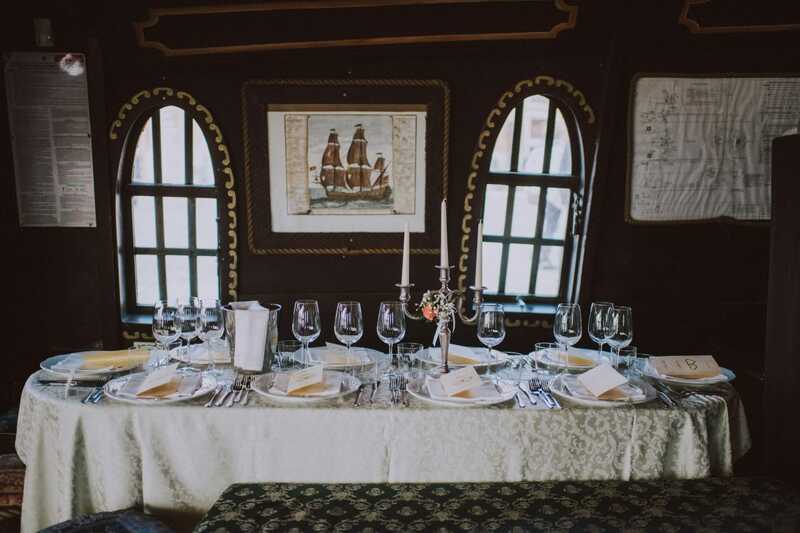 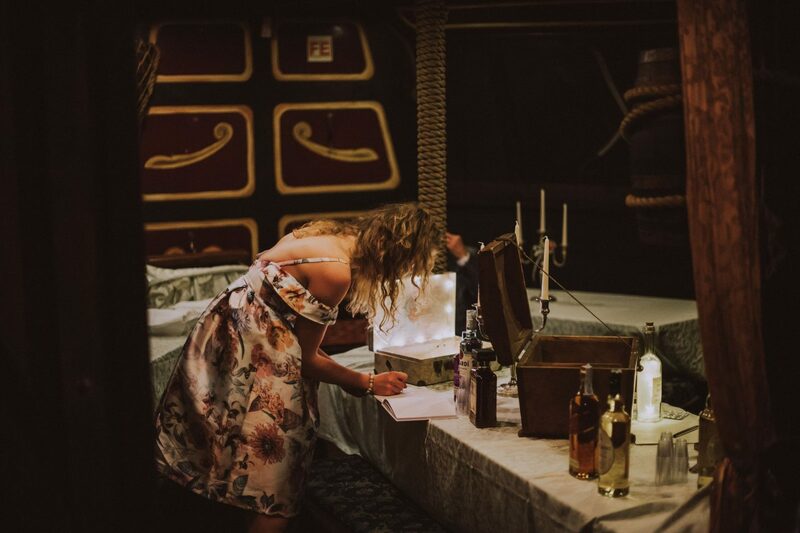 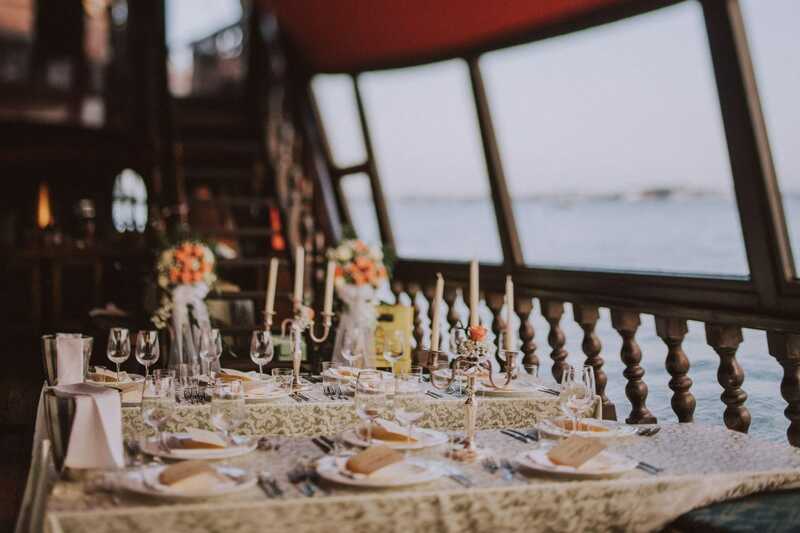 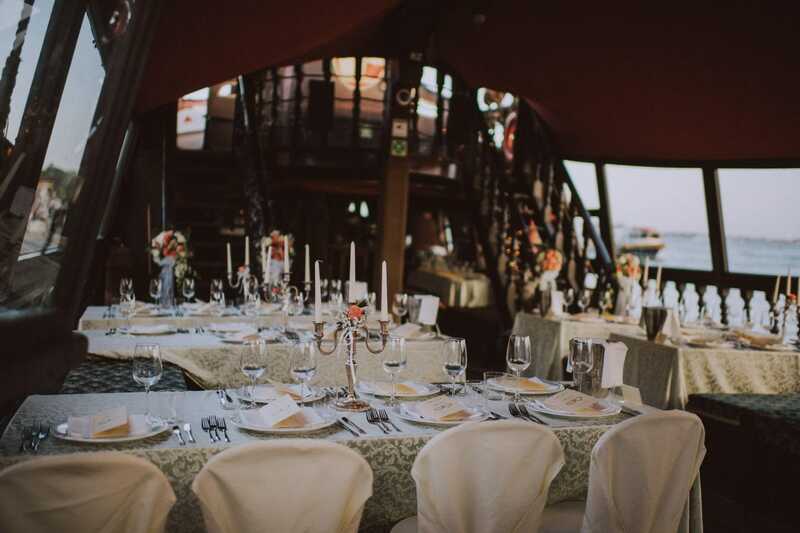 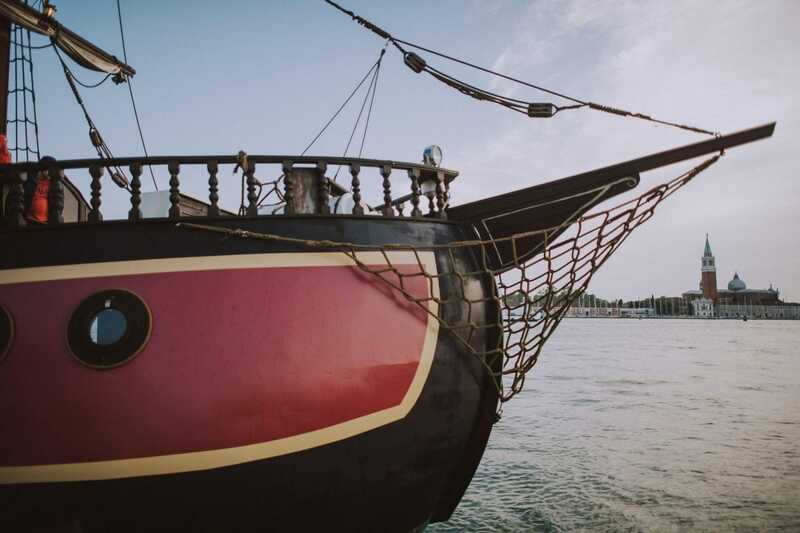 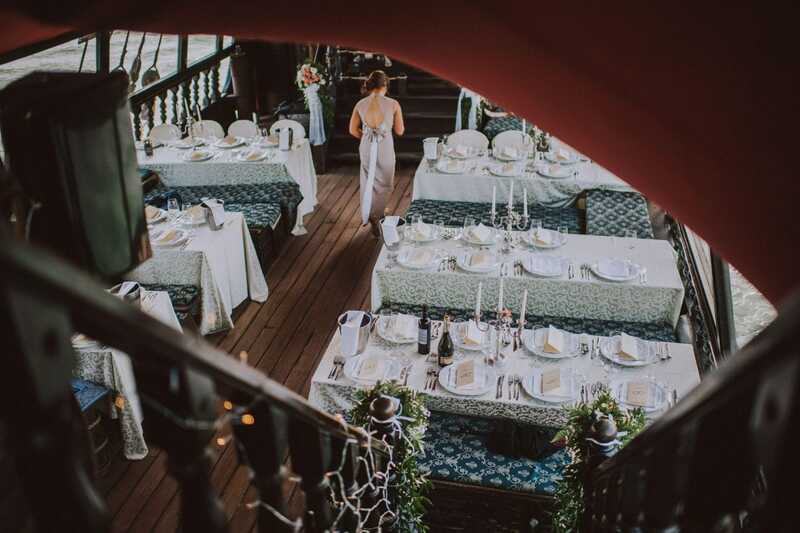 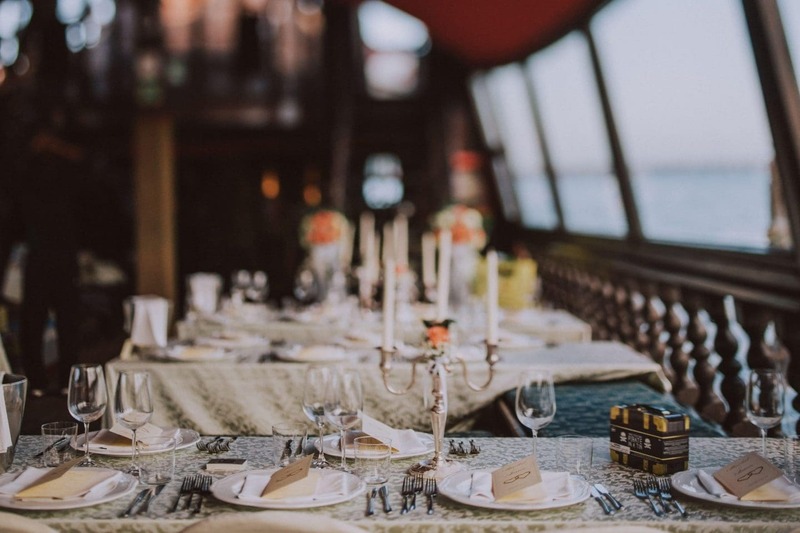 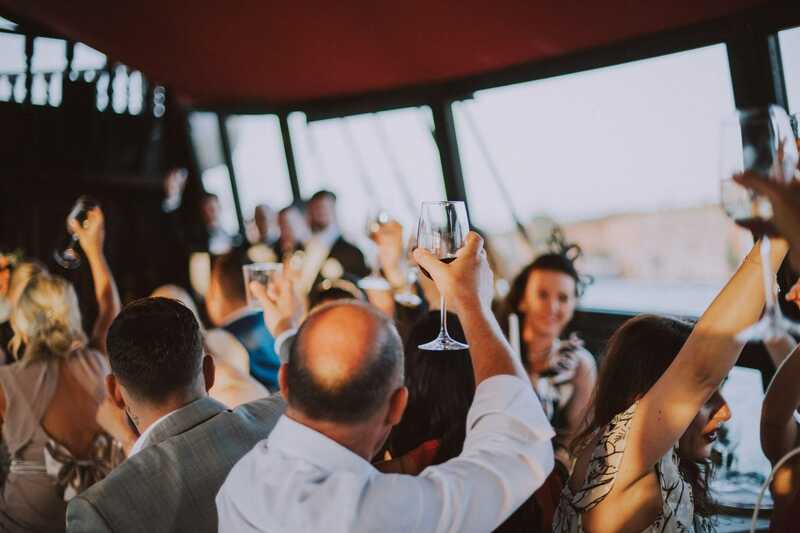 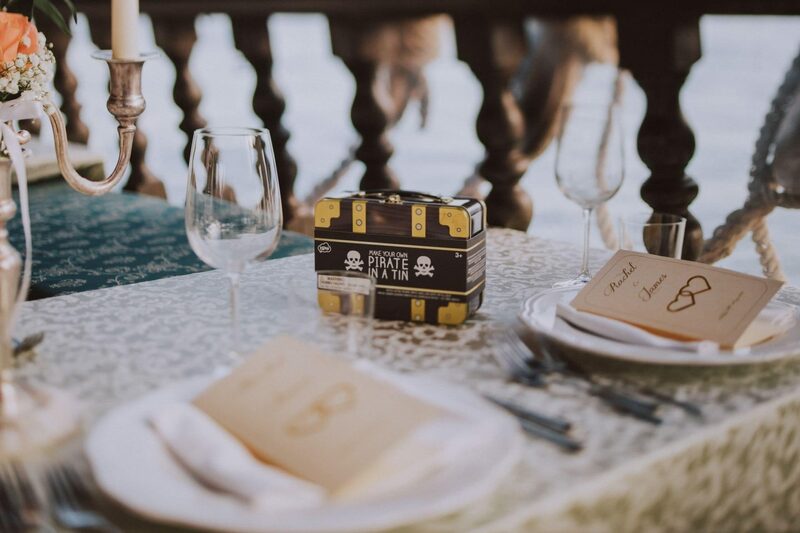 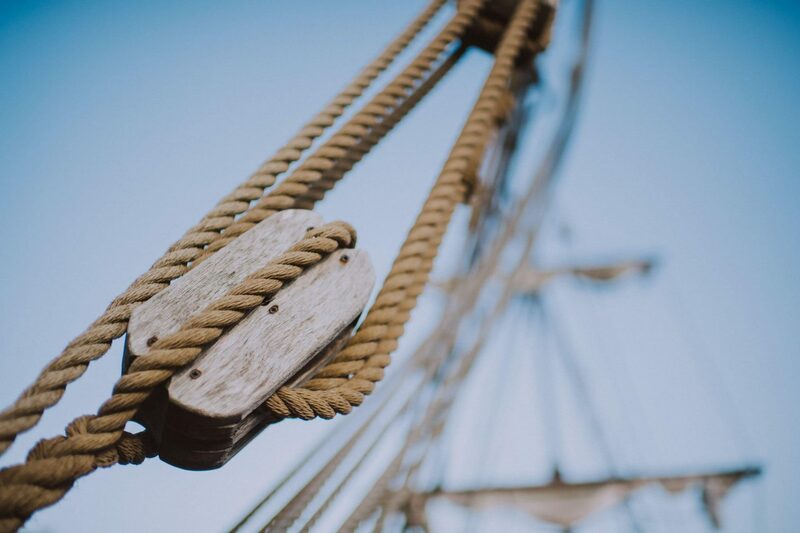 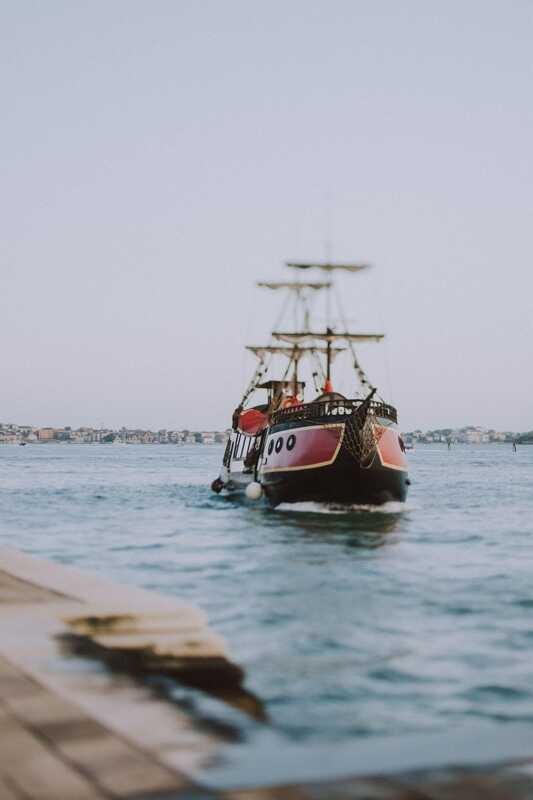 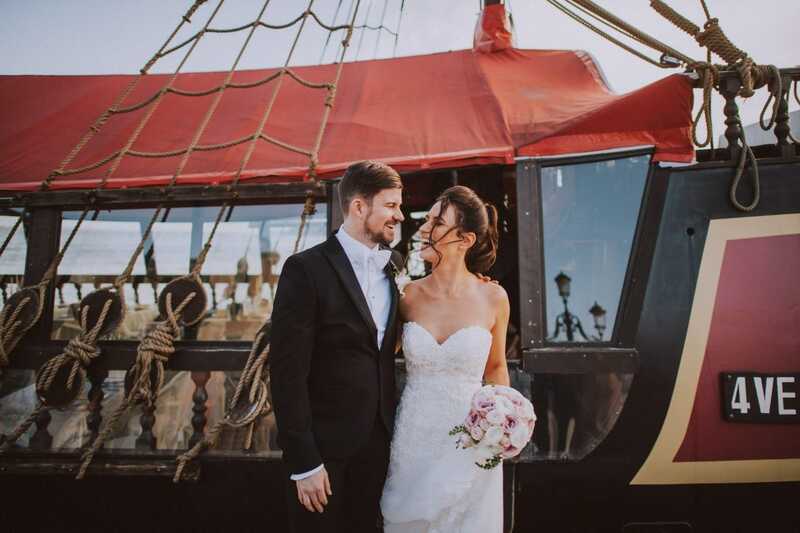 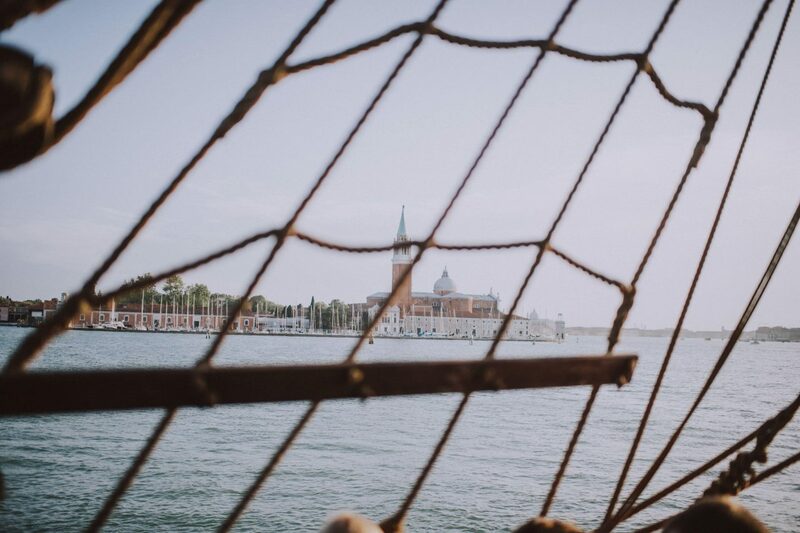 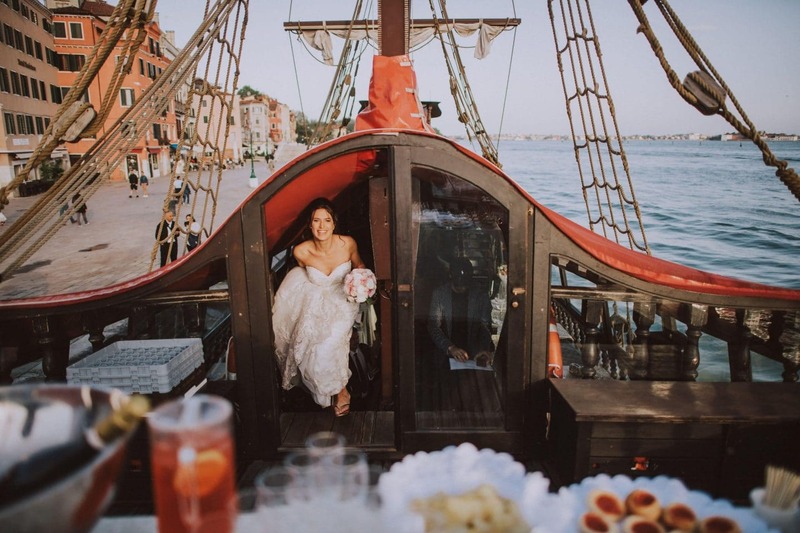 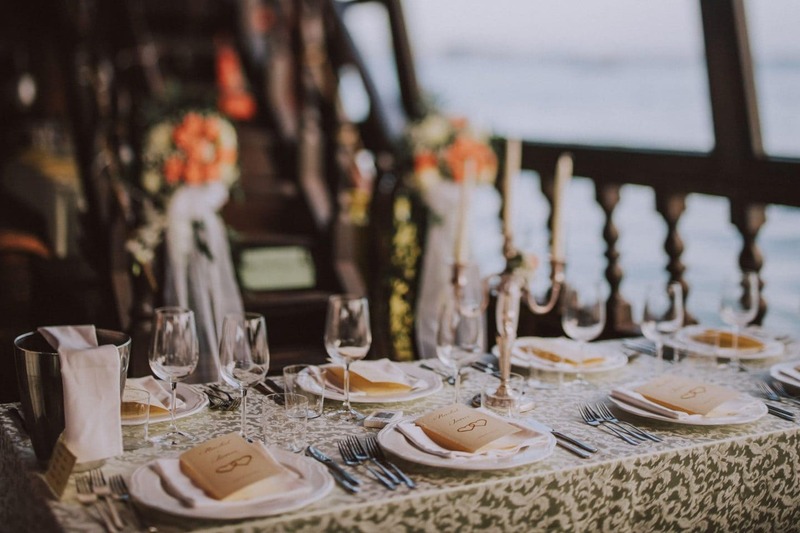 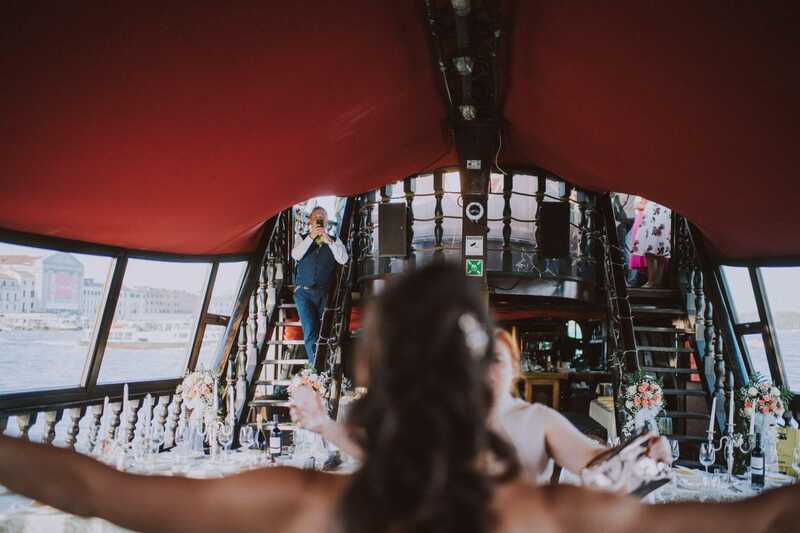 Designed to look like the ships sailing the Venetian Republic flags between 1600 and 1800, this galleon made this wedding even more unforgettable.